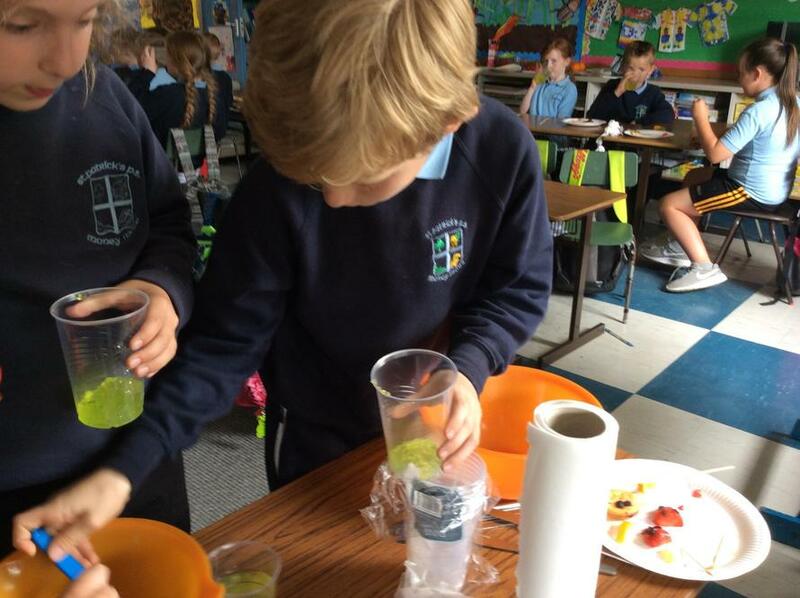 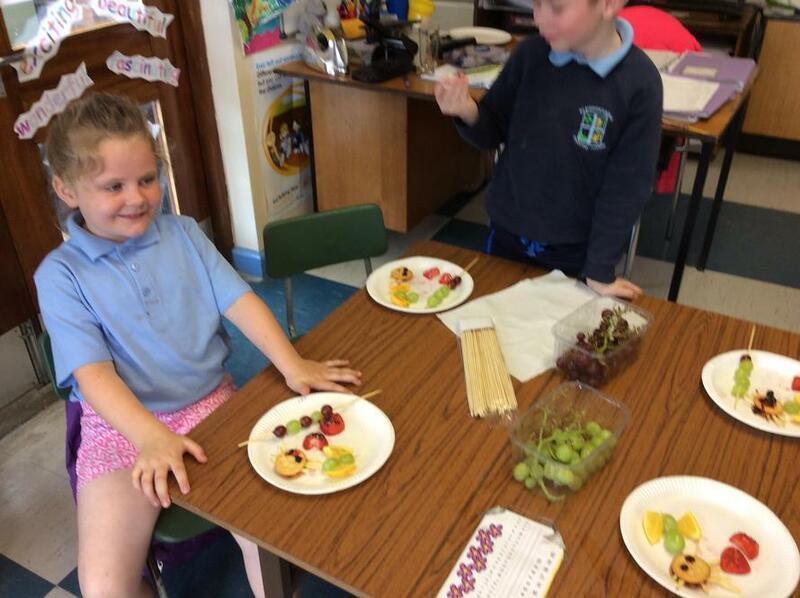 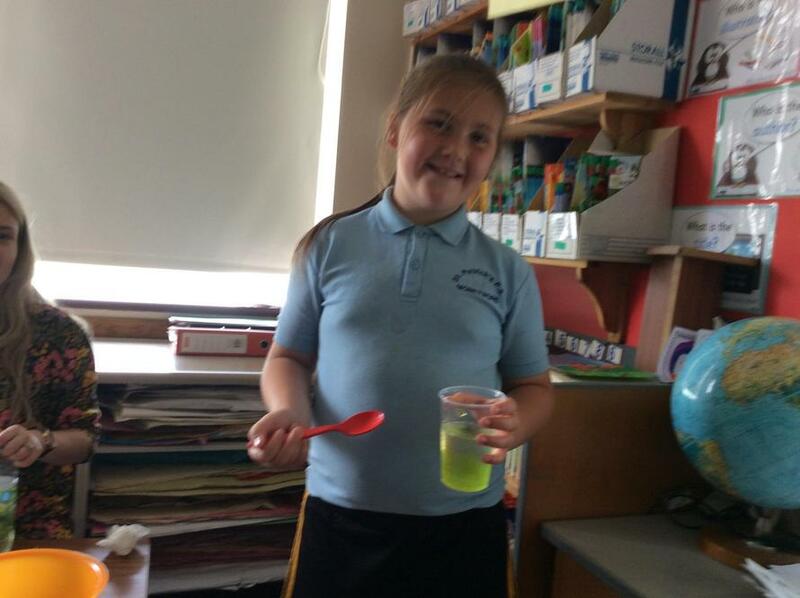 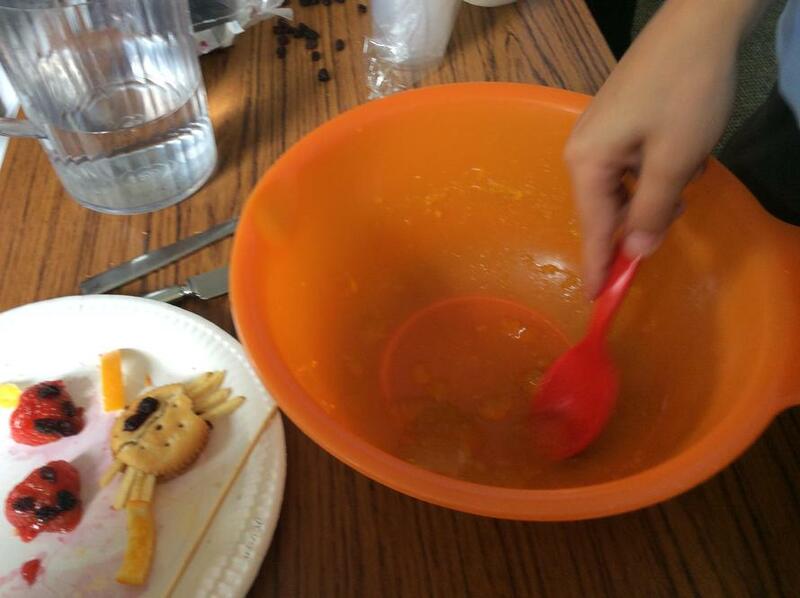 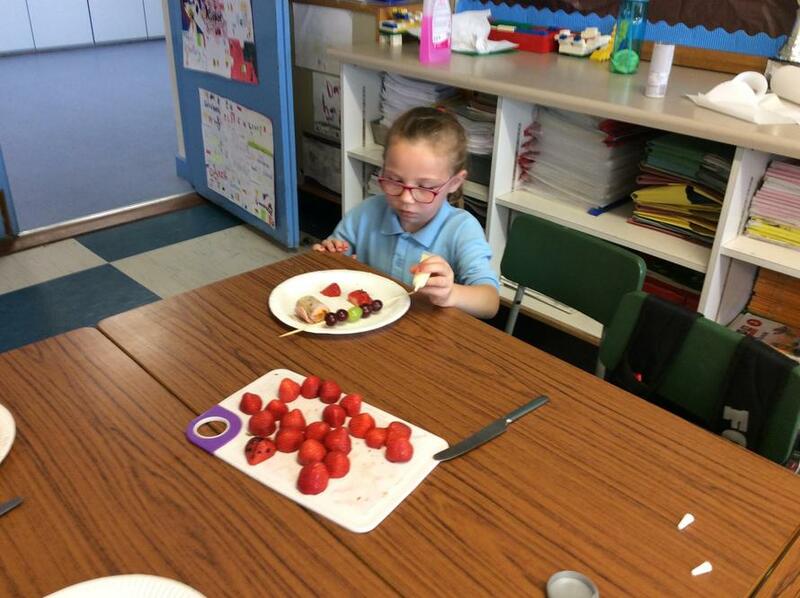 To celebrate the end of our Minibeasts topic, we made lots of minibeast themed treats! 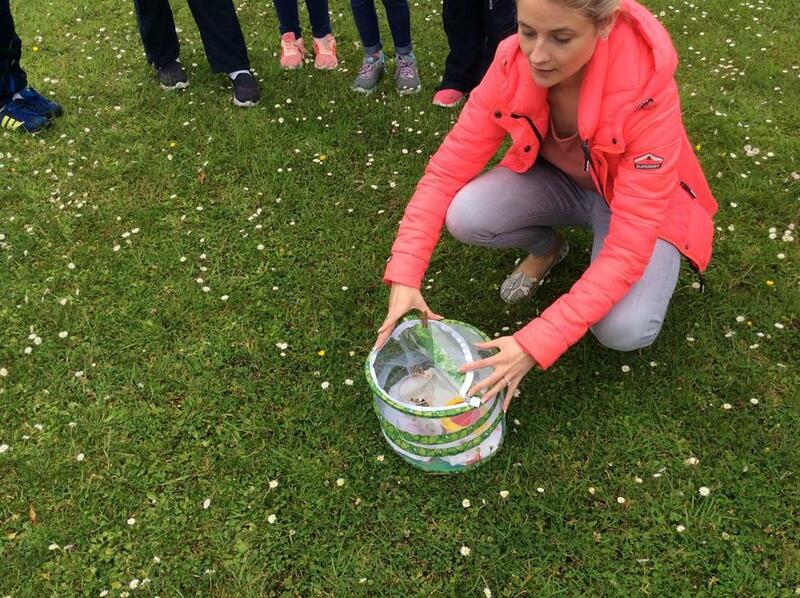 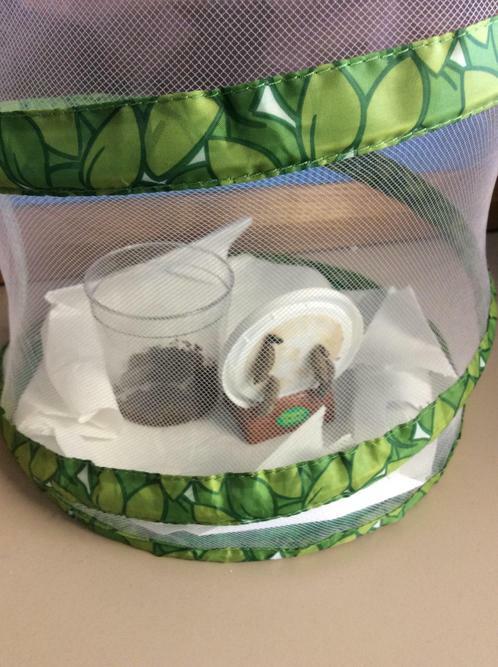 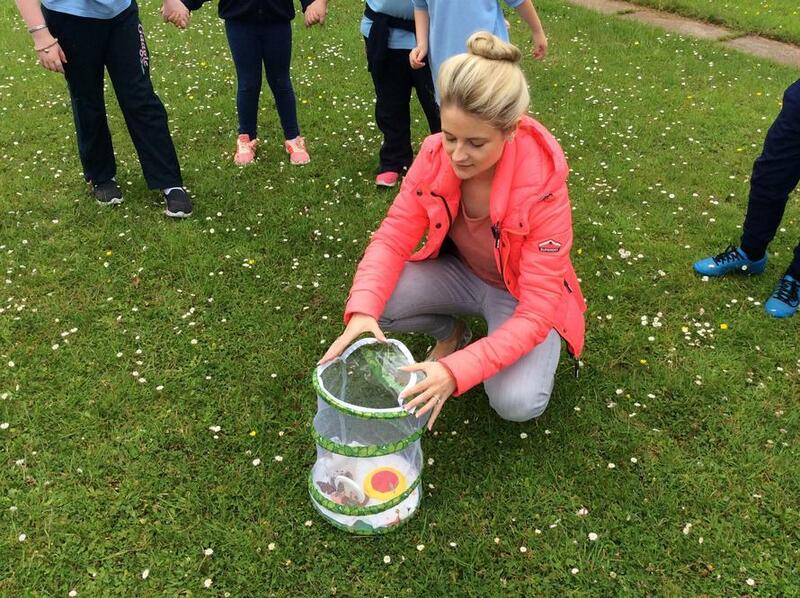 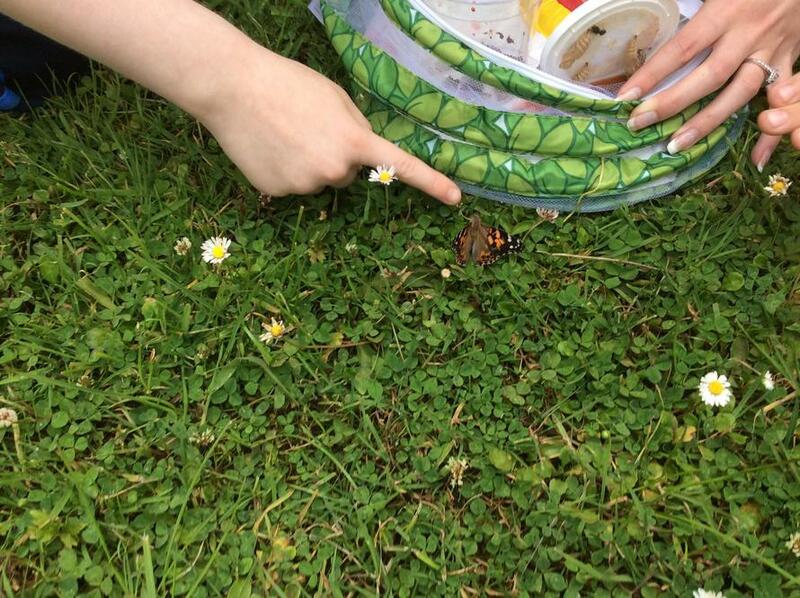 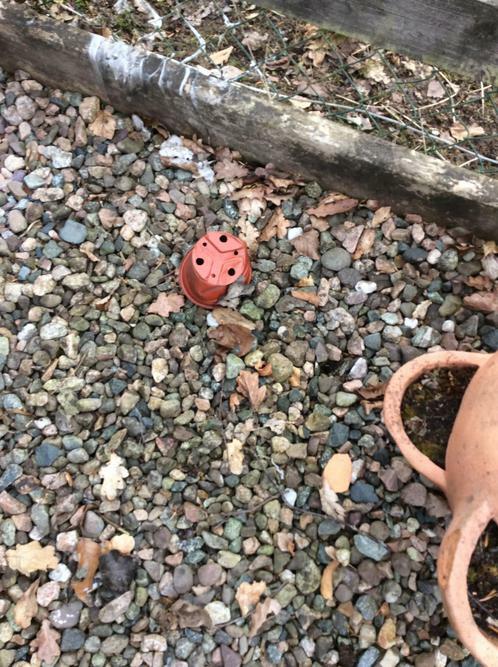 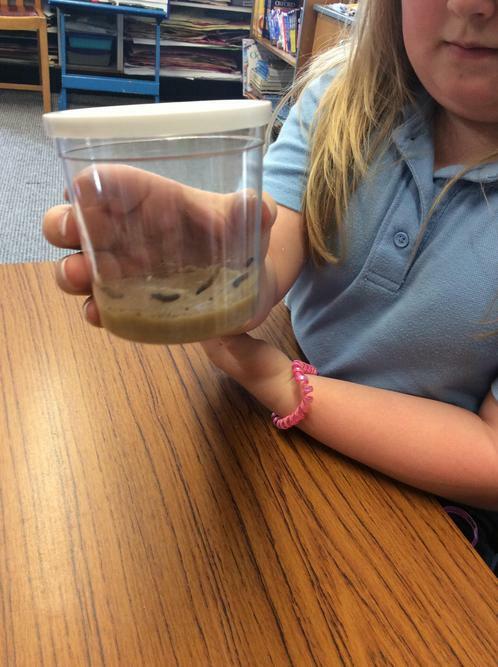 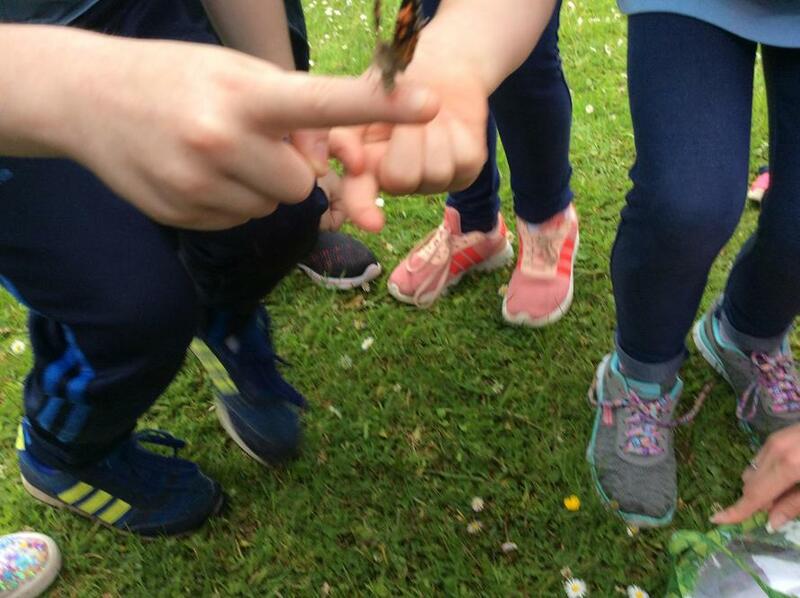 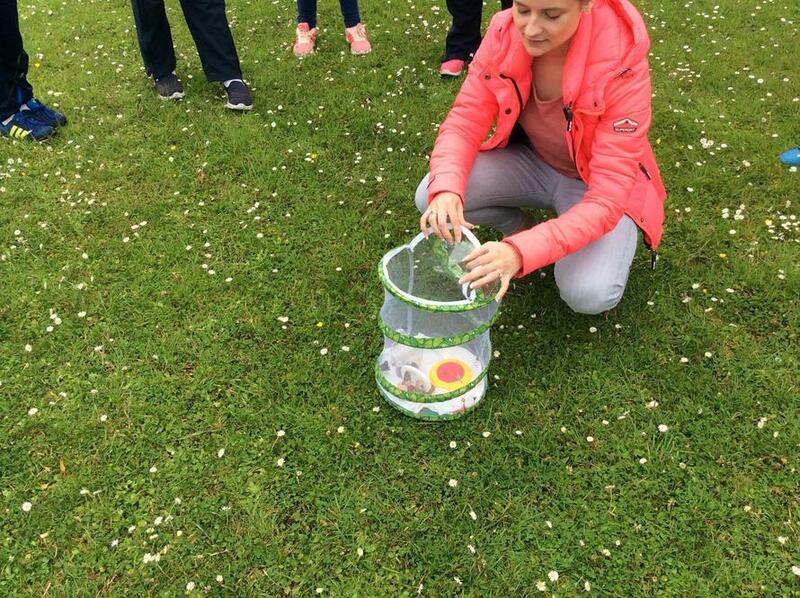 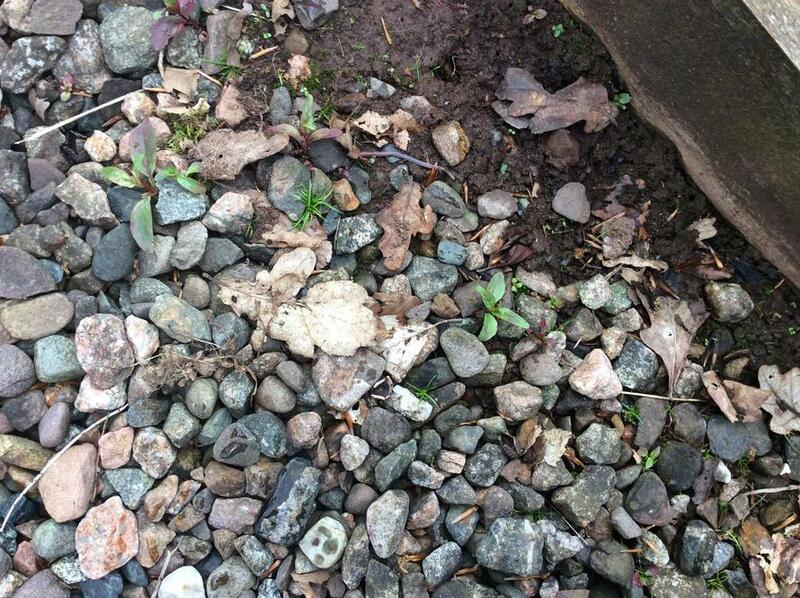 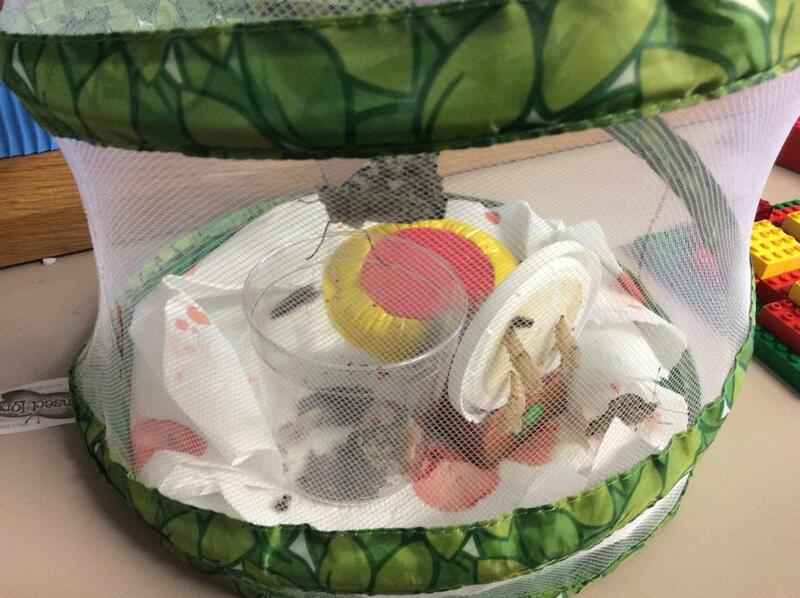 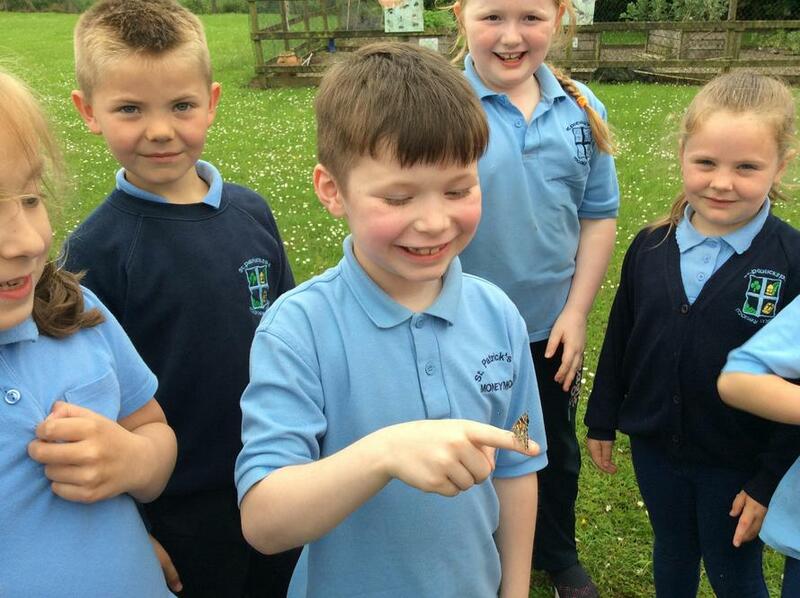 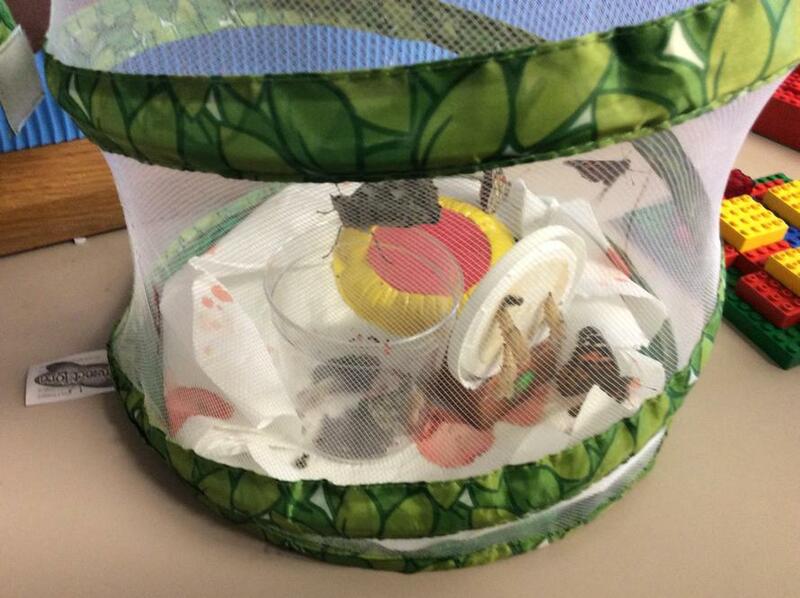 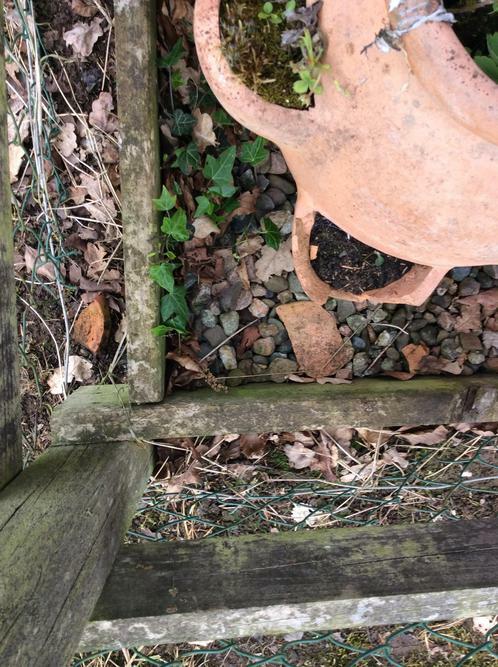 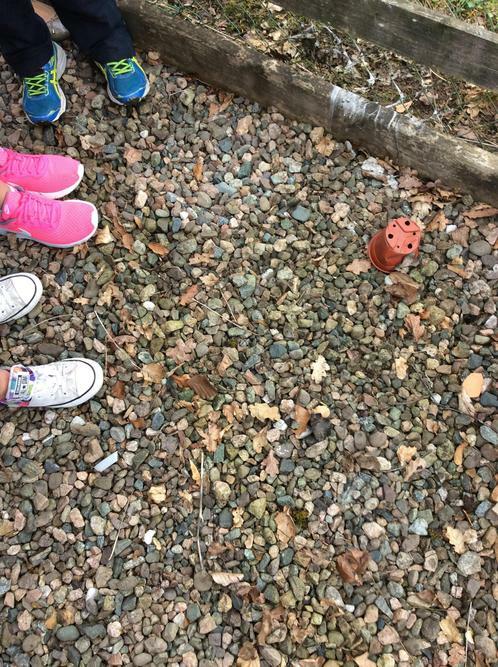 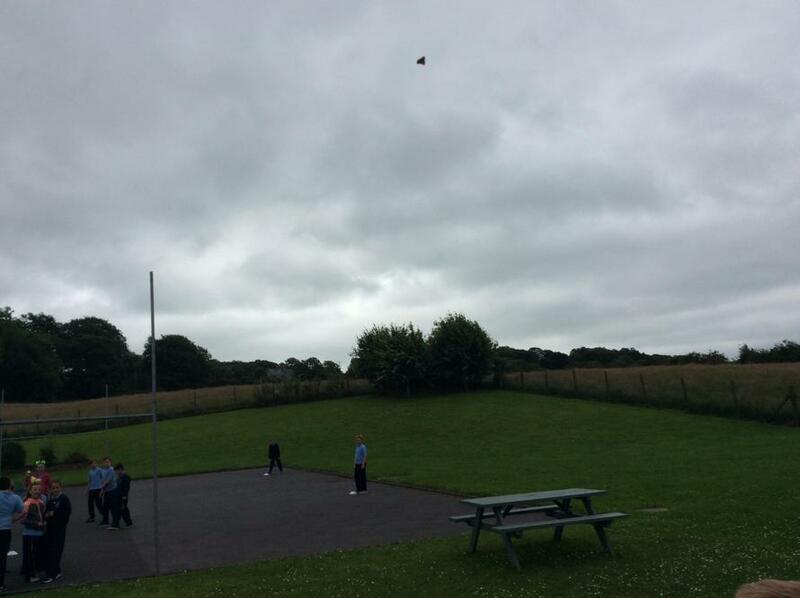 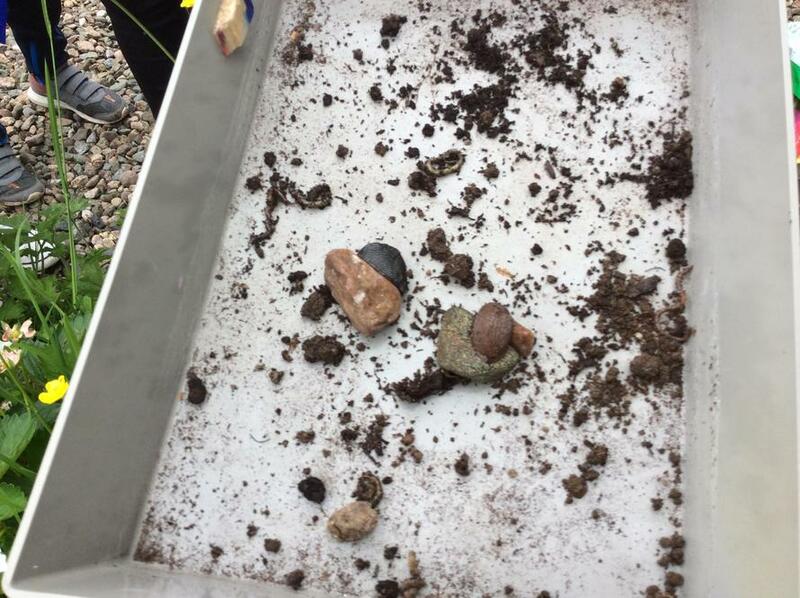 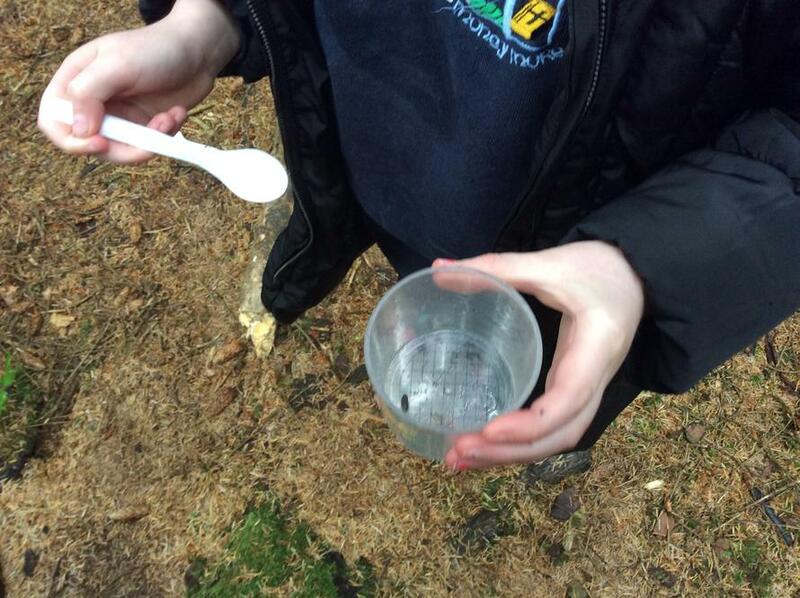 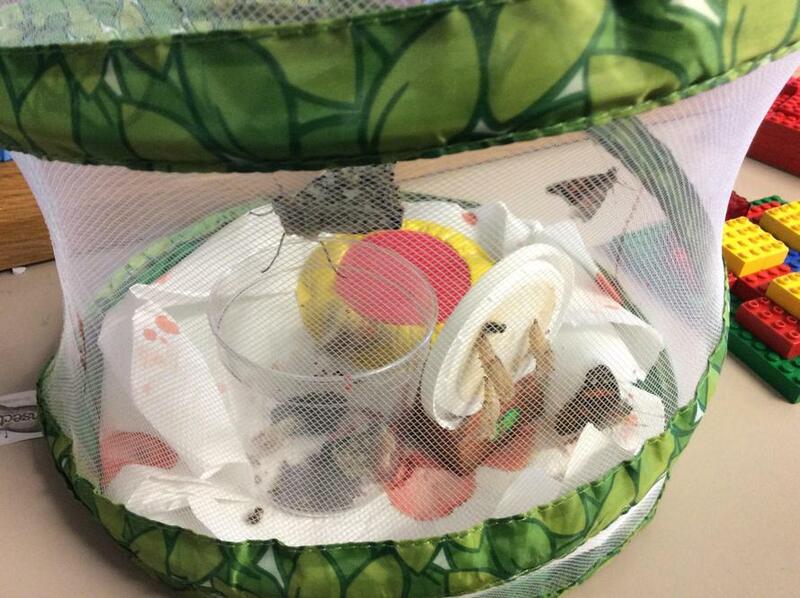 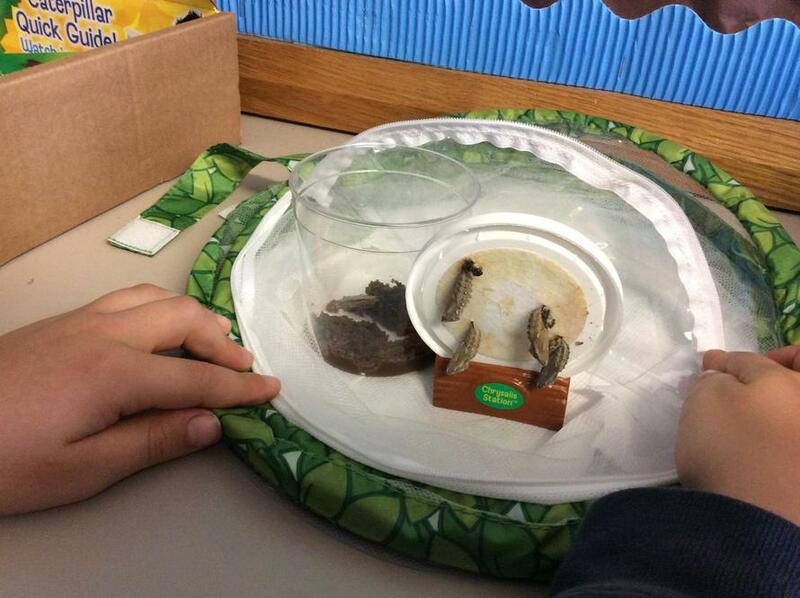 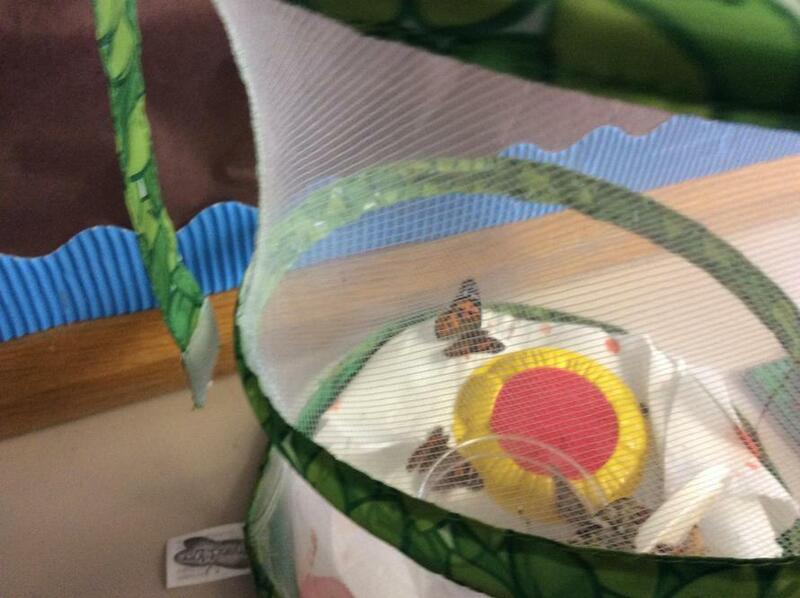 We set our beautiful butterflies free! 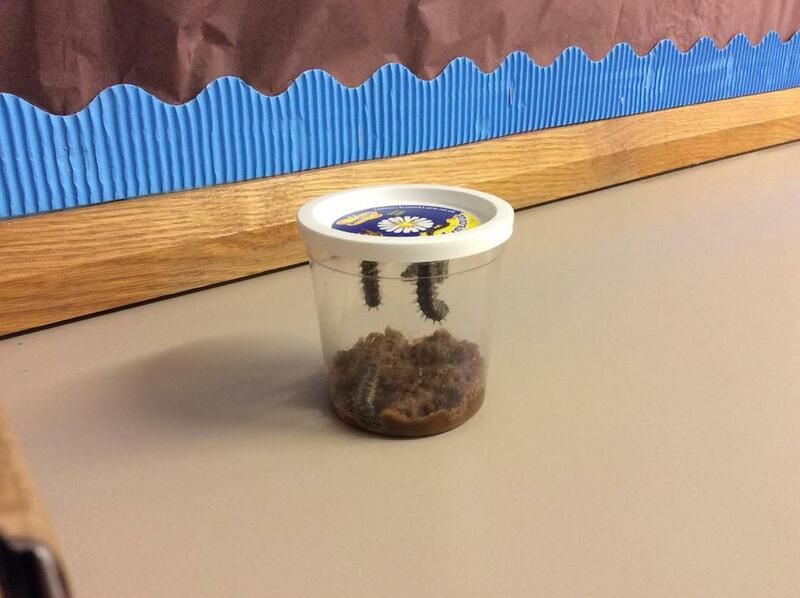 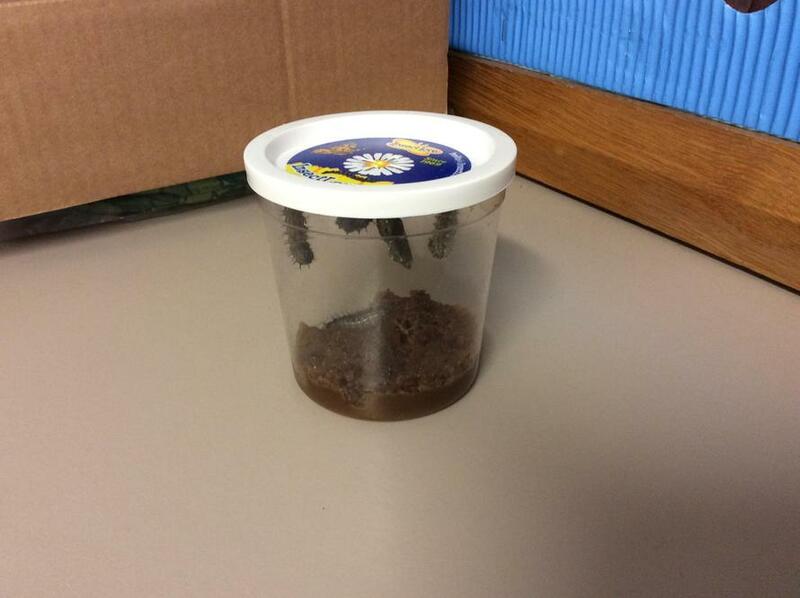 Come and meet our caterpillars, Roxstar, Stewy, King Mucker, Gerald and Jimmy and watch them develop into butterflies! 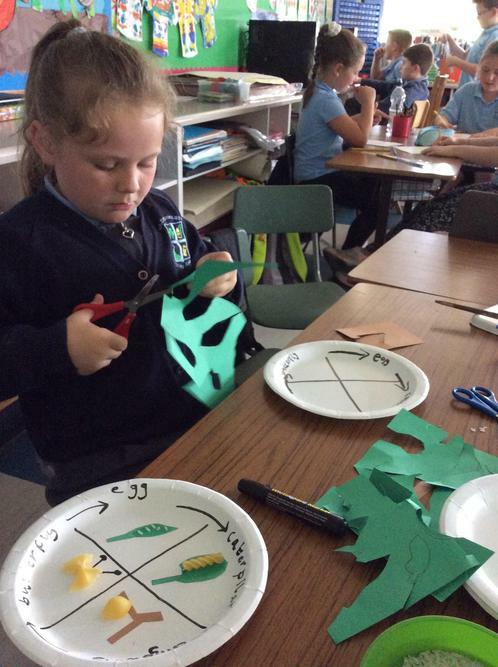 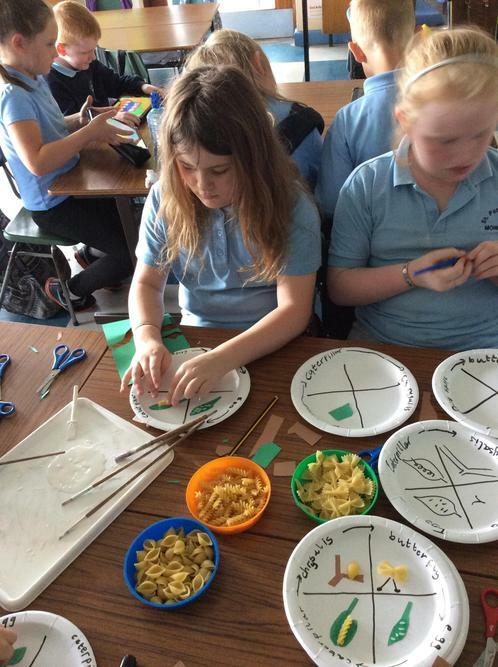 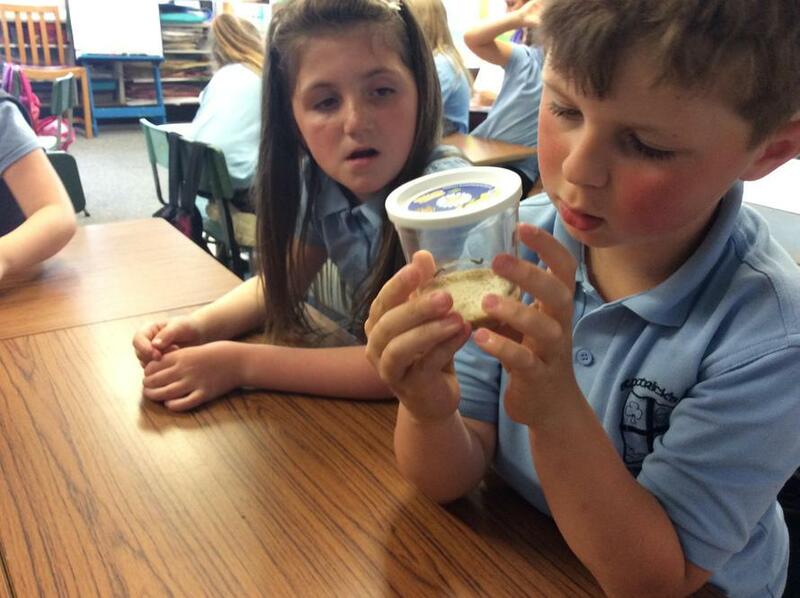 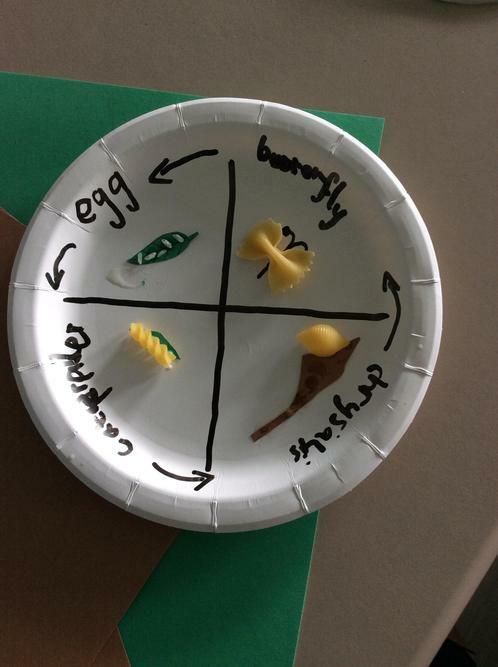 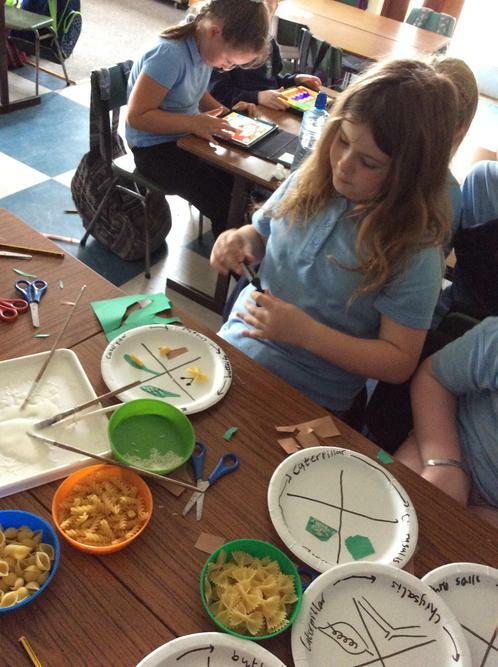 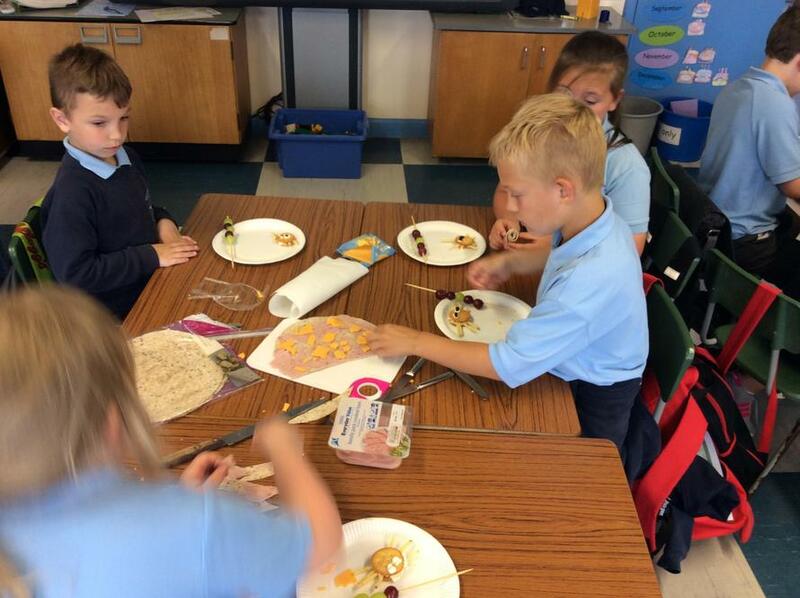 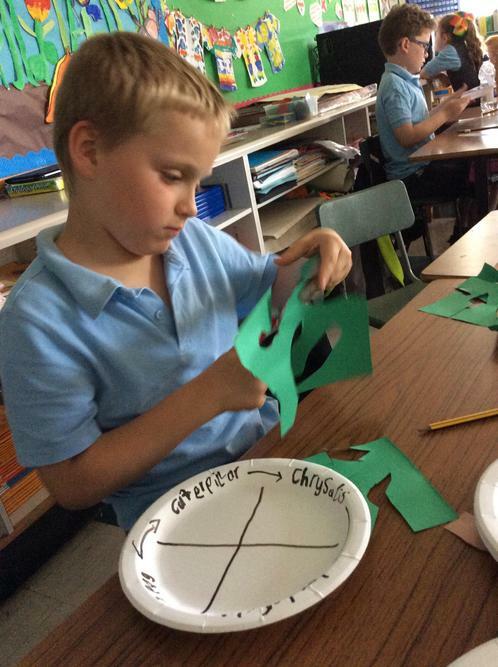 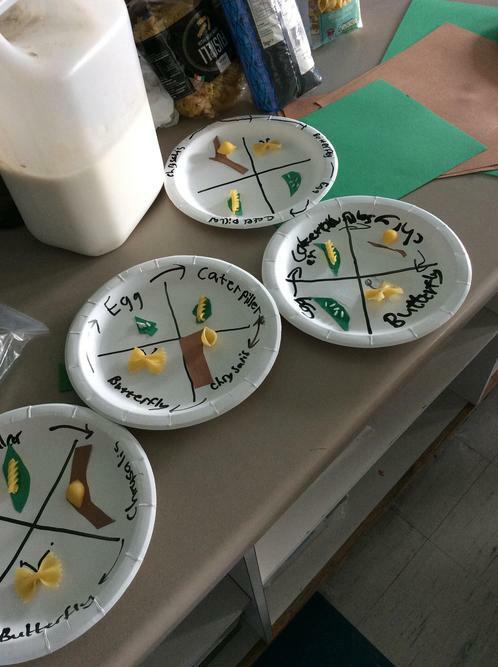 We learned about the life cycle of a butterfly with pasta! 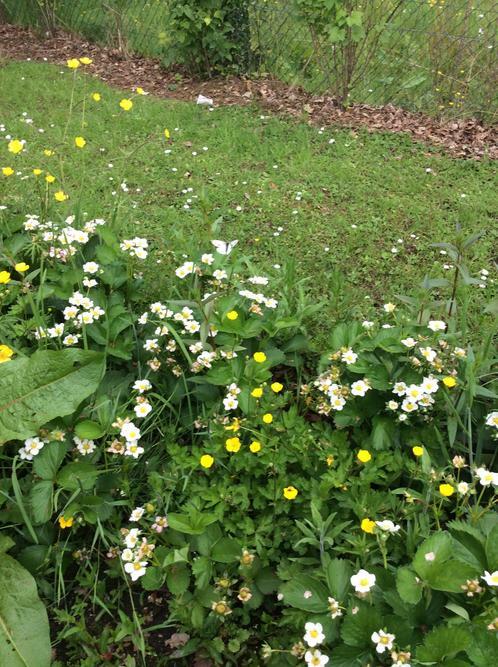 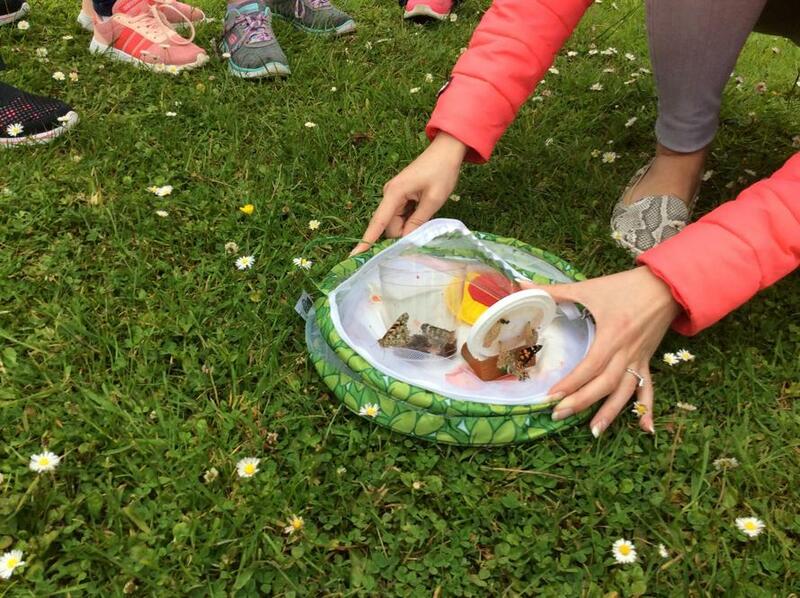 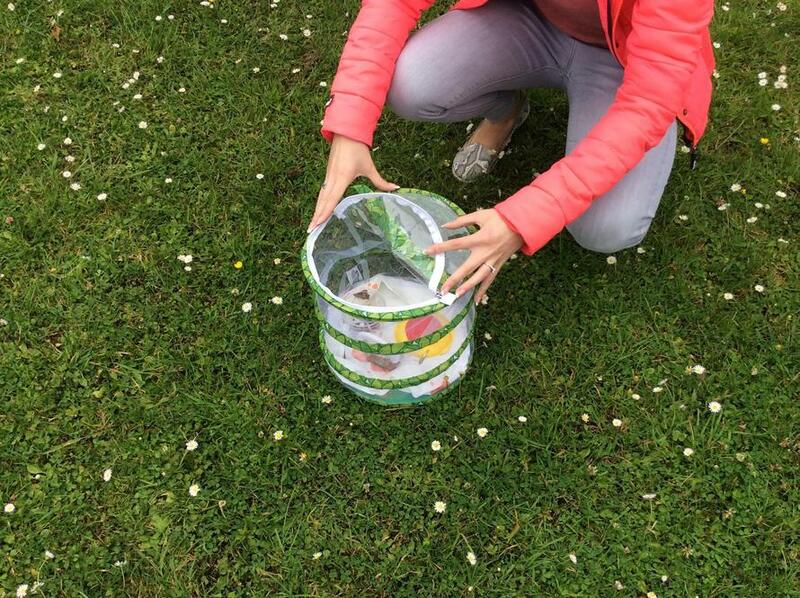 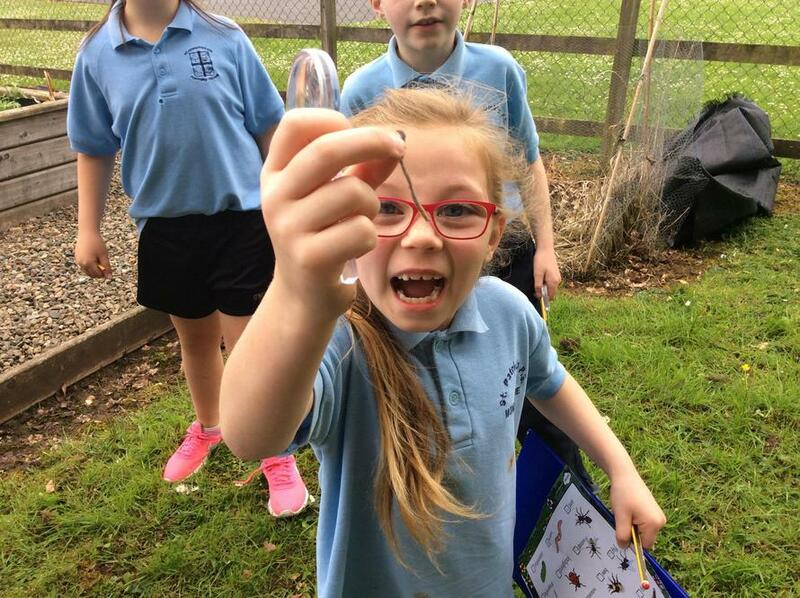 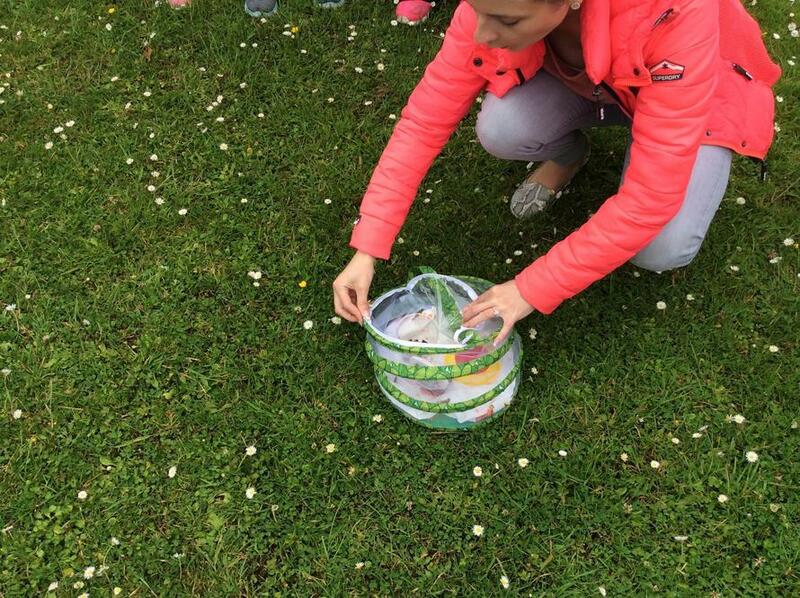 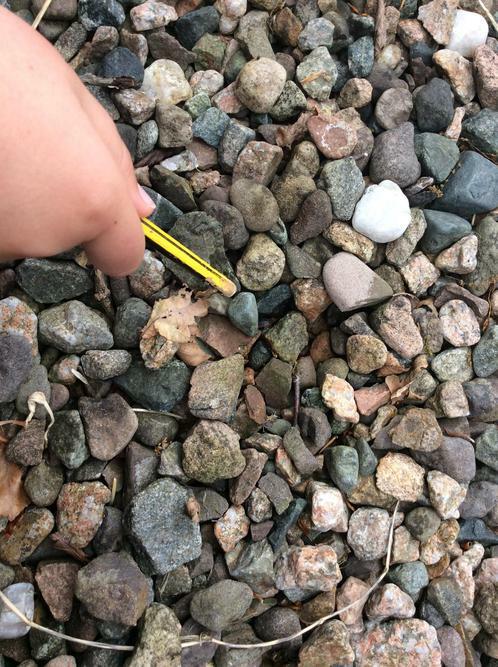 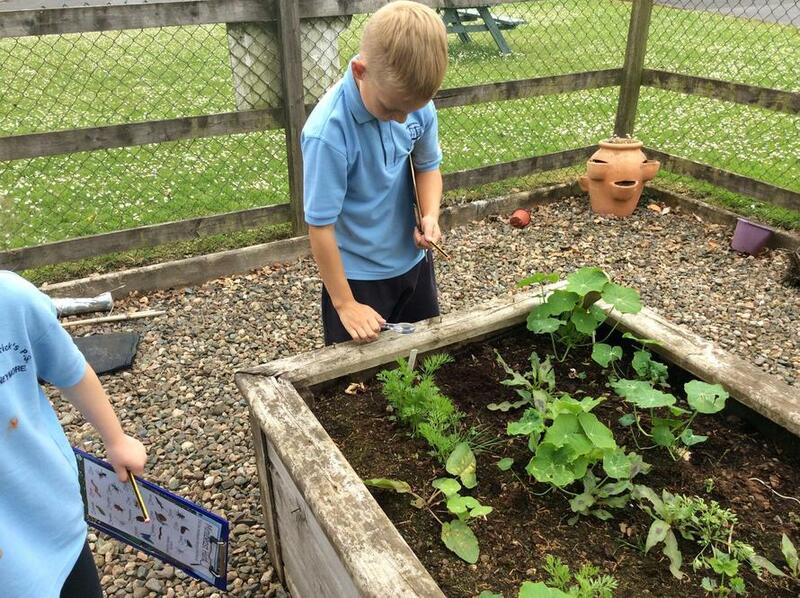 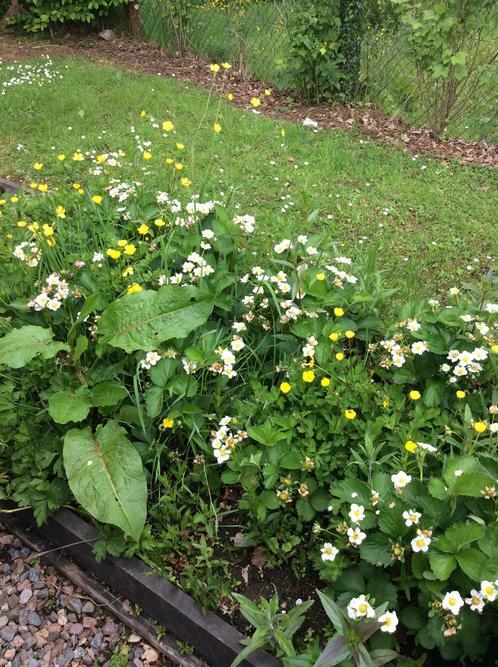 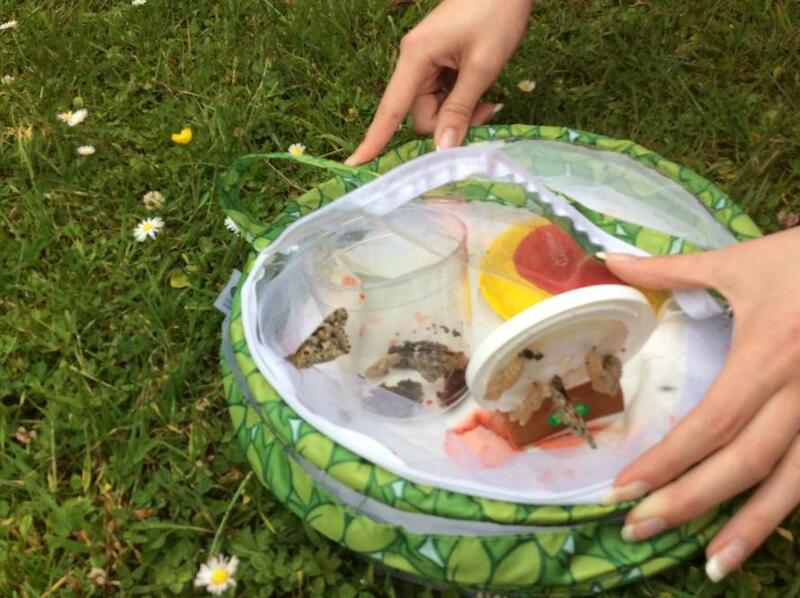 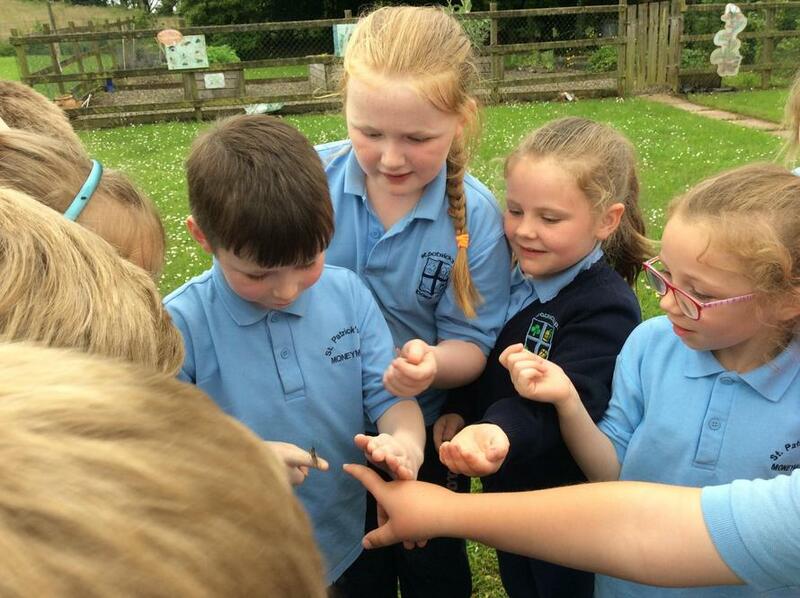 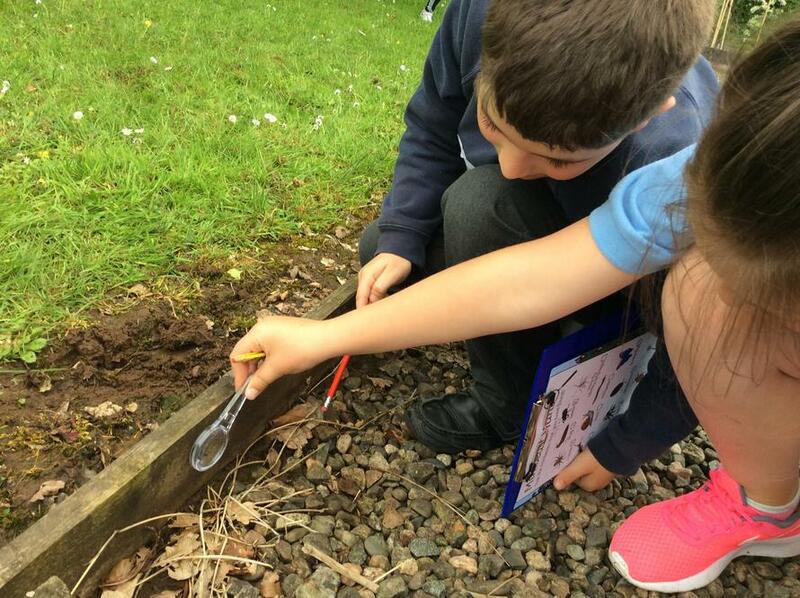 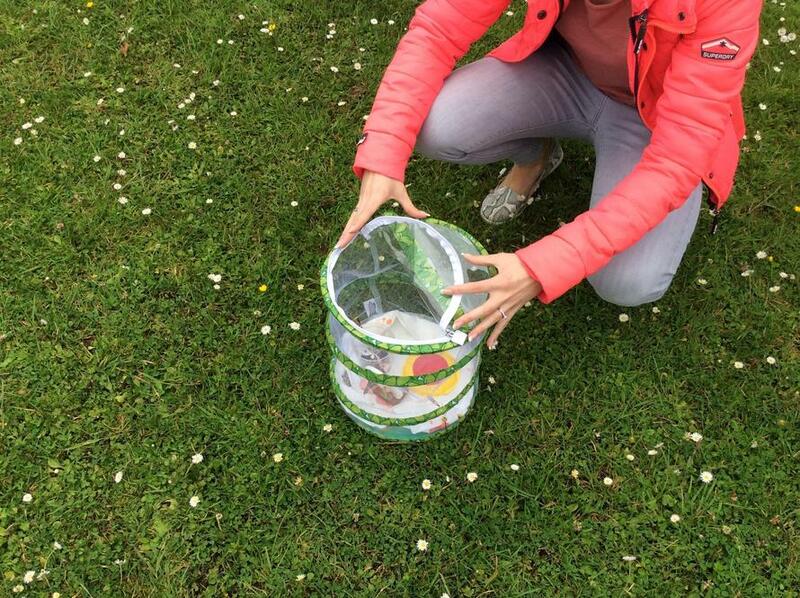 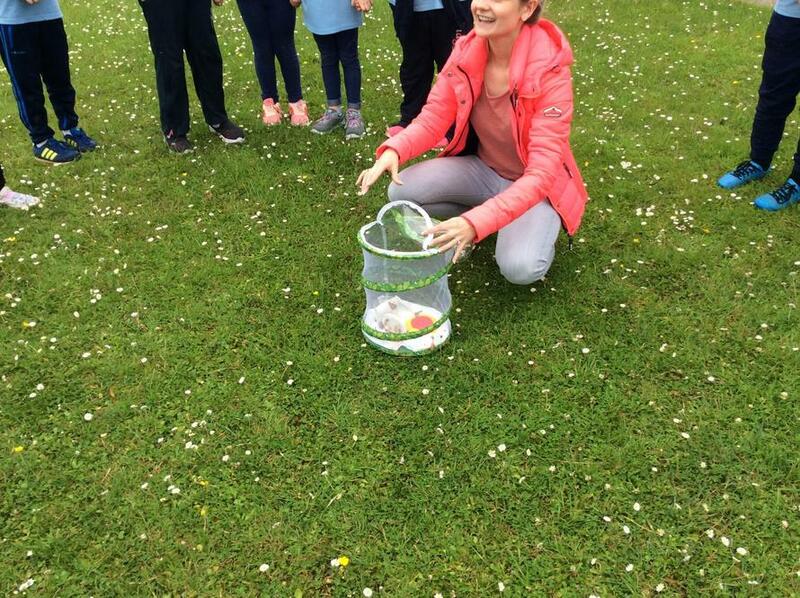 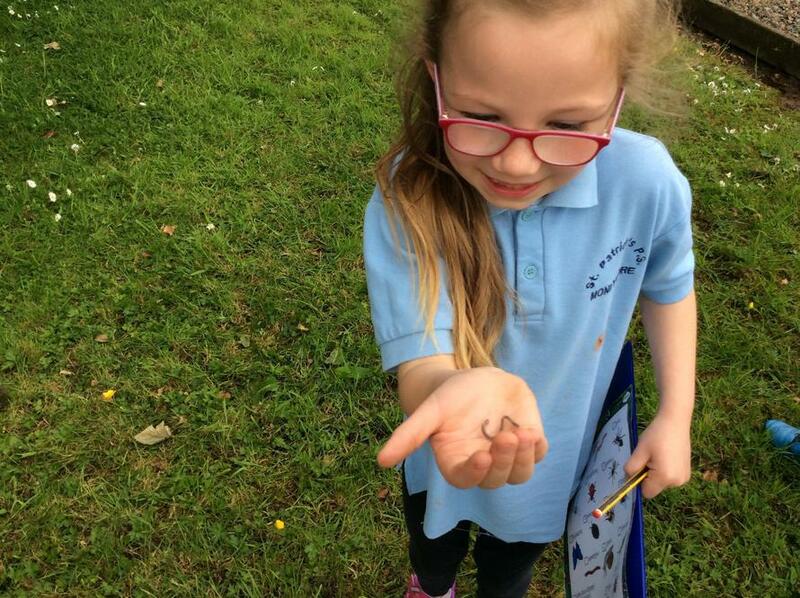 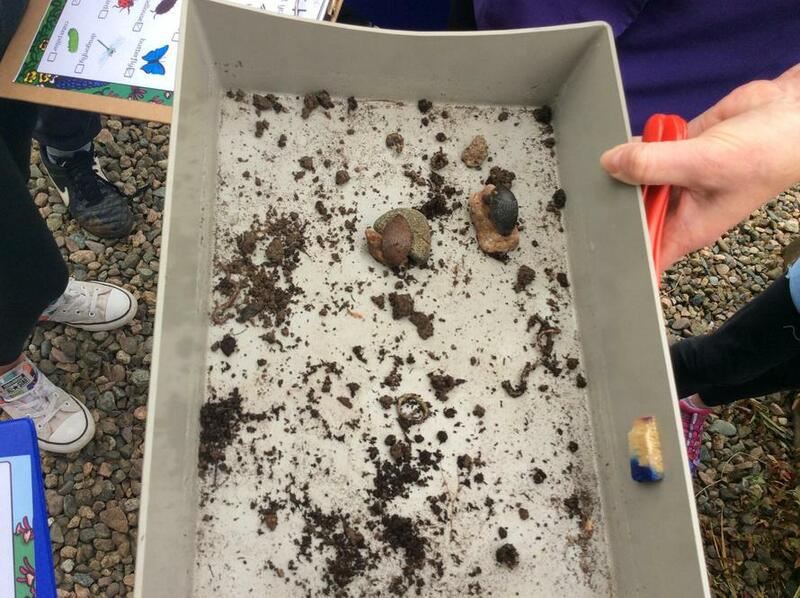 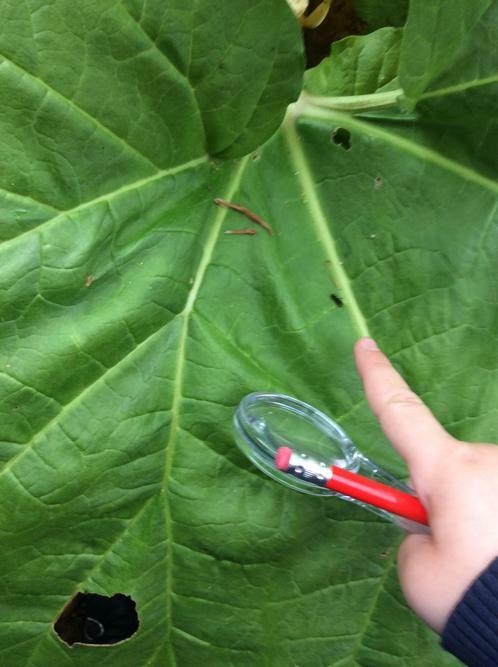 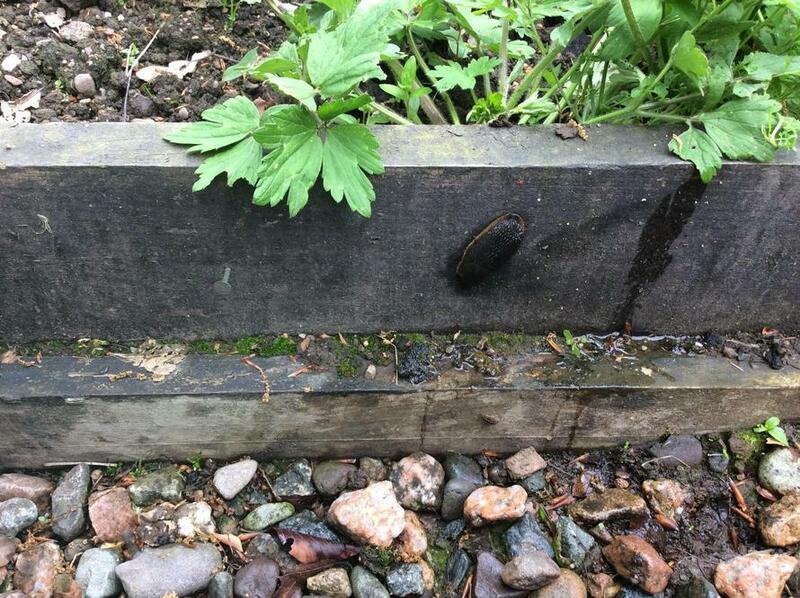 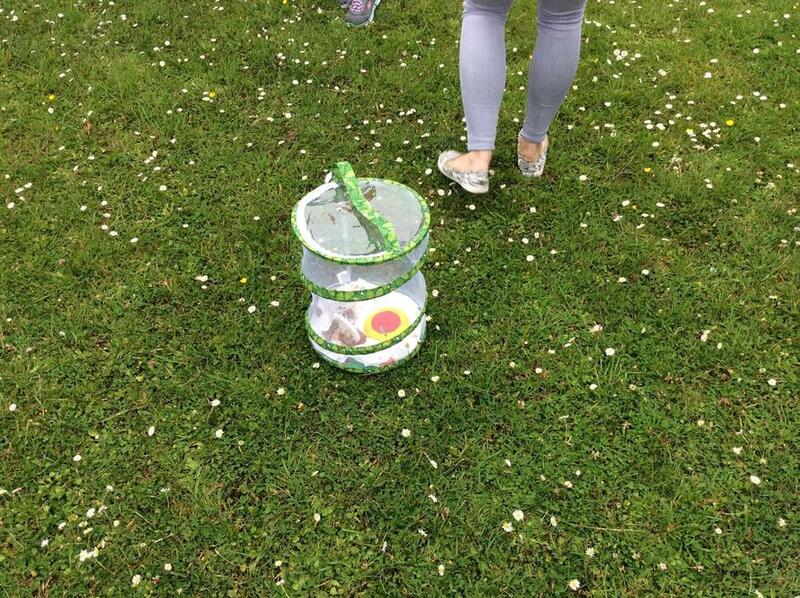 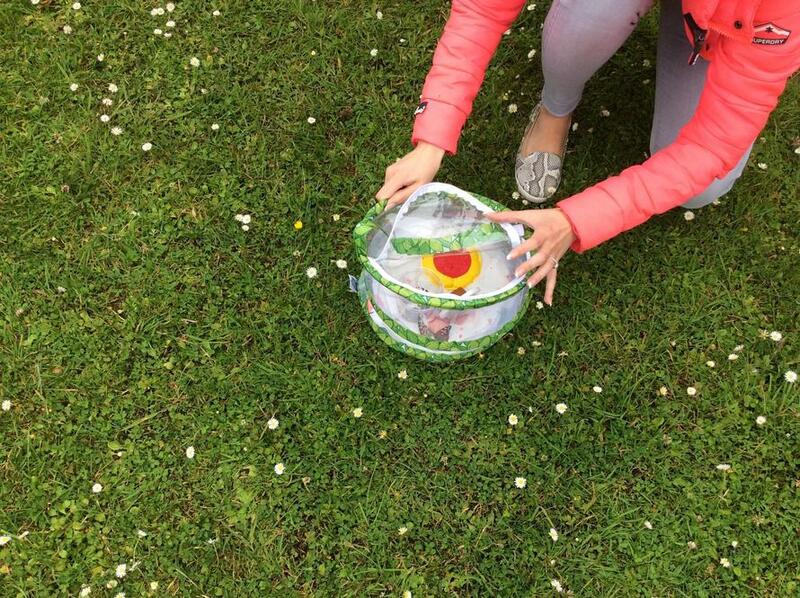 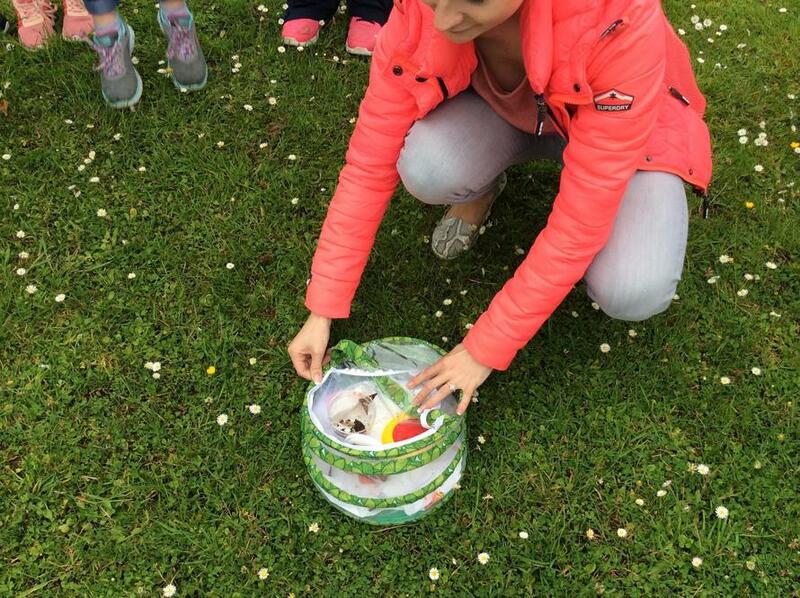 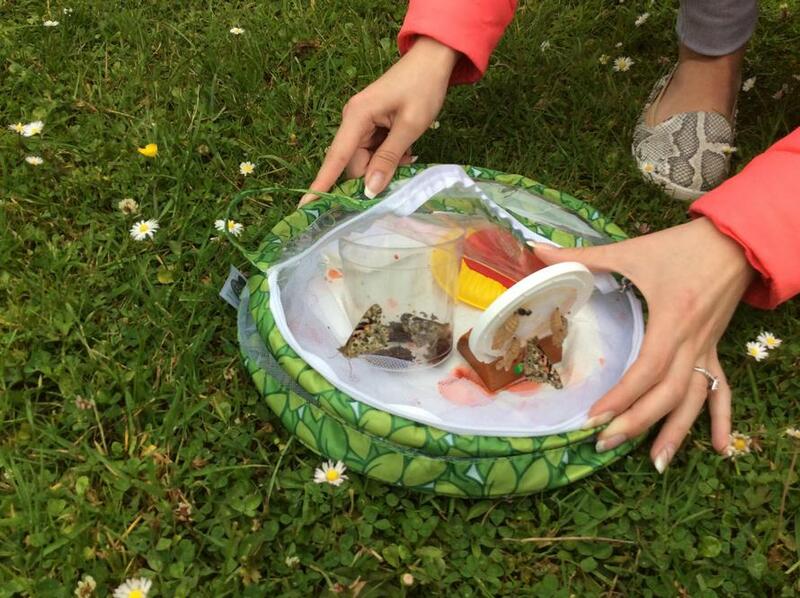 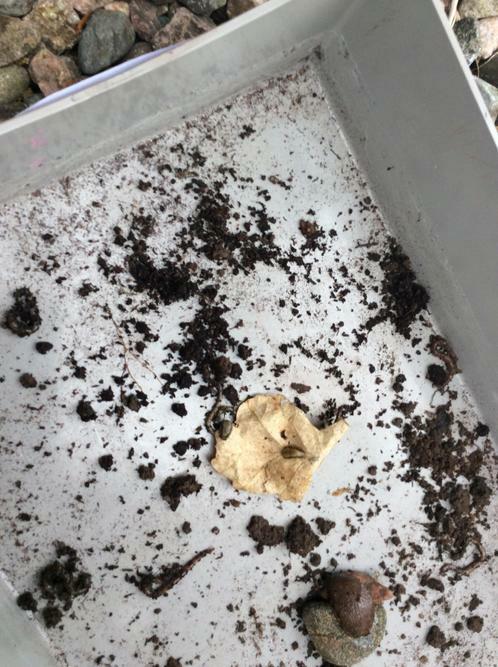 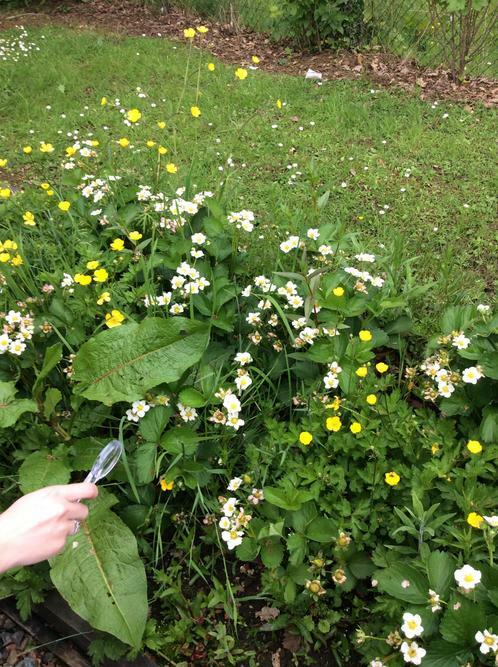 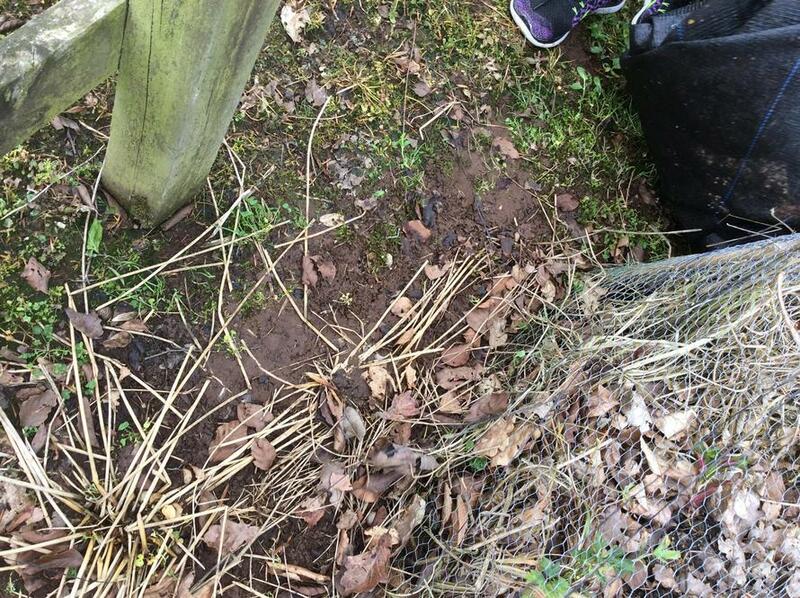 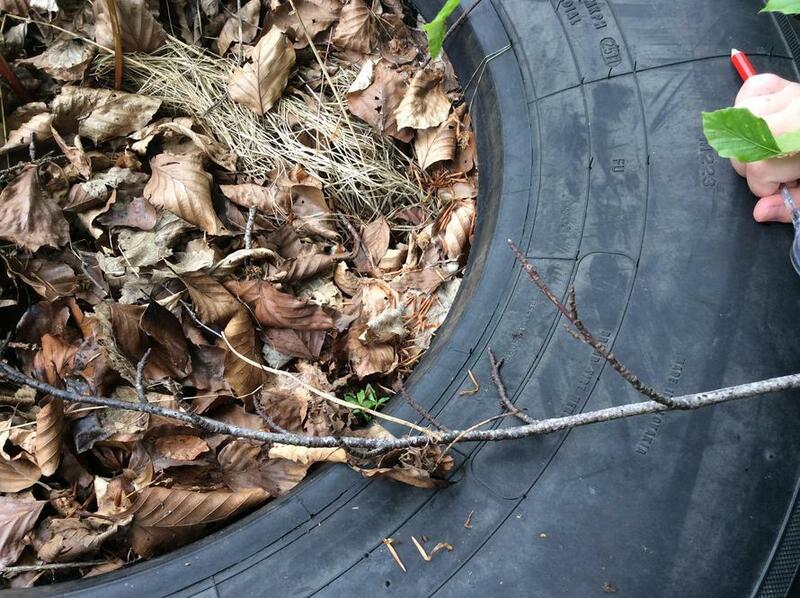 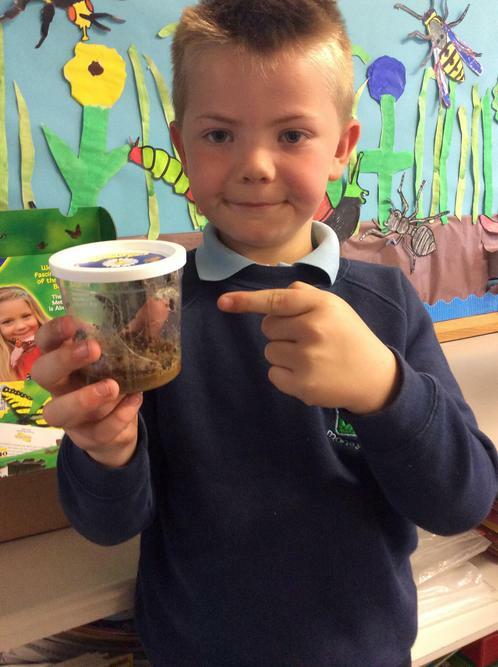 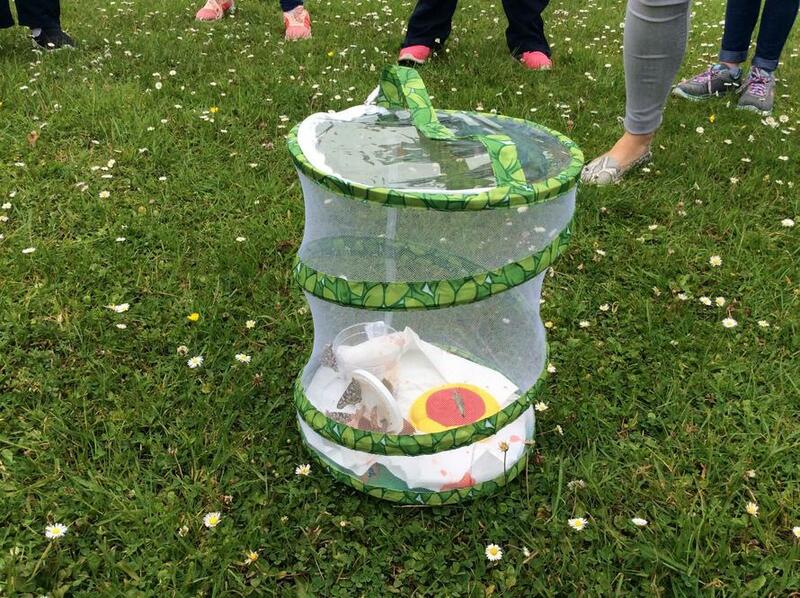 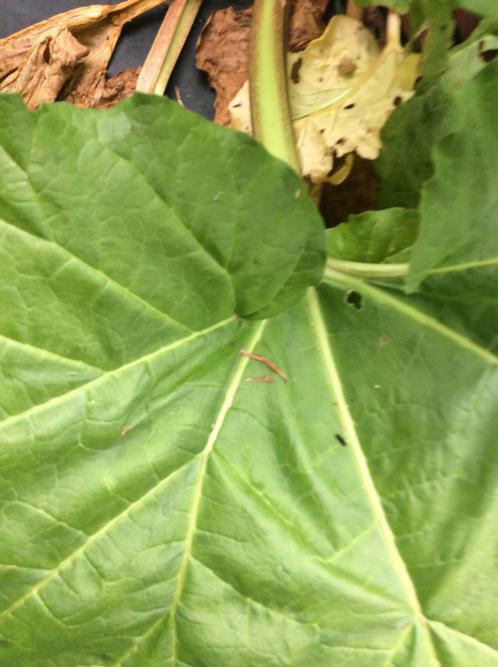 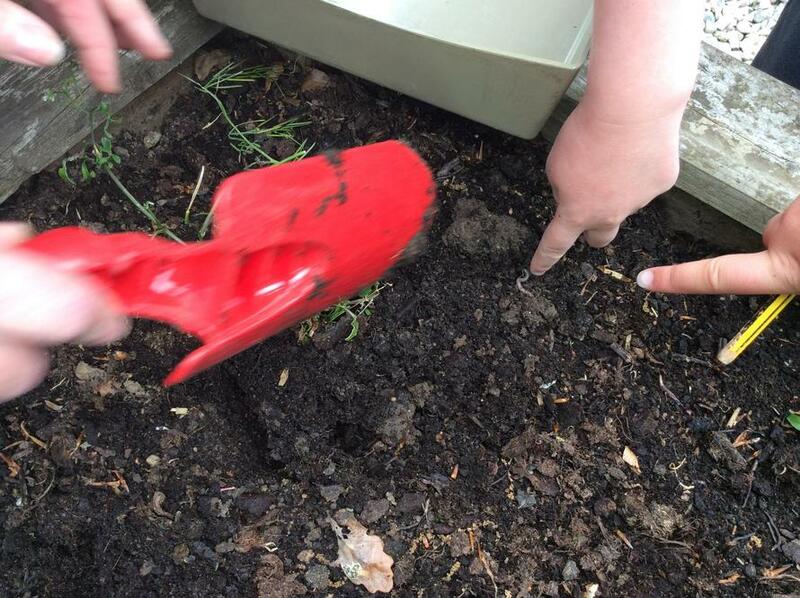 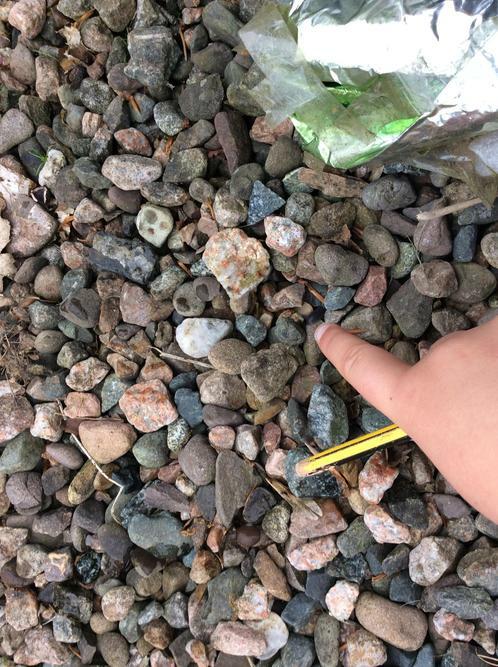 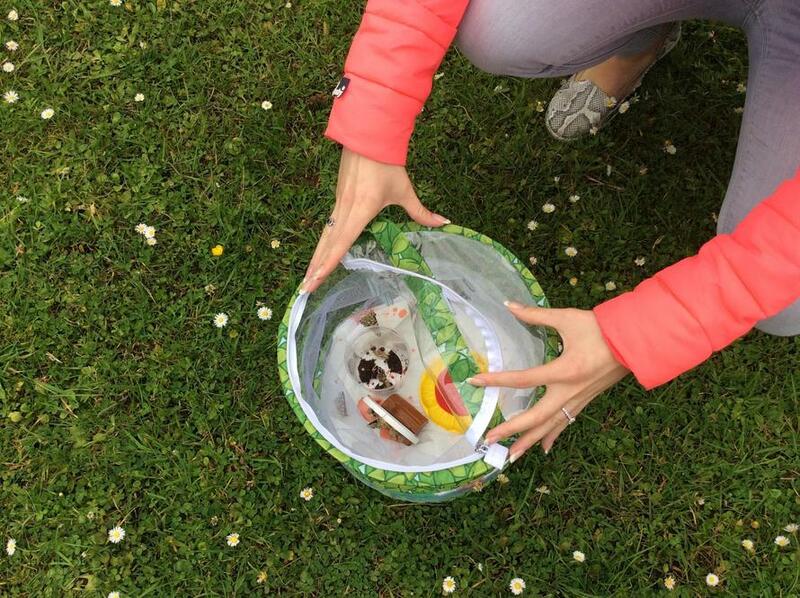 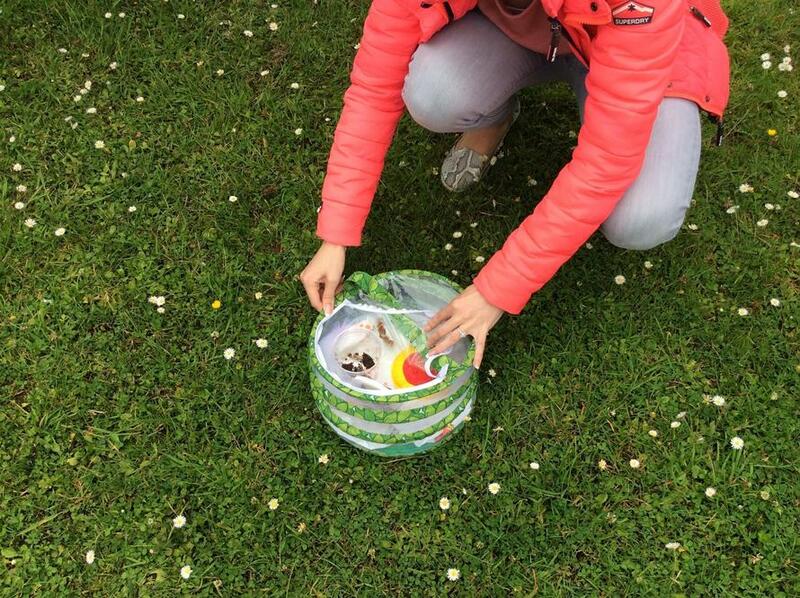 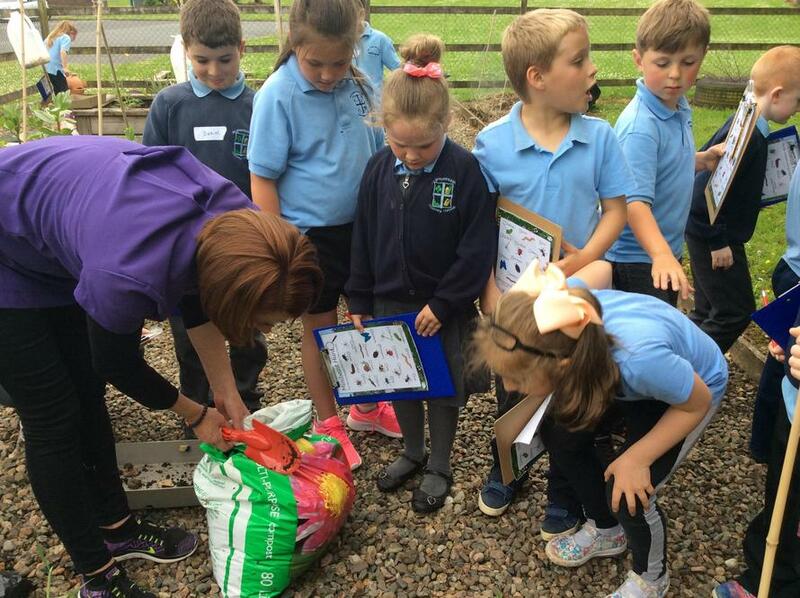 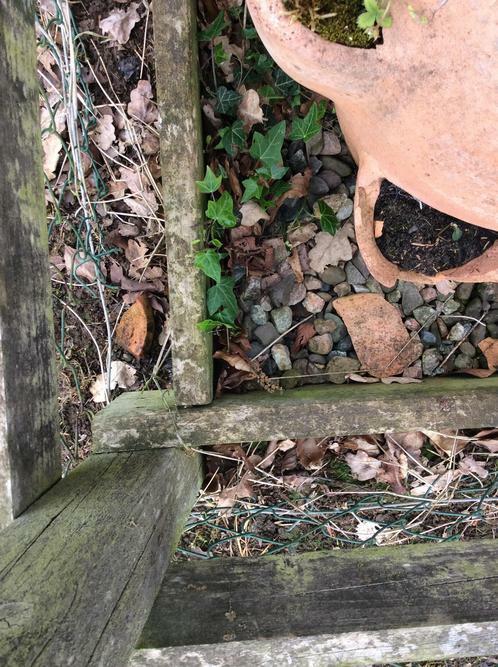 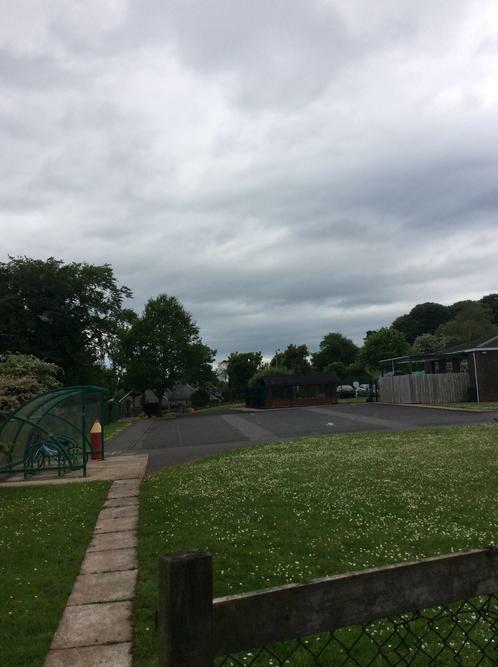 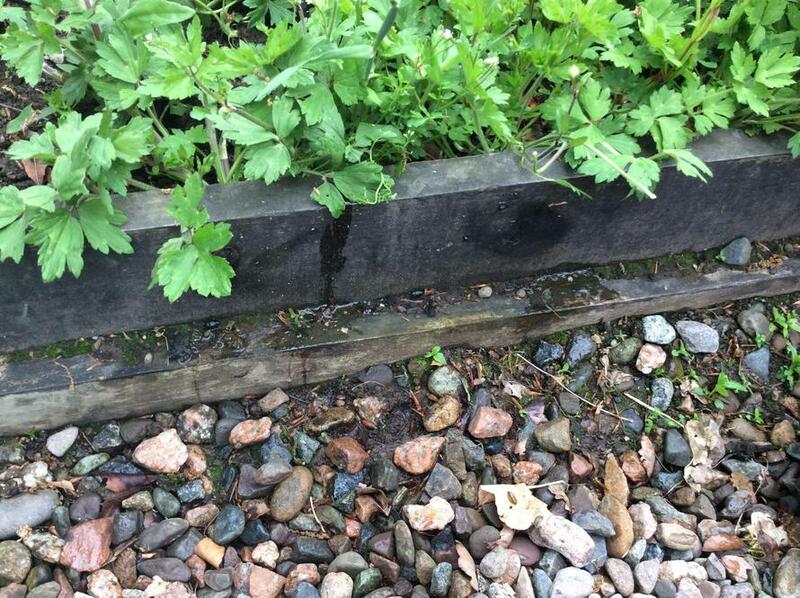 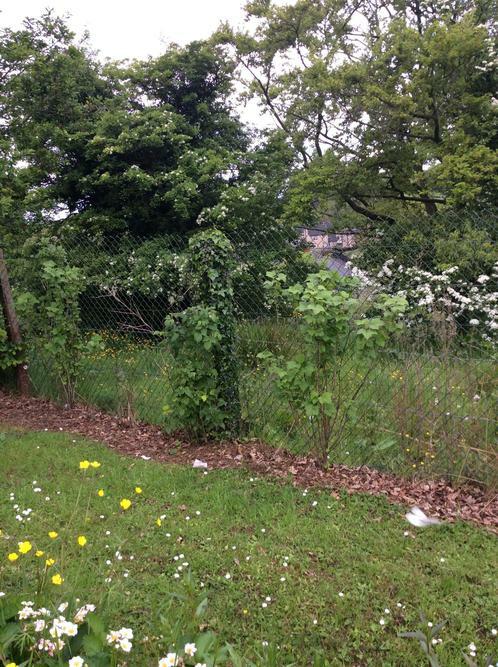 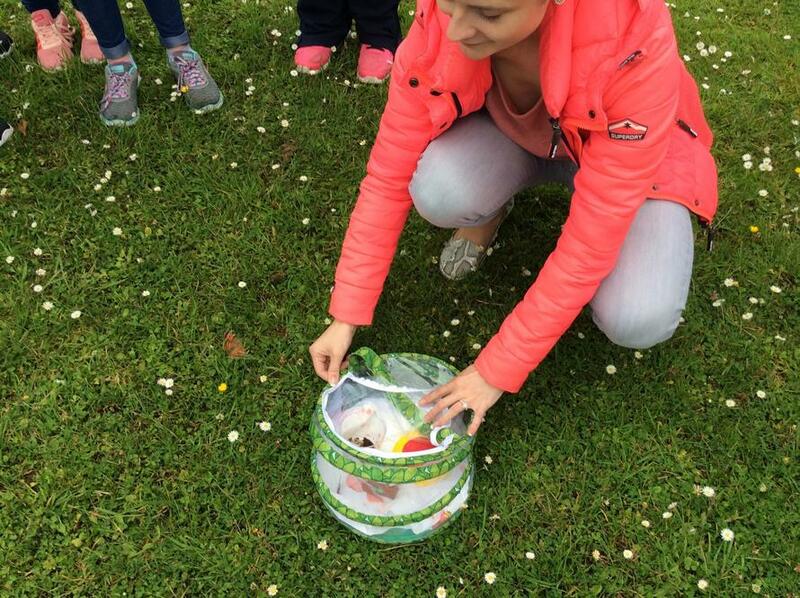 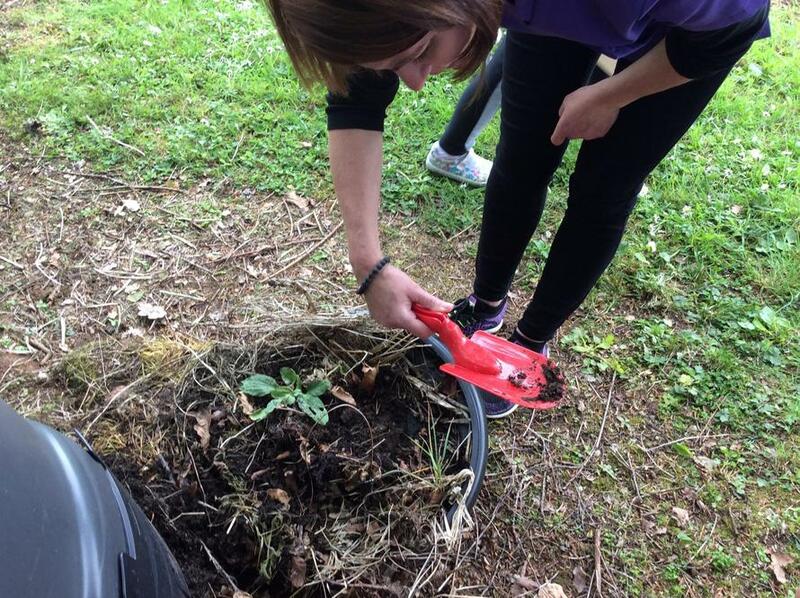 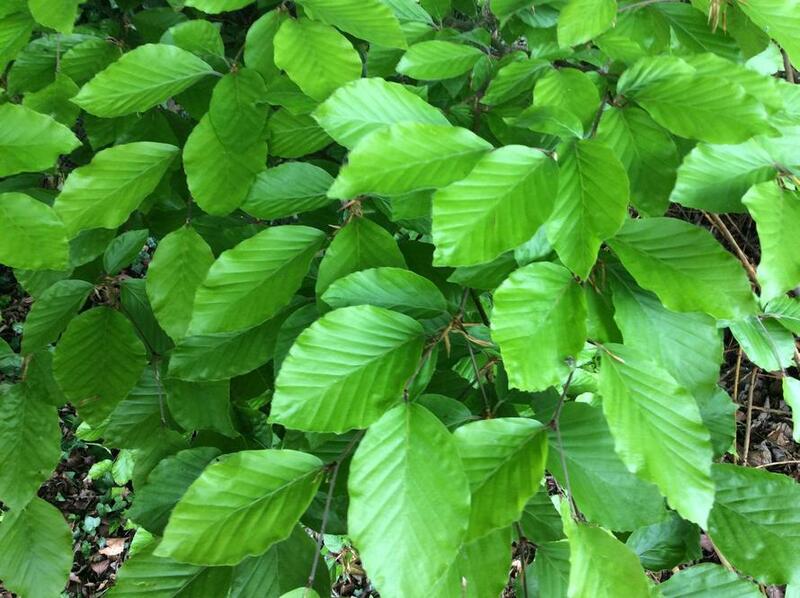 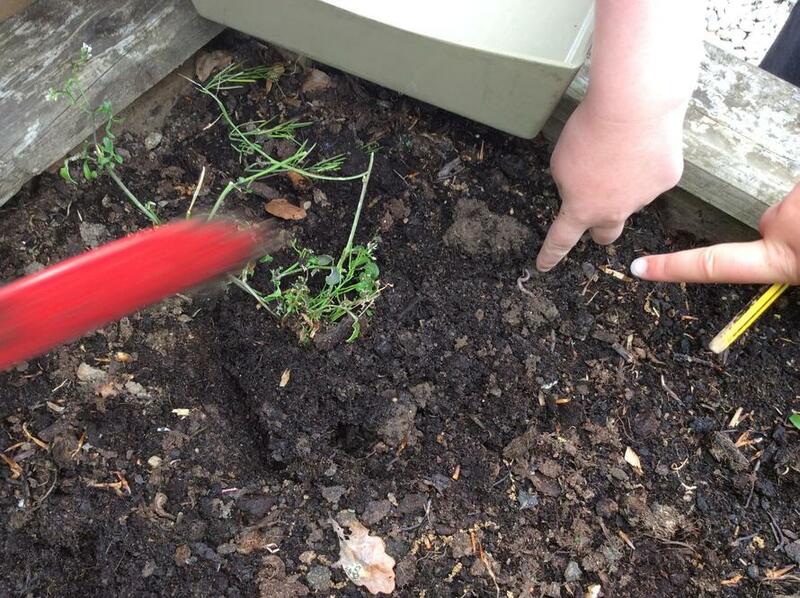 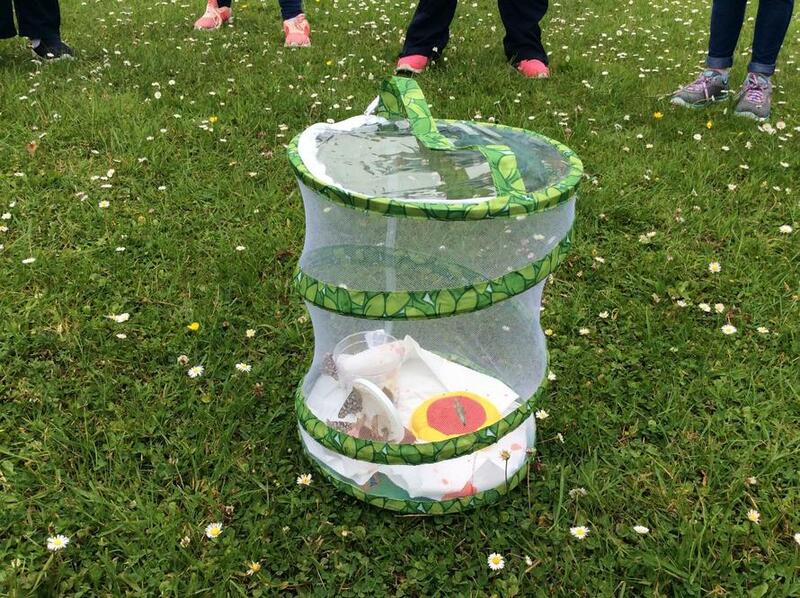 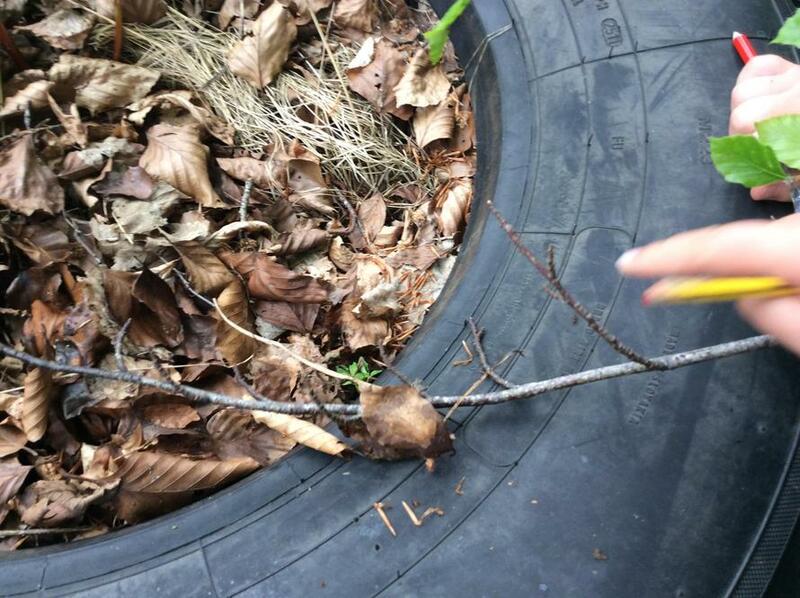 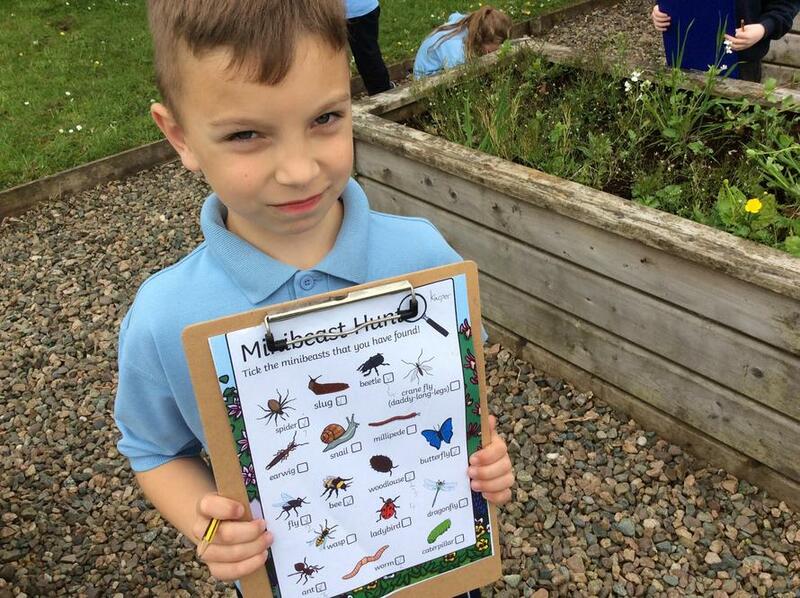 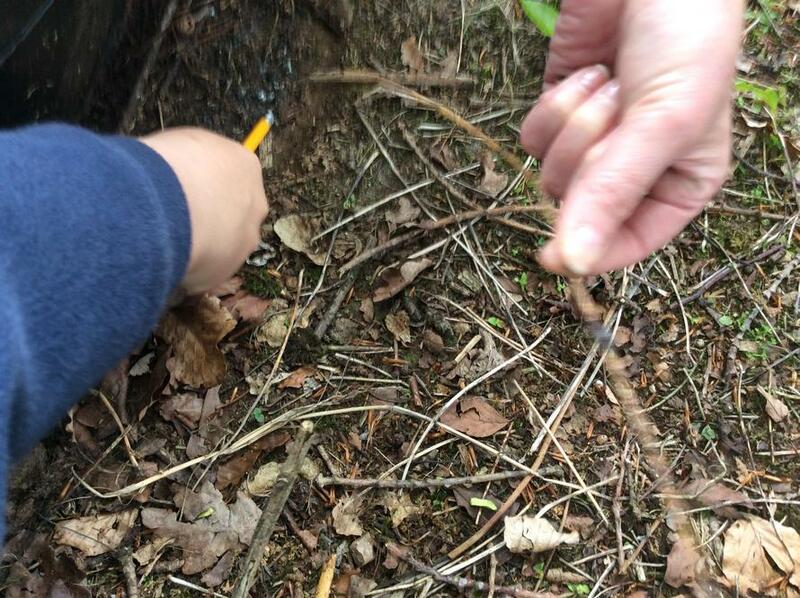 We went on a Minibeast Hunt in our school garden! 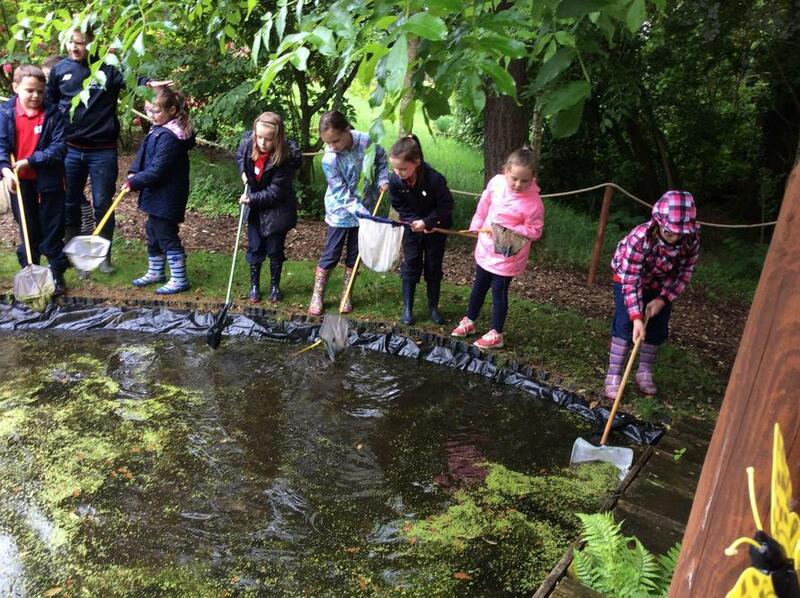 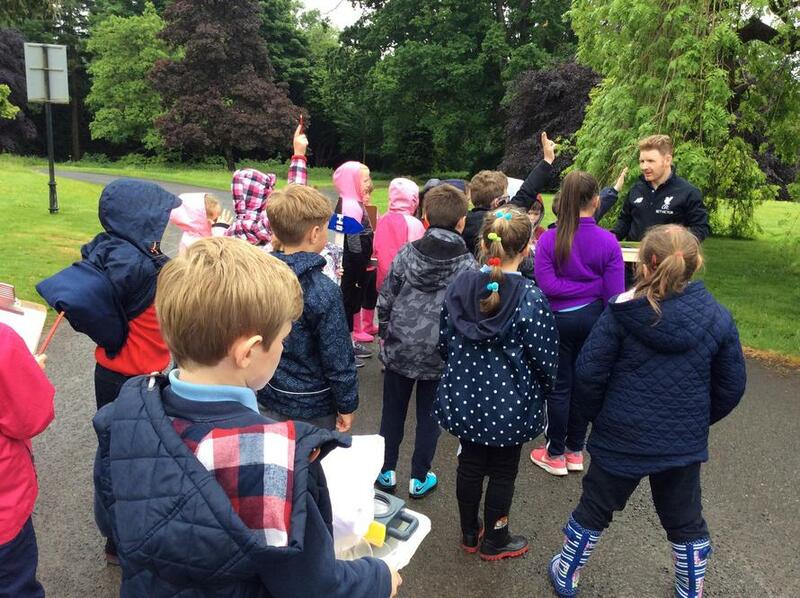 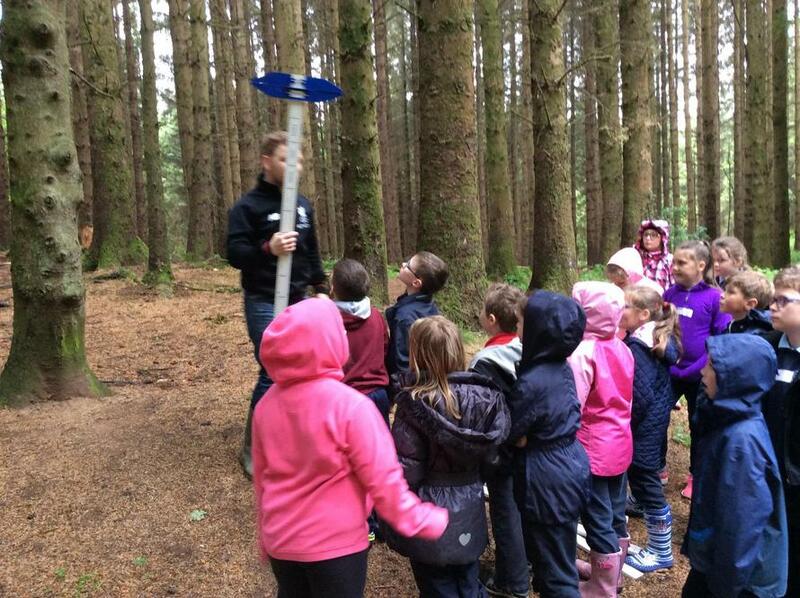 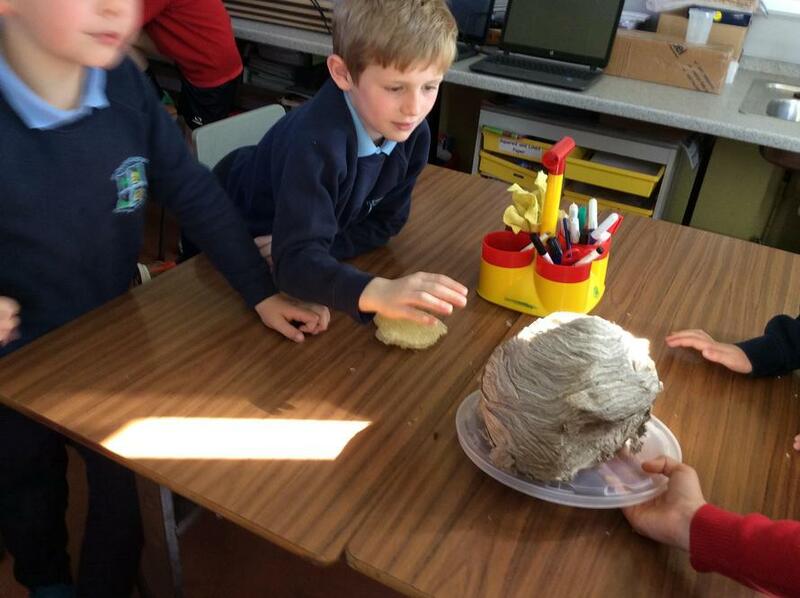 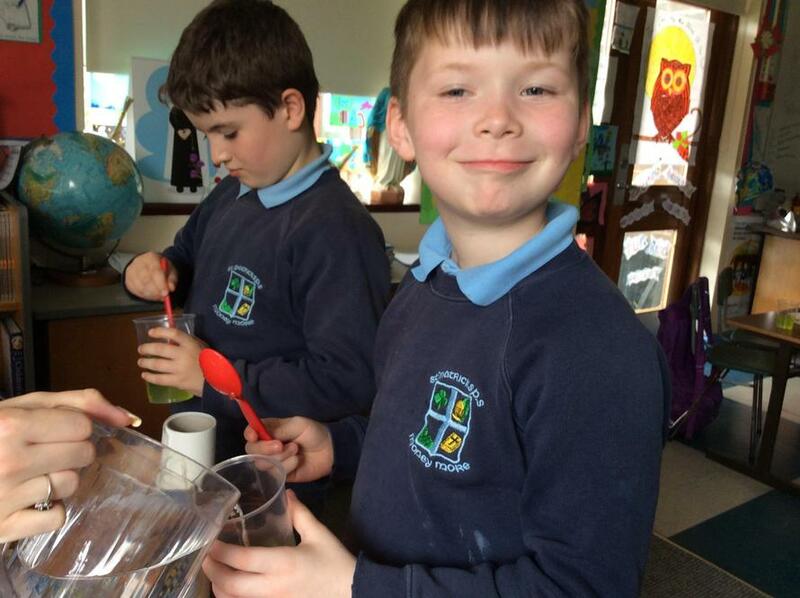 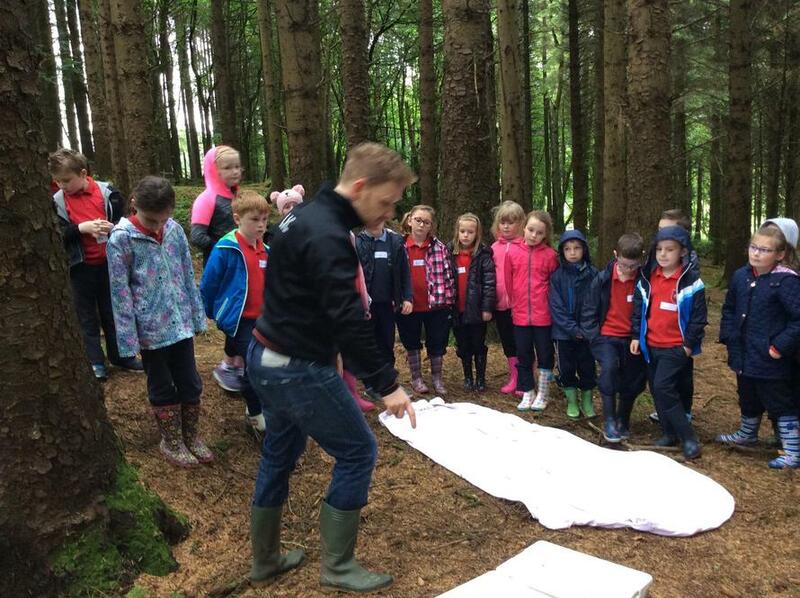 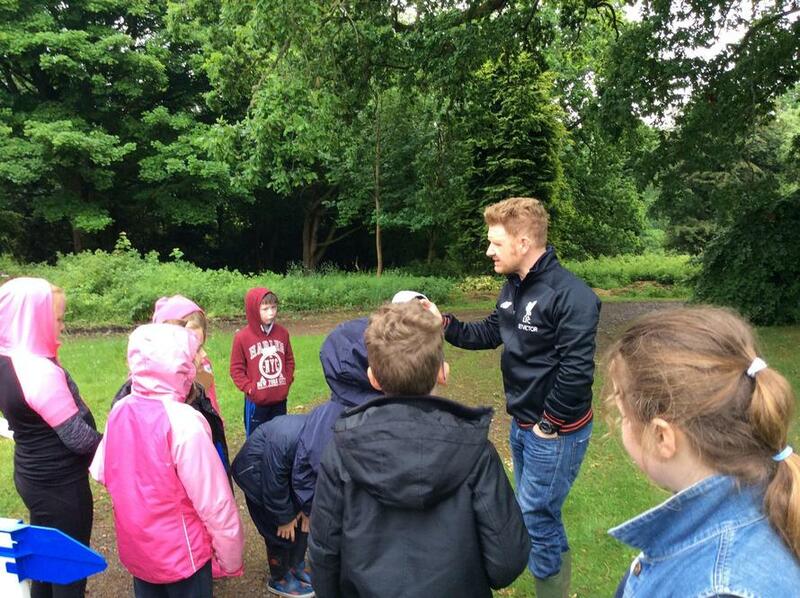 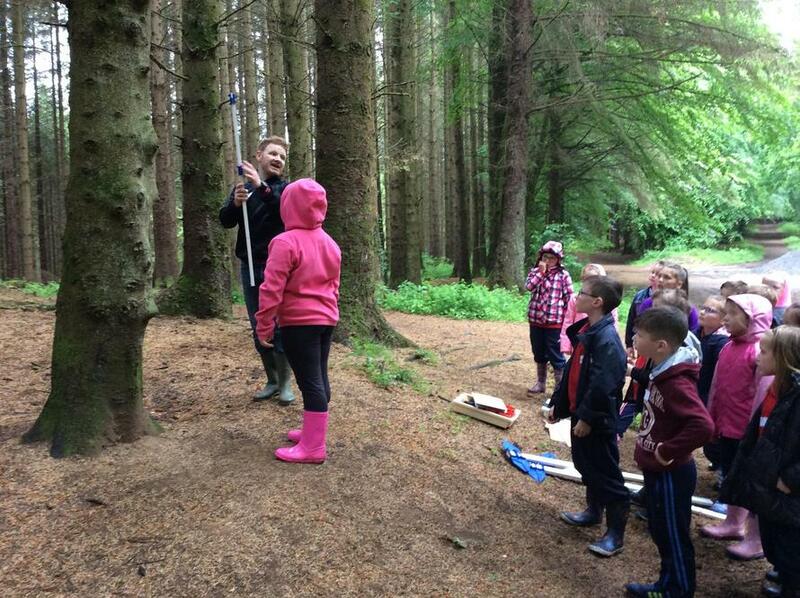 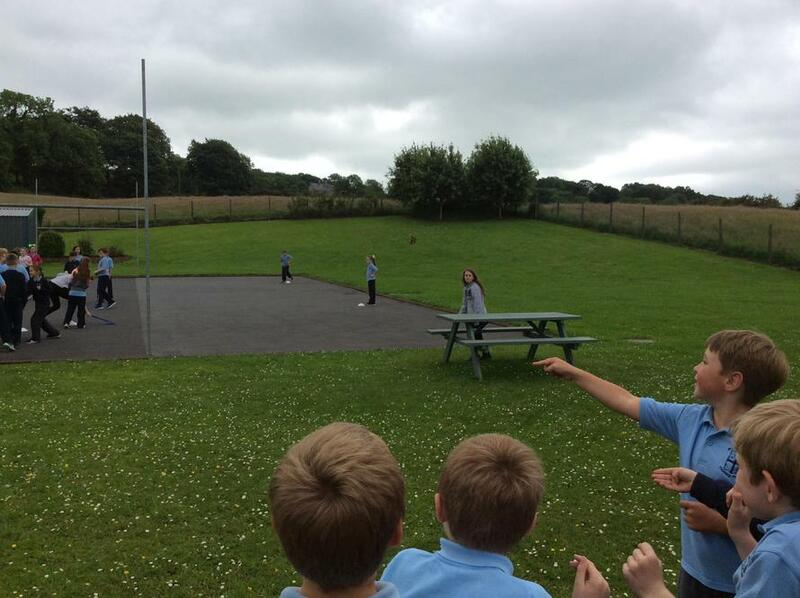 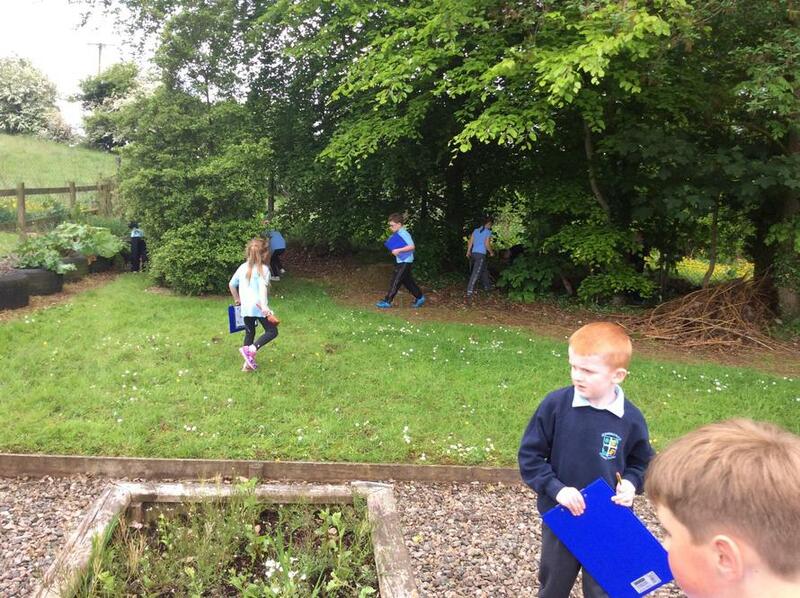 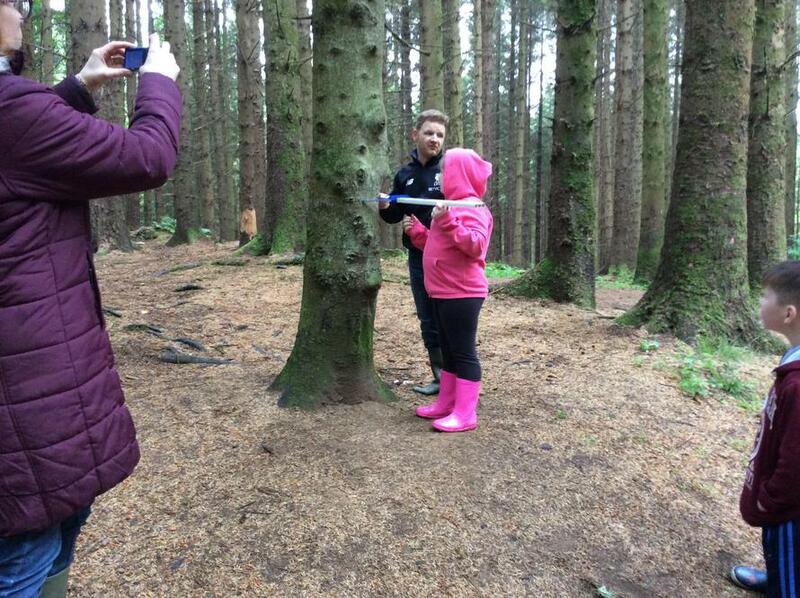 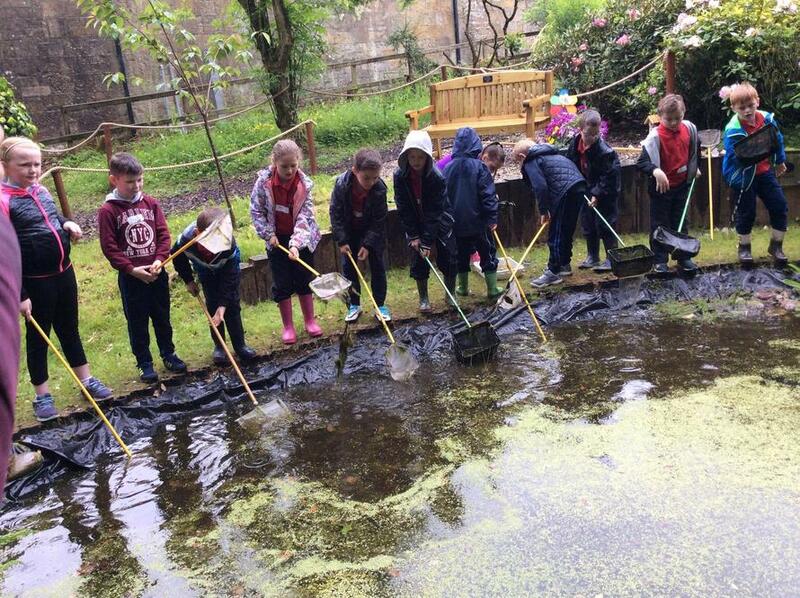 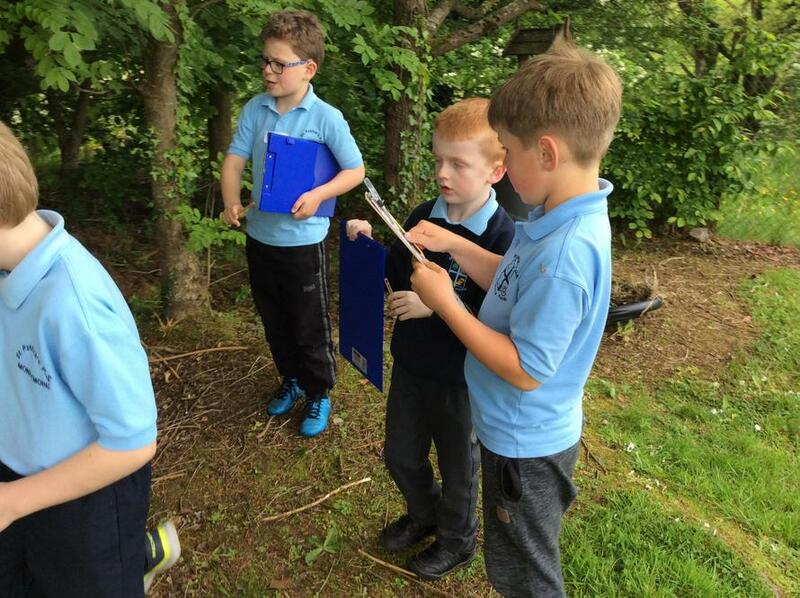 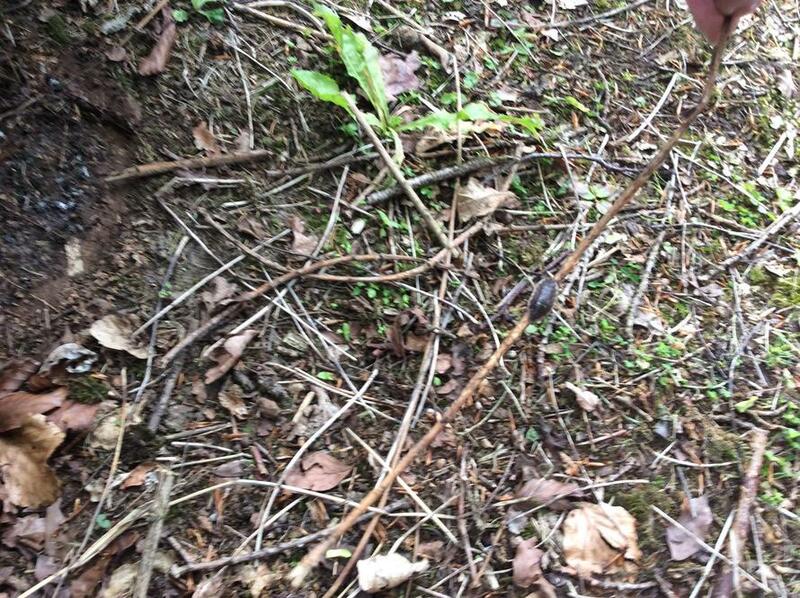 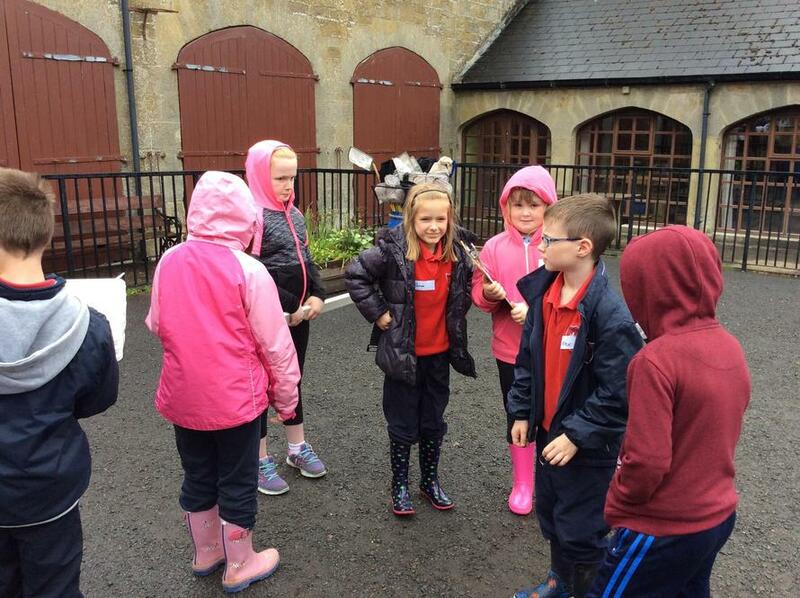 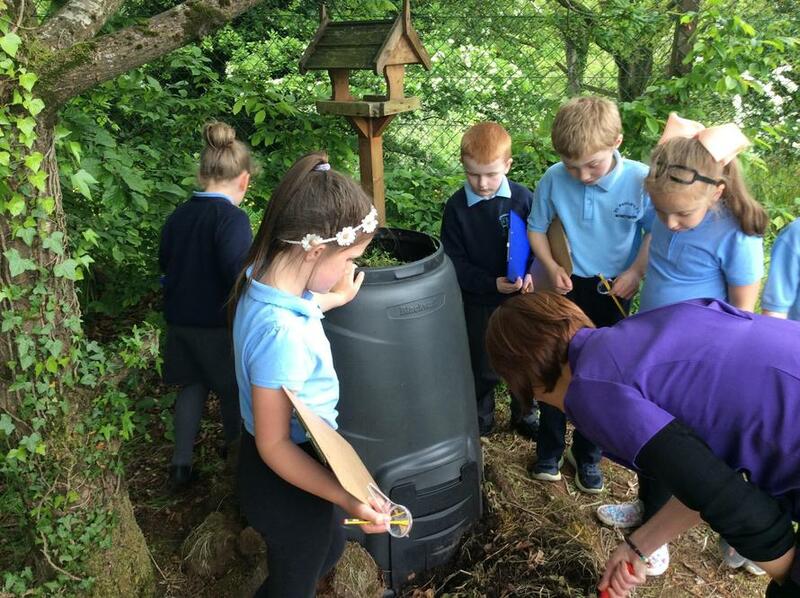 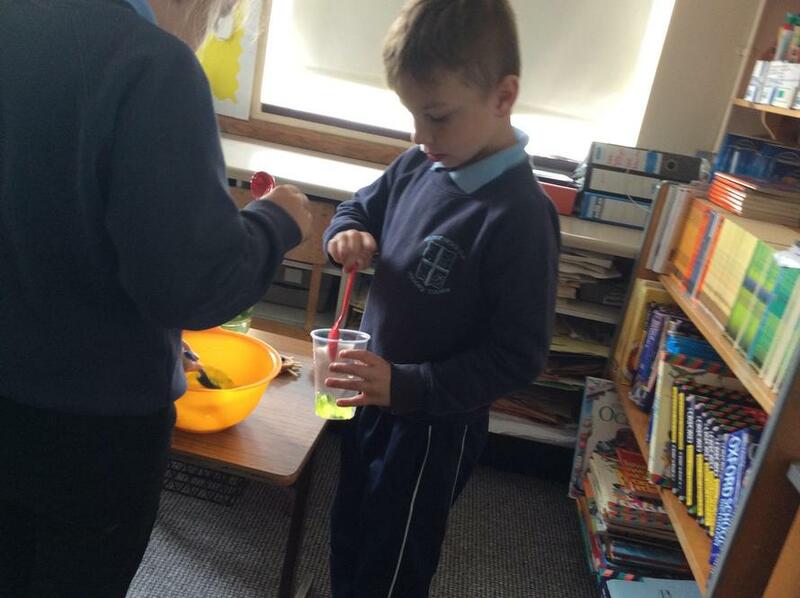 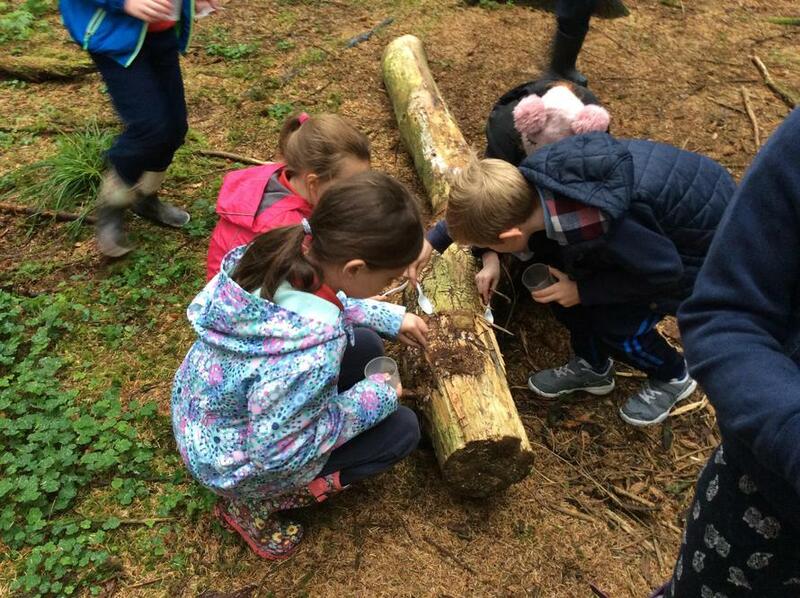 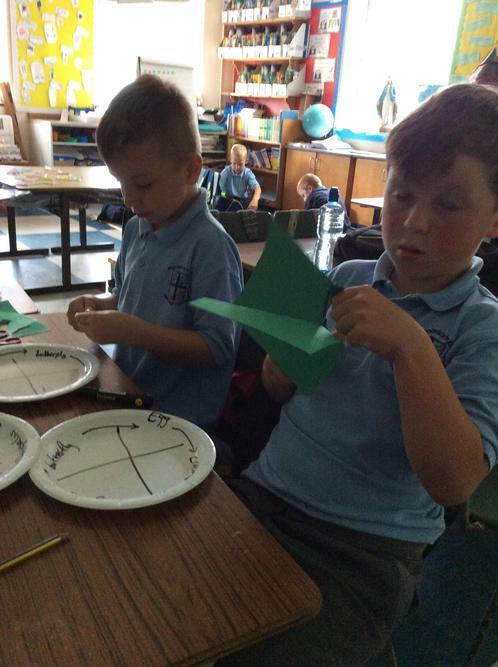 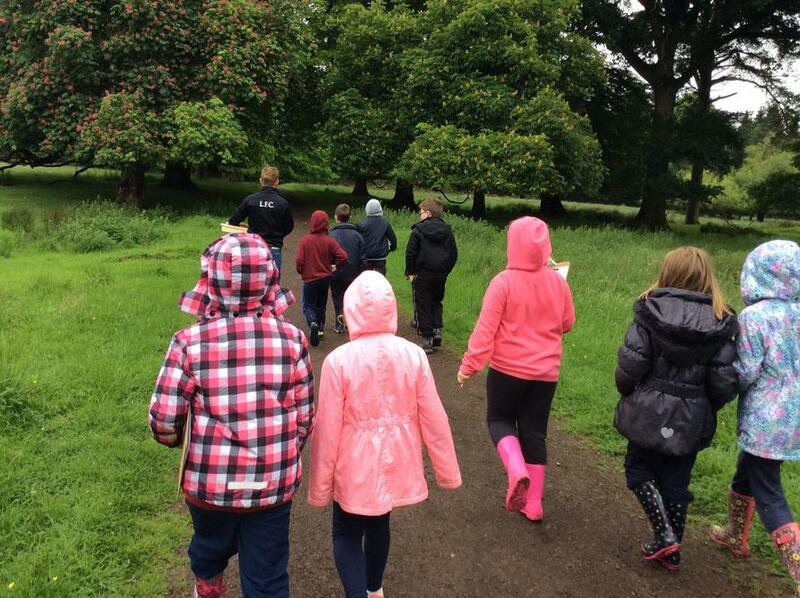 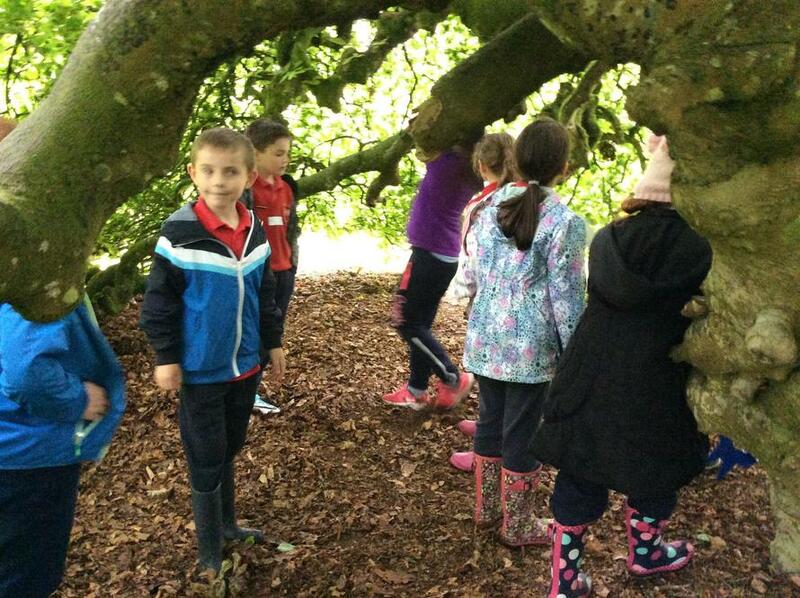 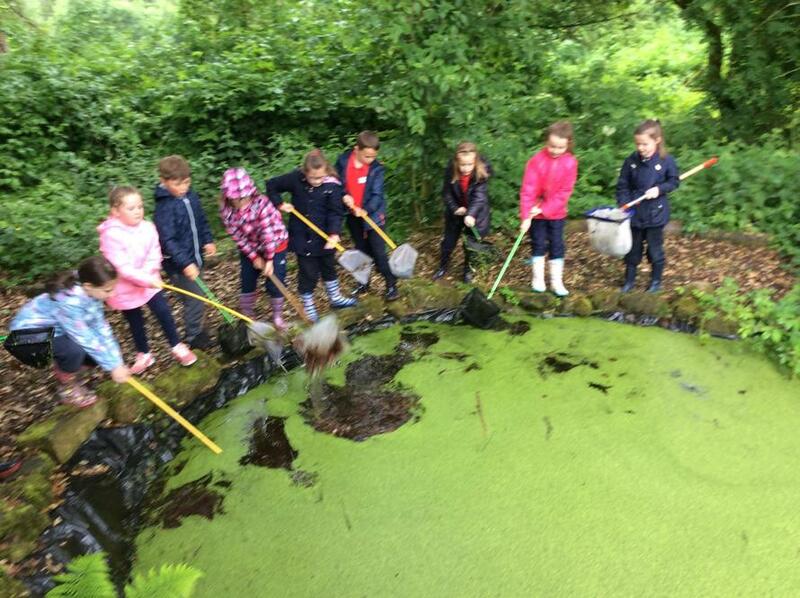 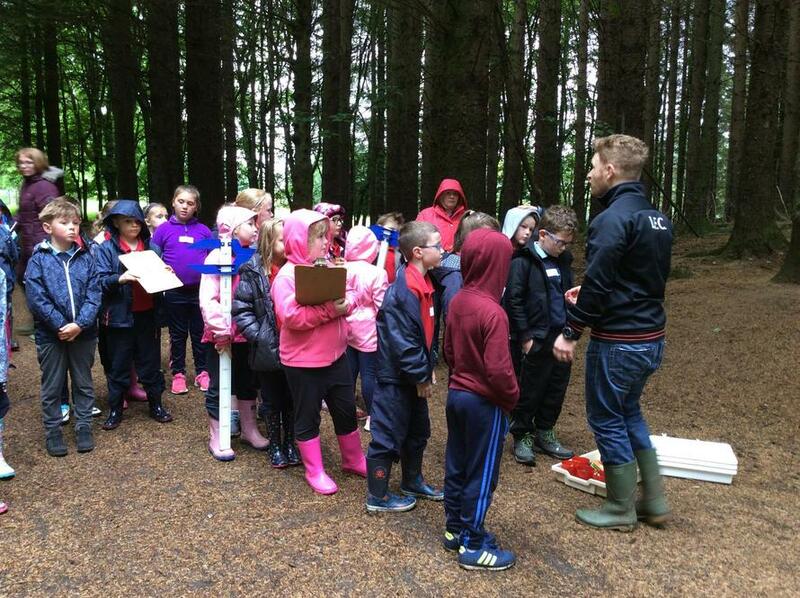 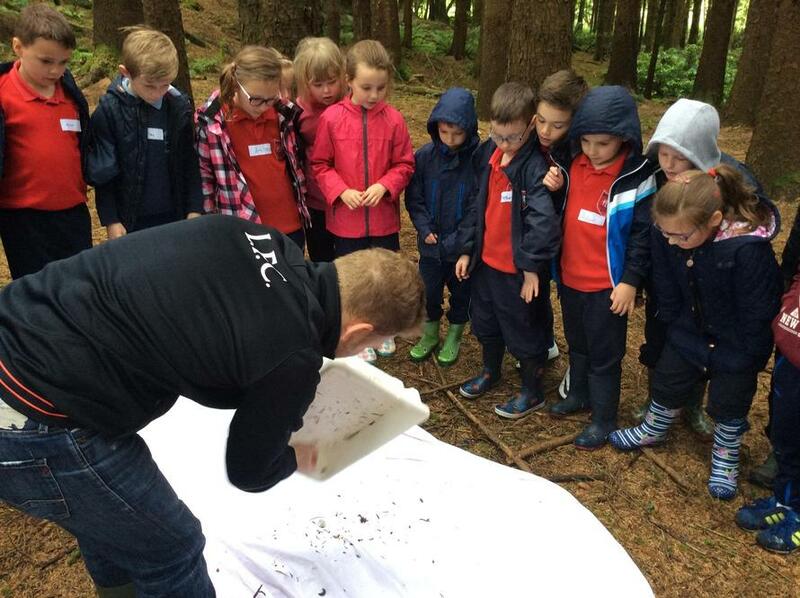 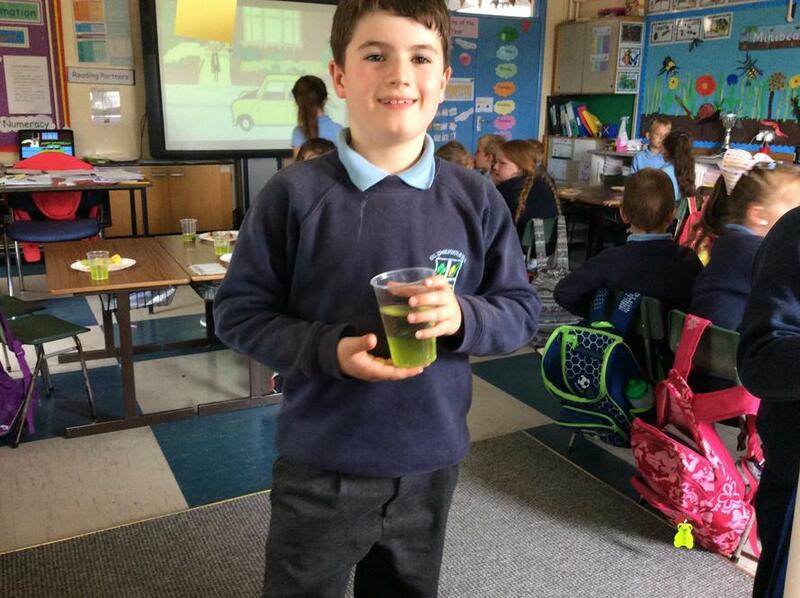 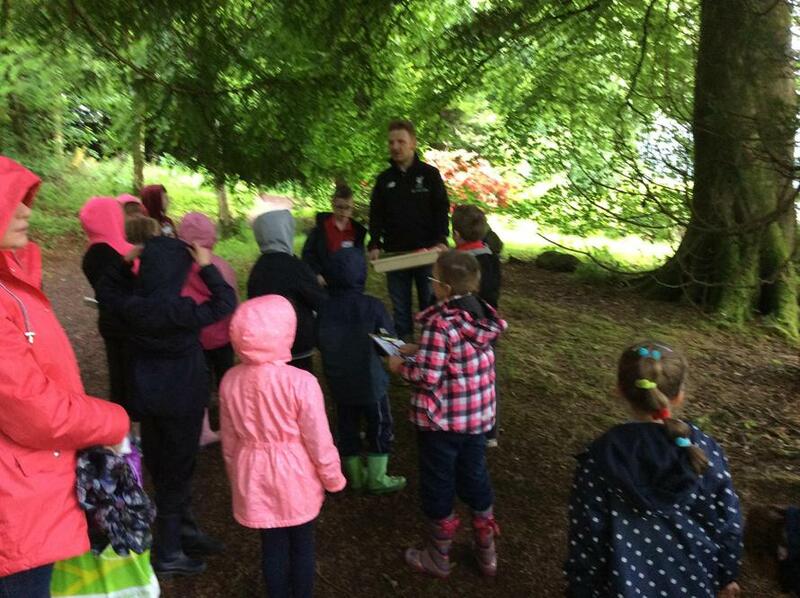 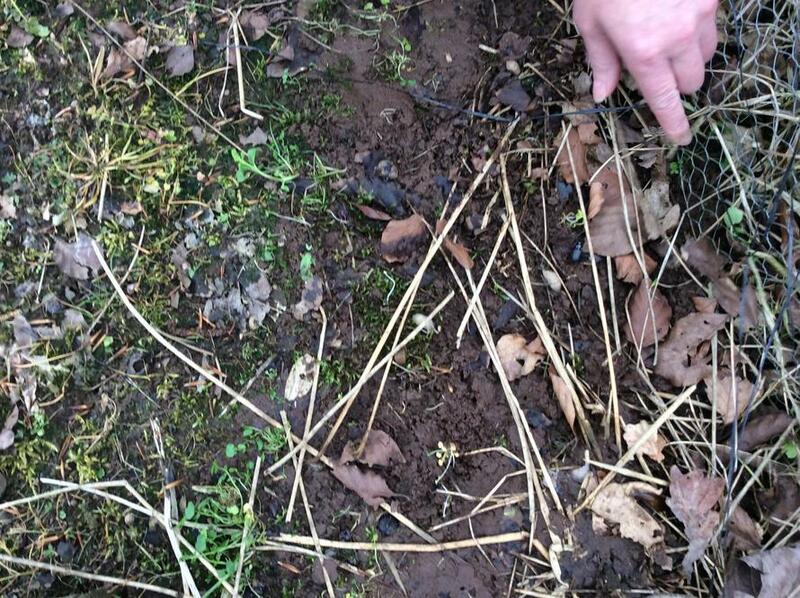 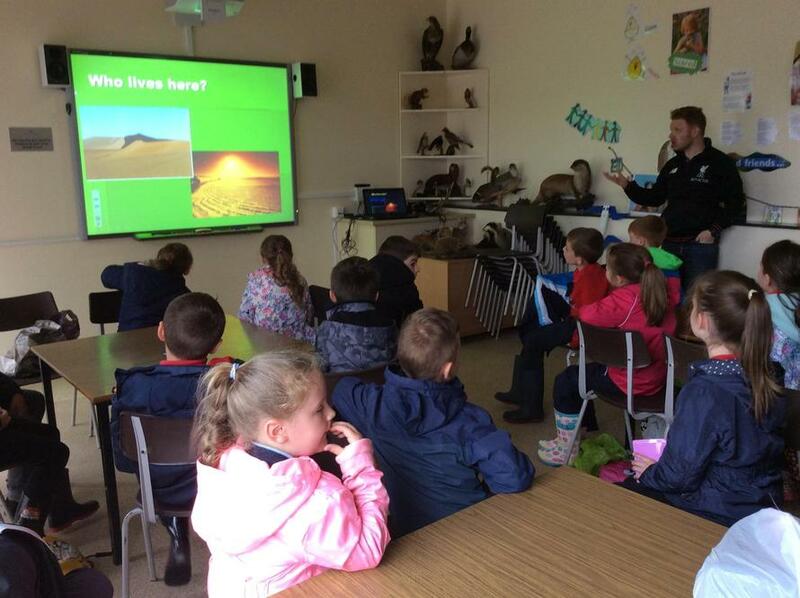 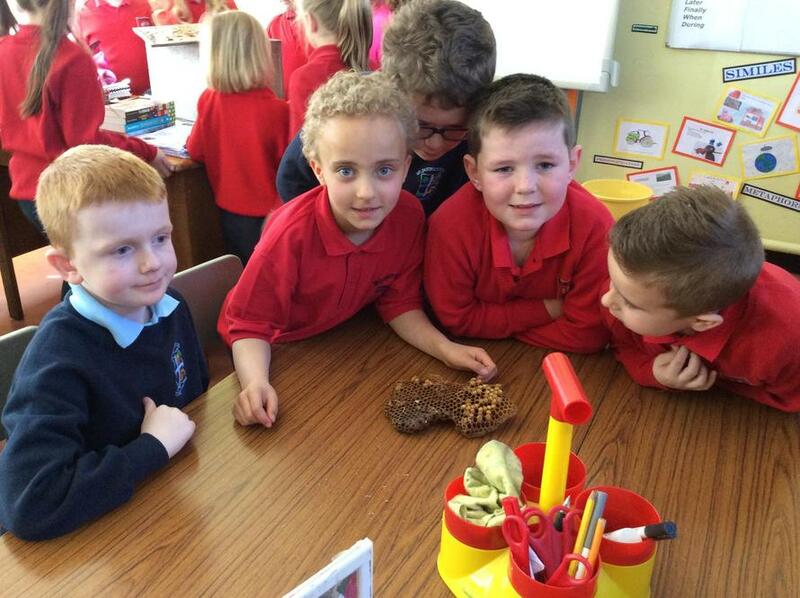 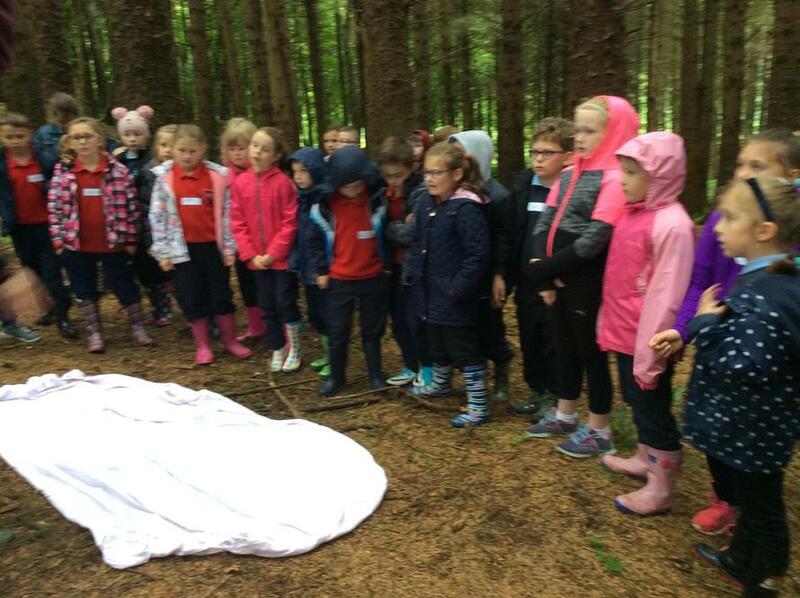 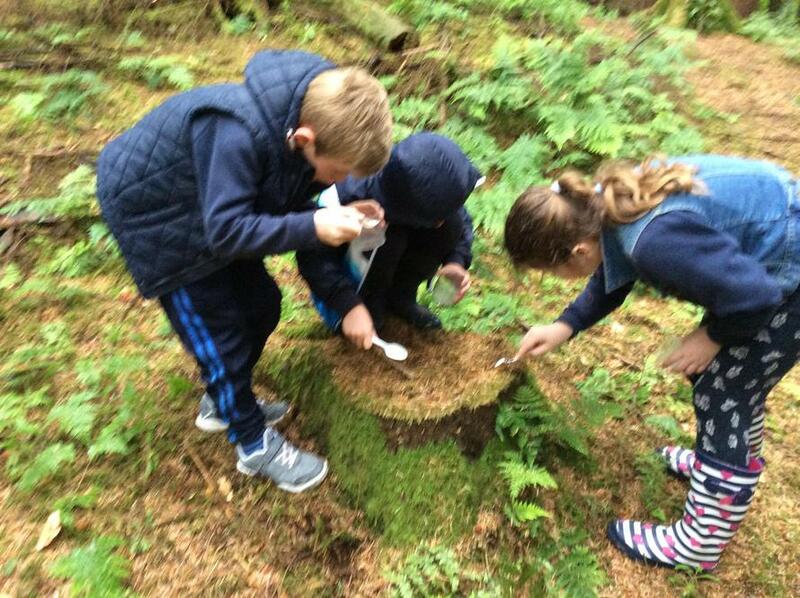 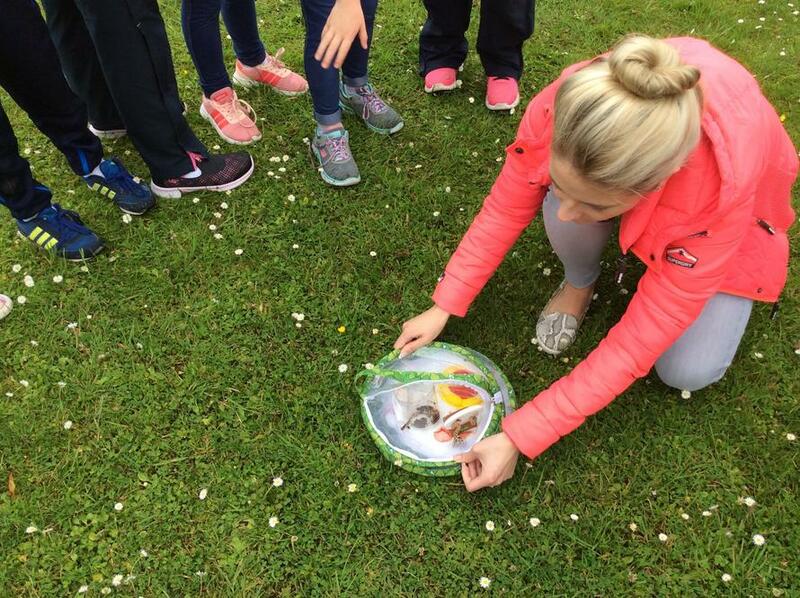 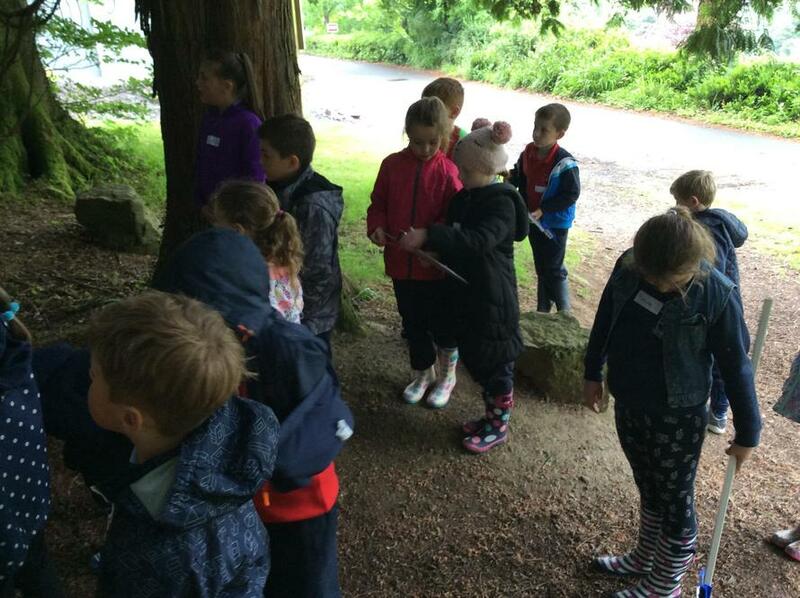 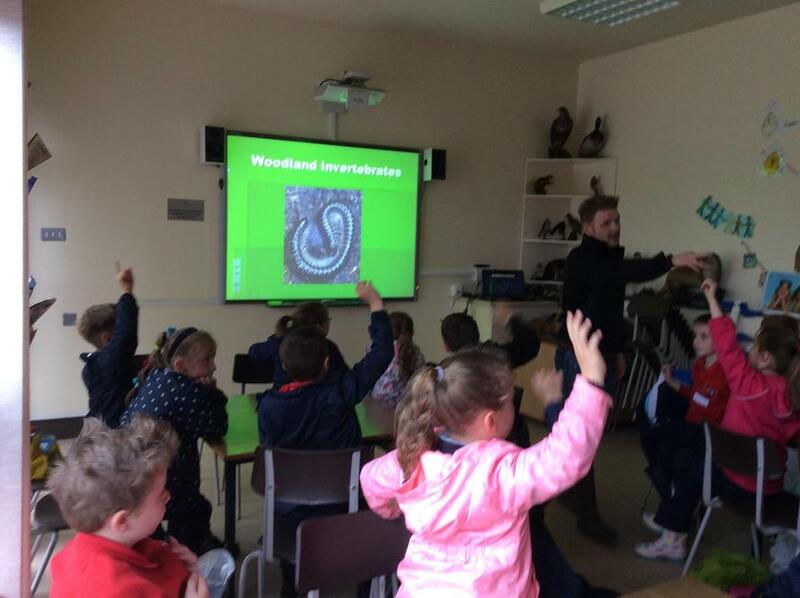 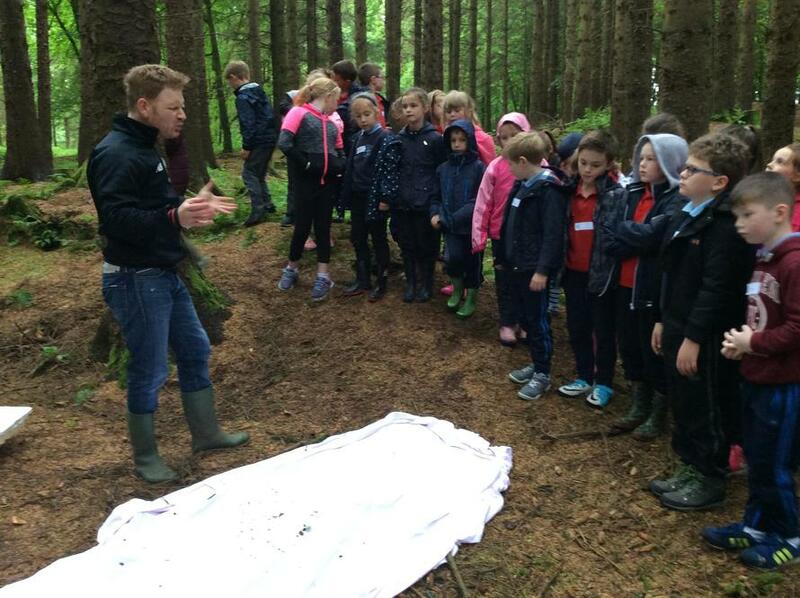 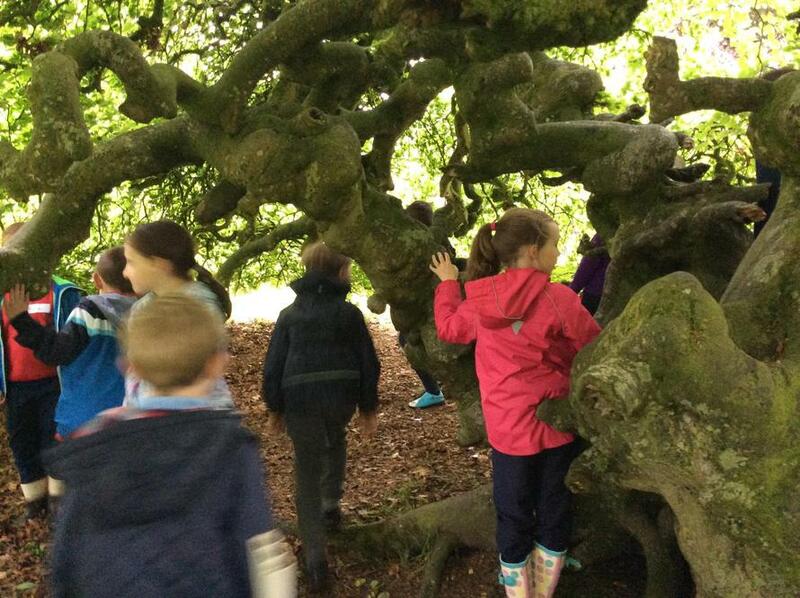 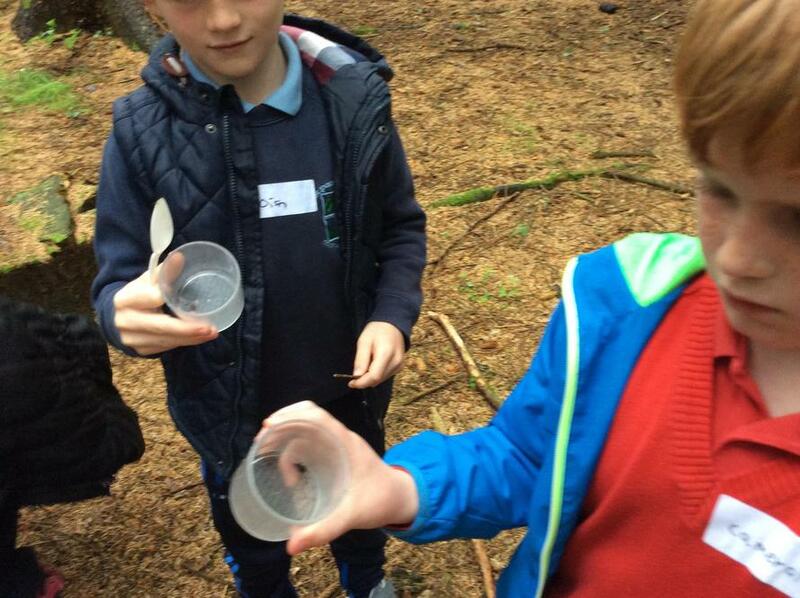 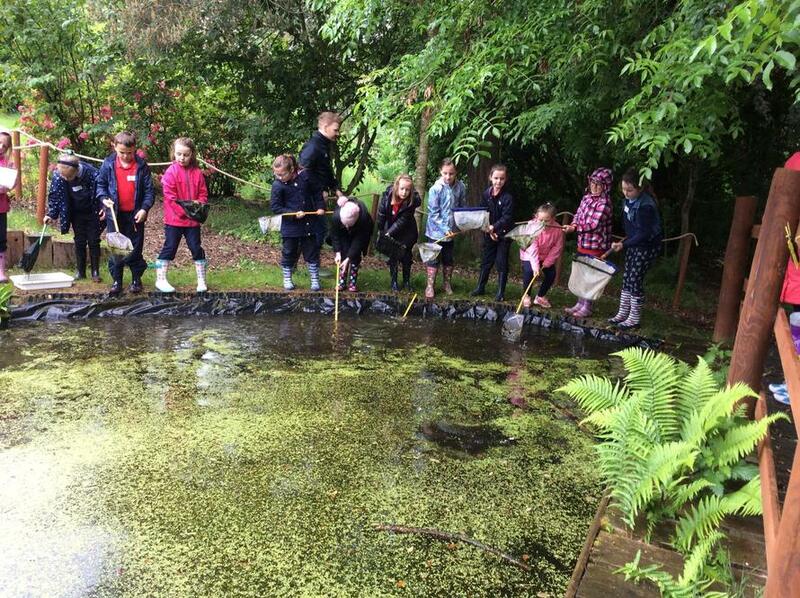 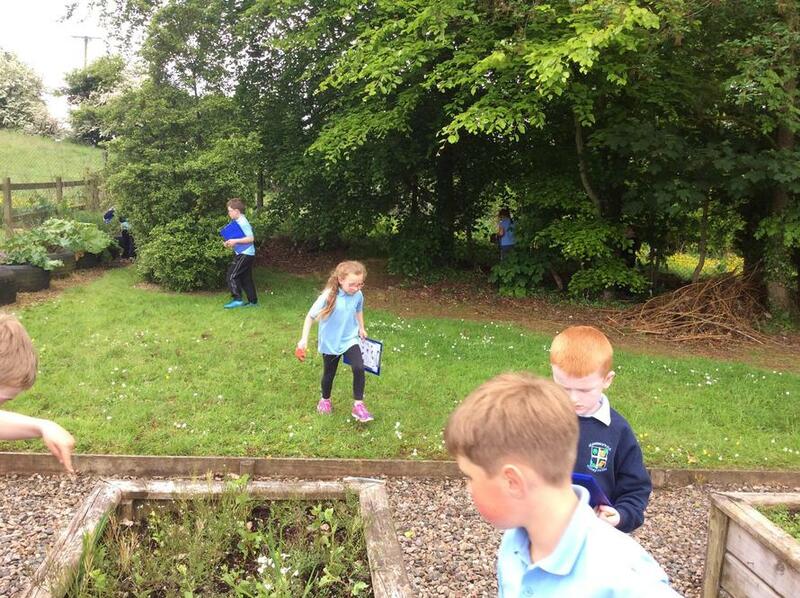 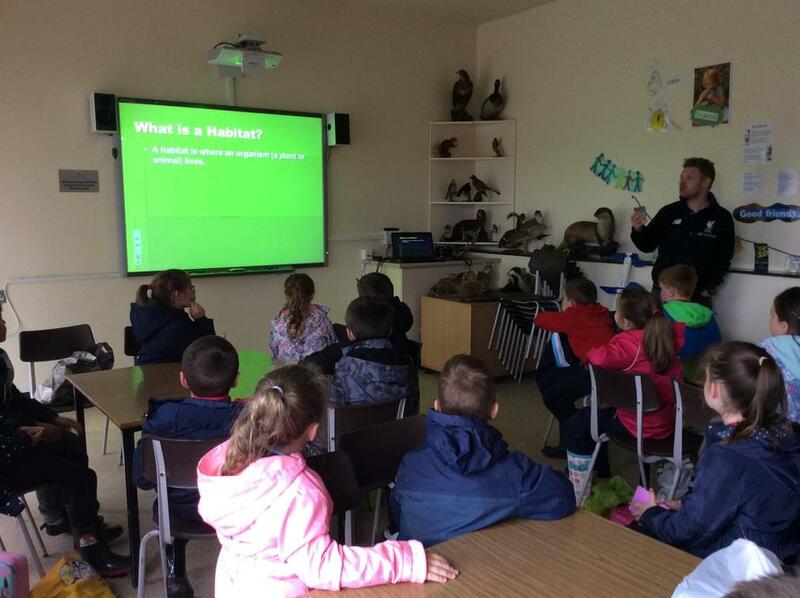 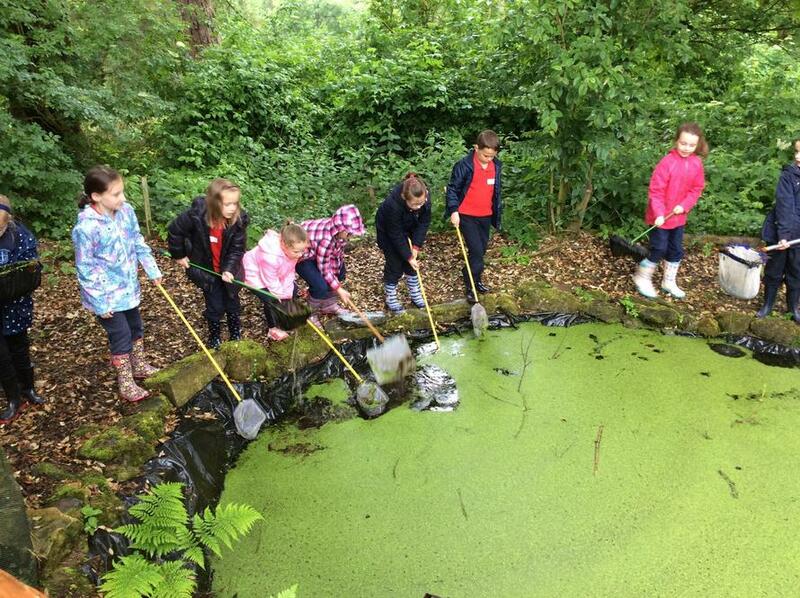 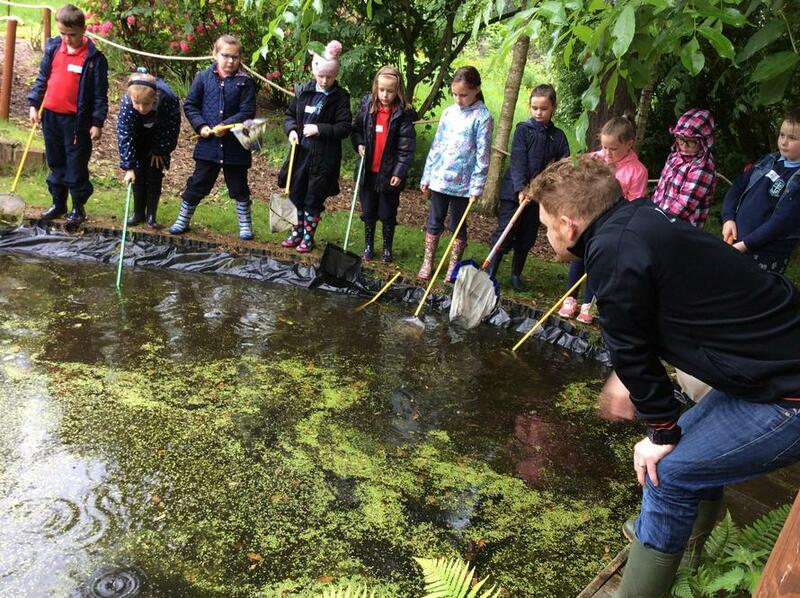 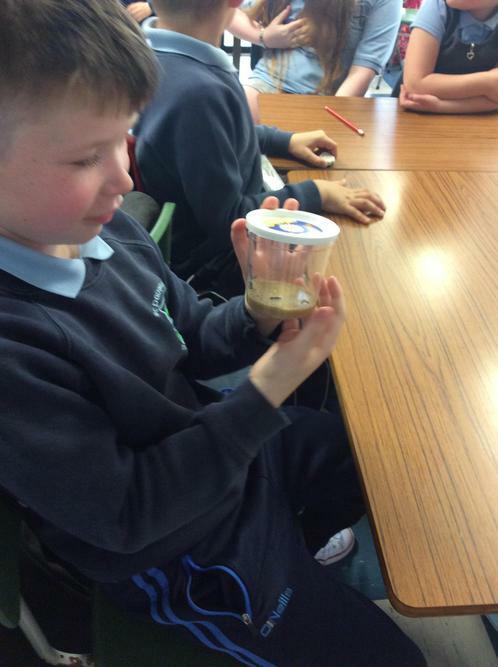 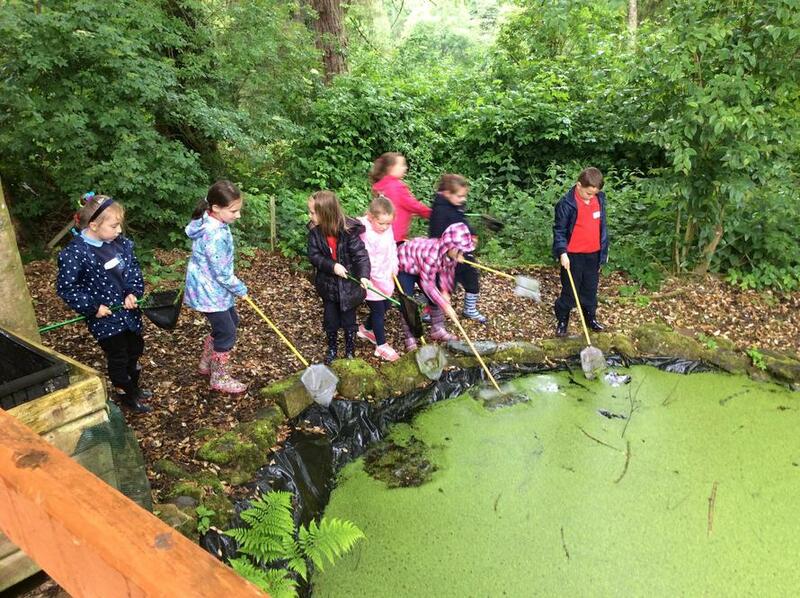 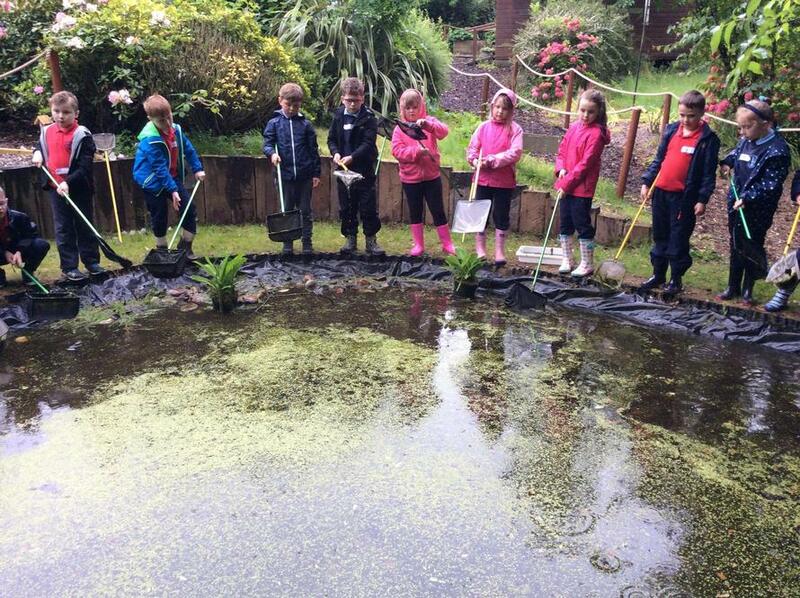 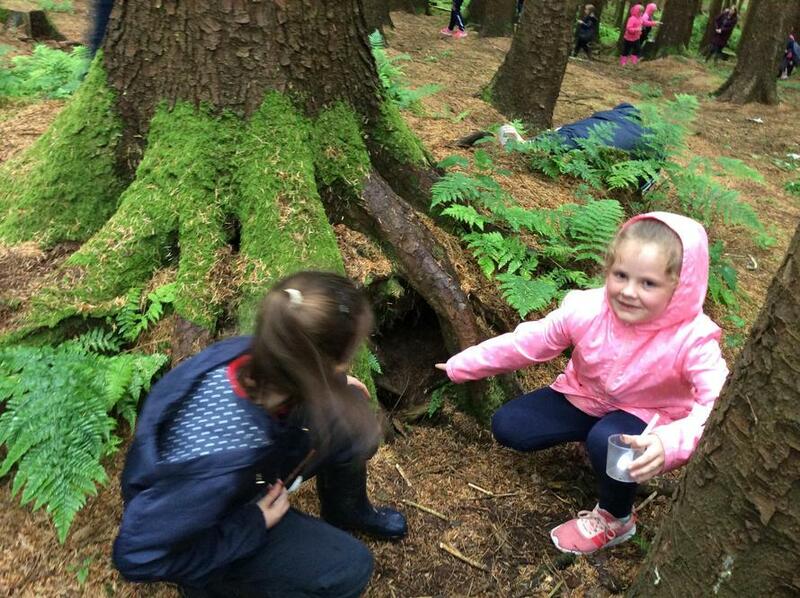 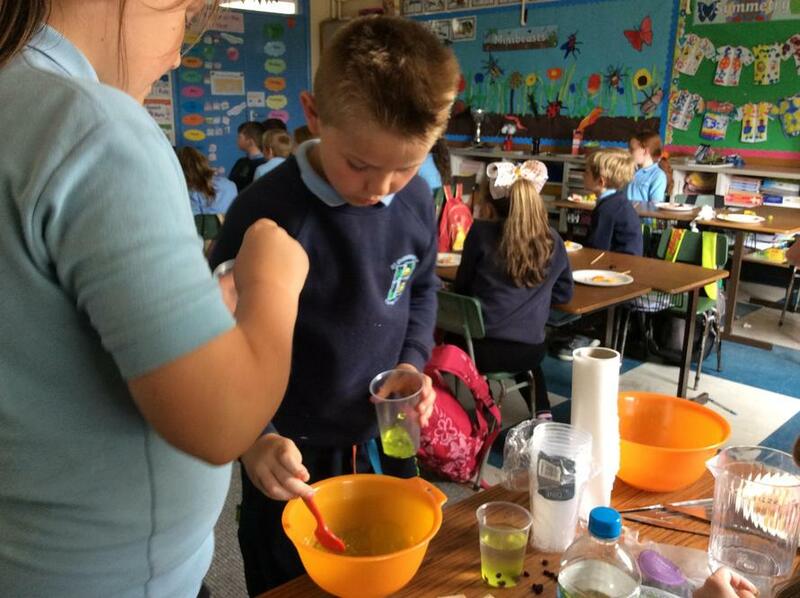 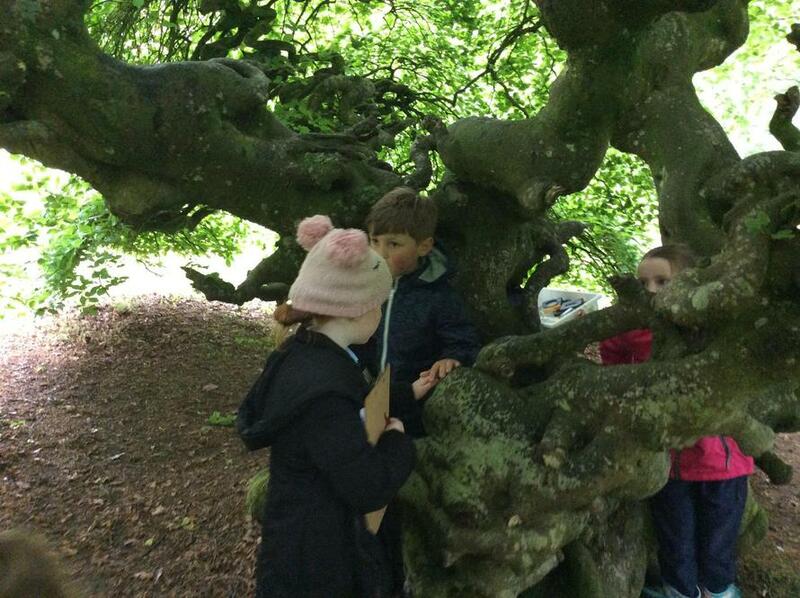 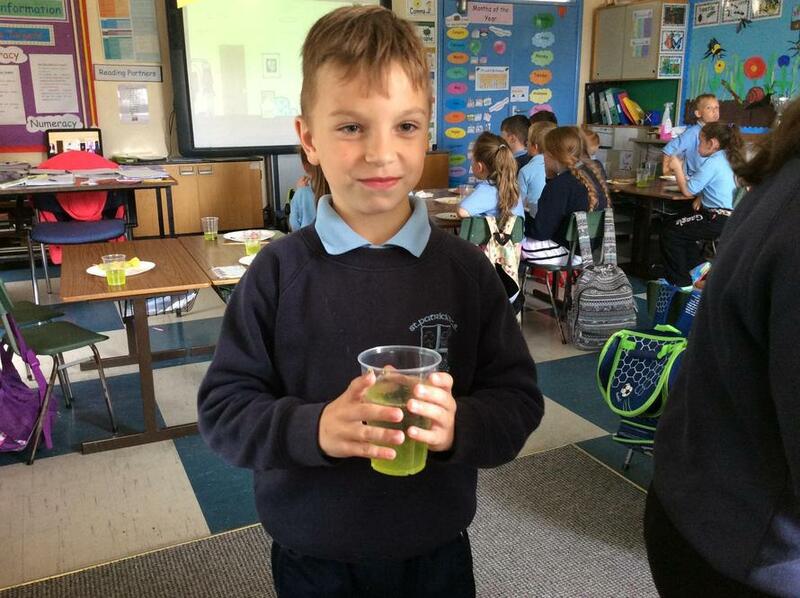 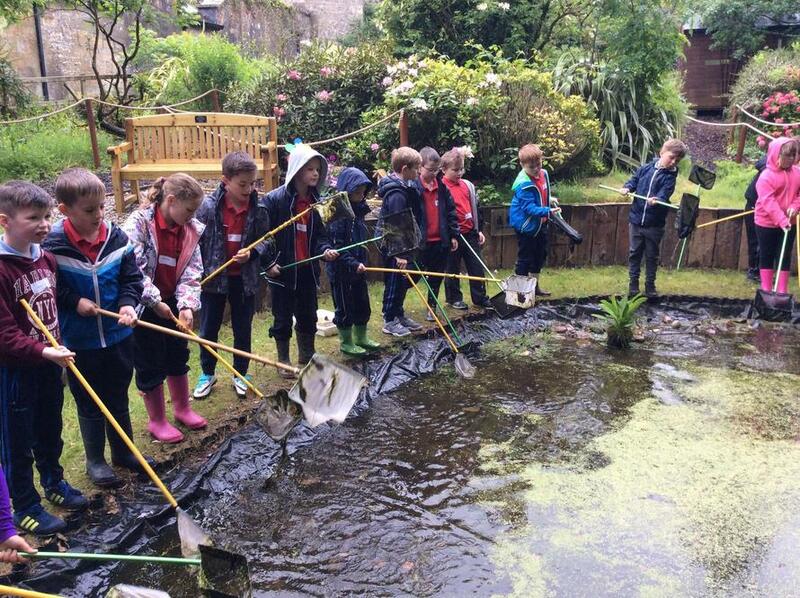 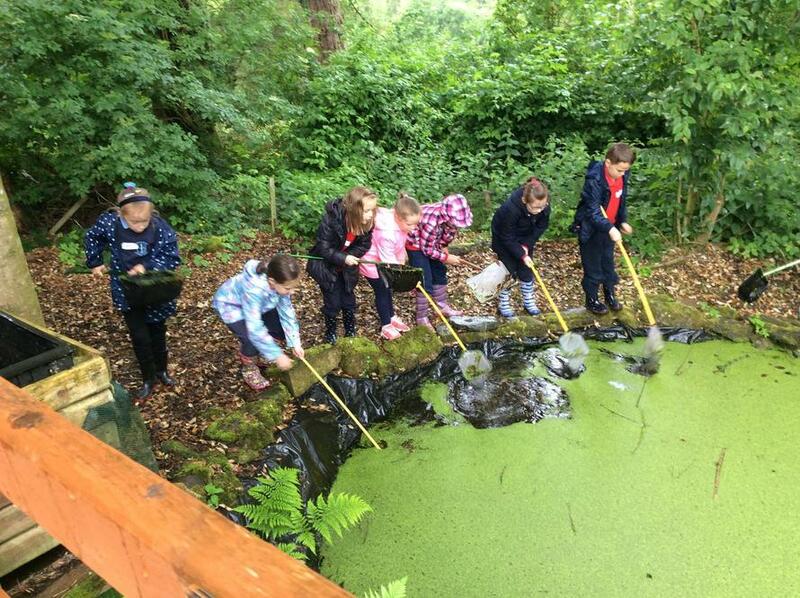 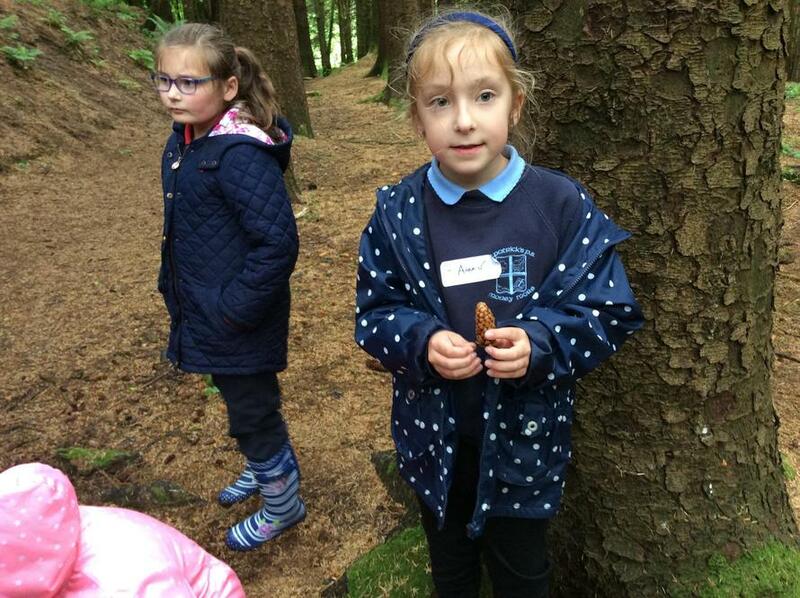 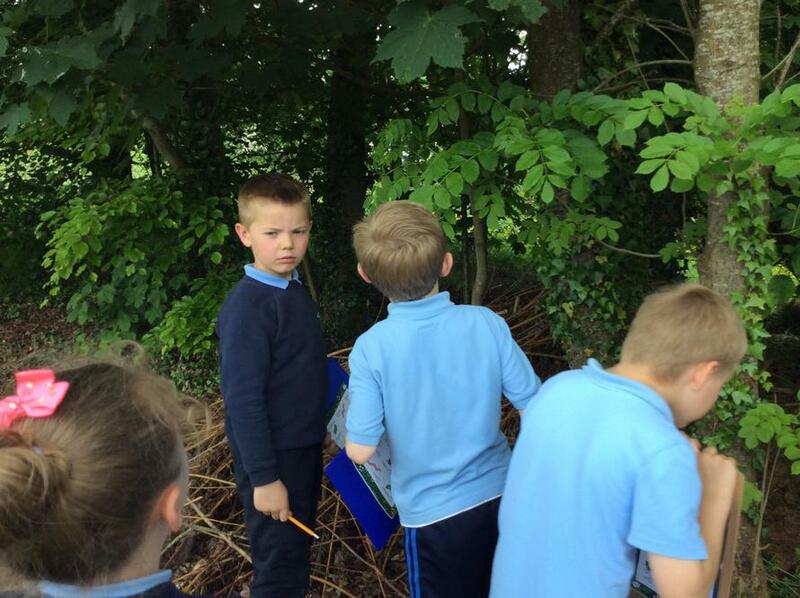 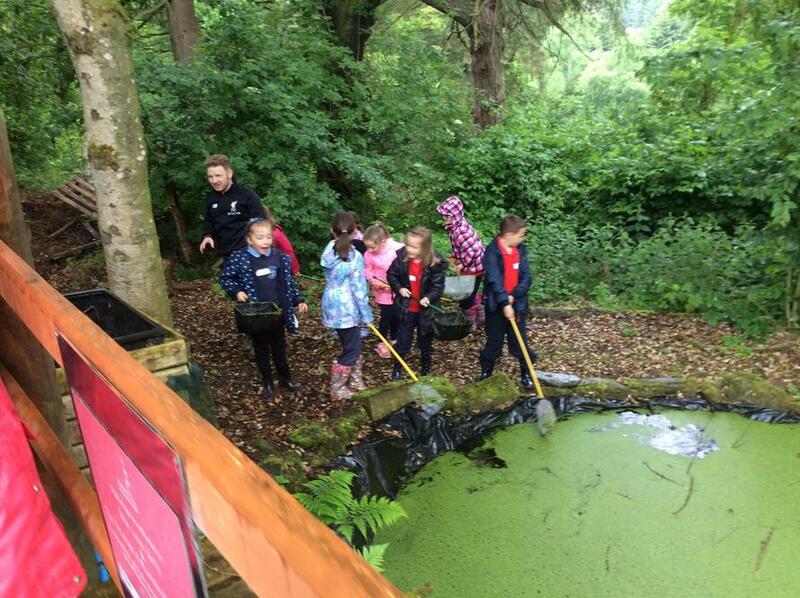 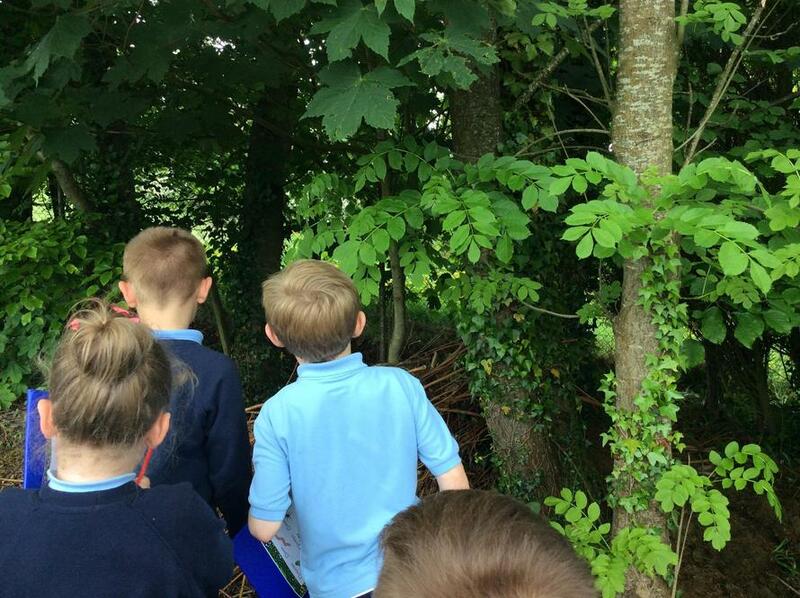 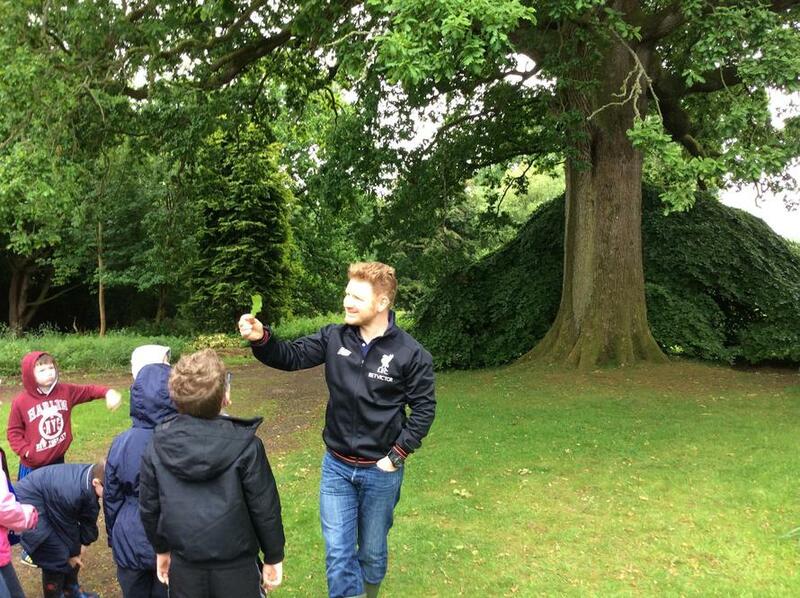 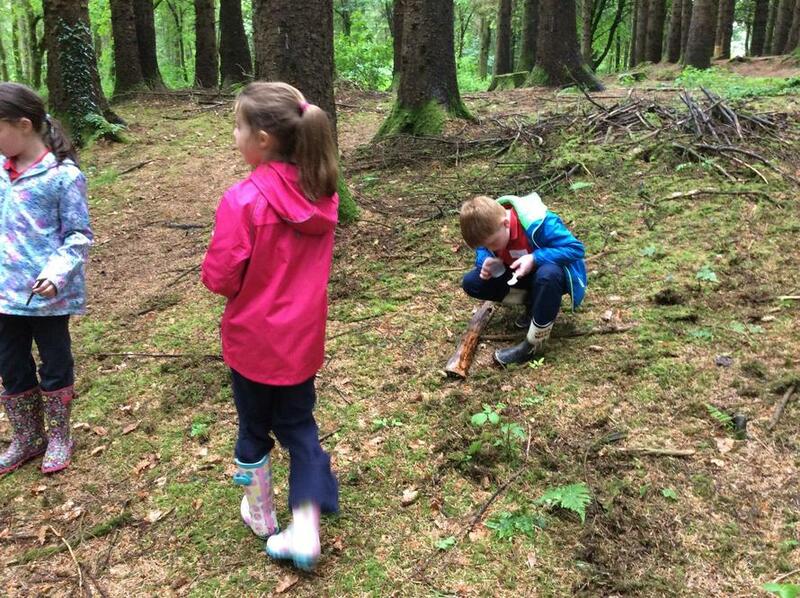 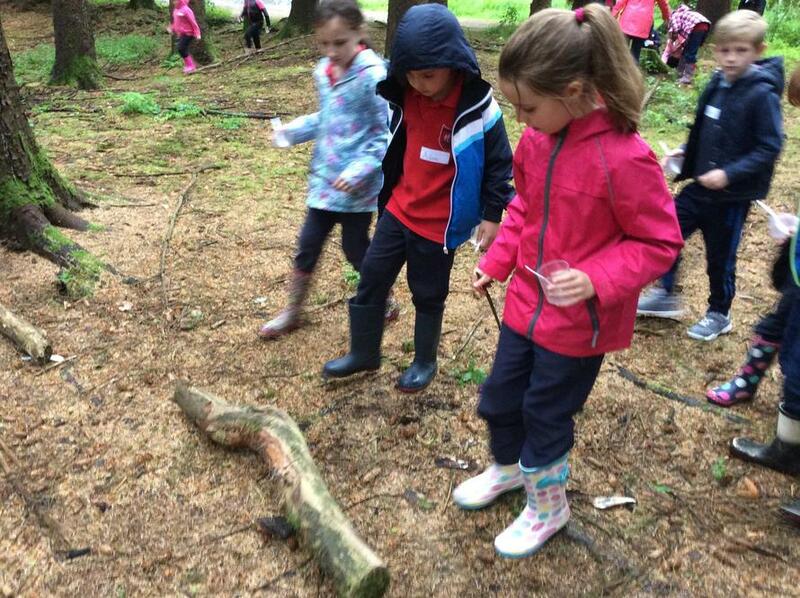 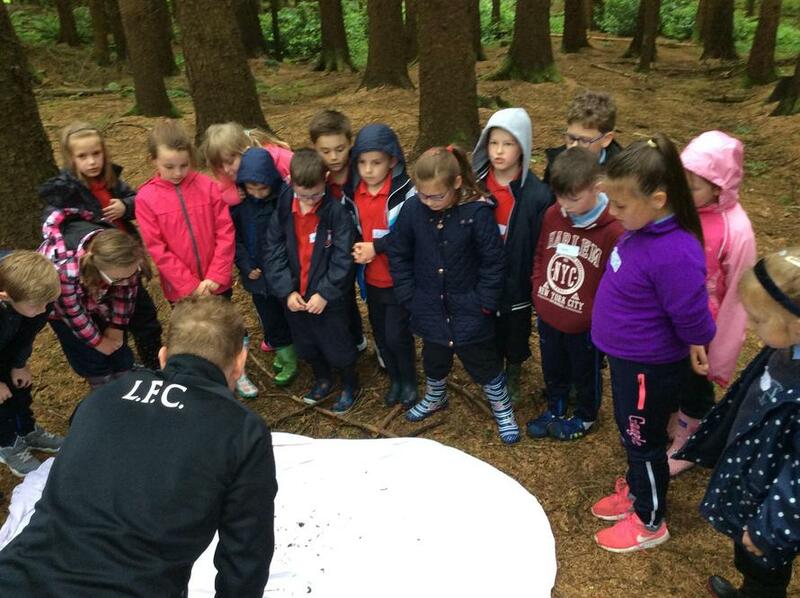 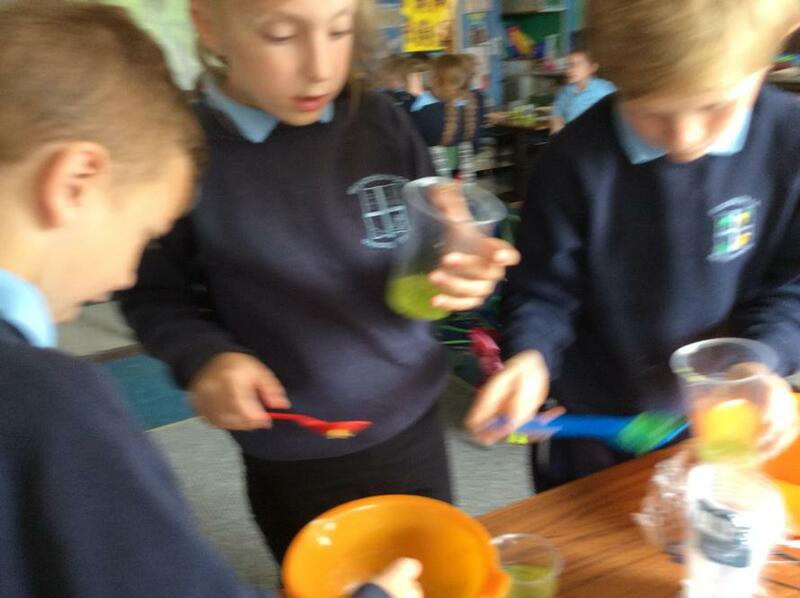 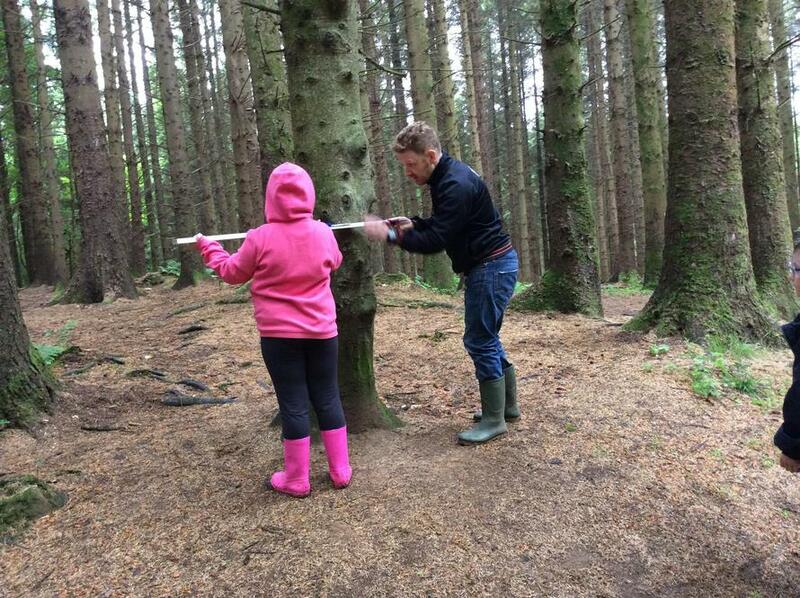 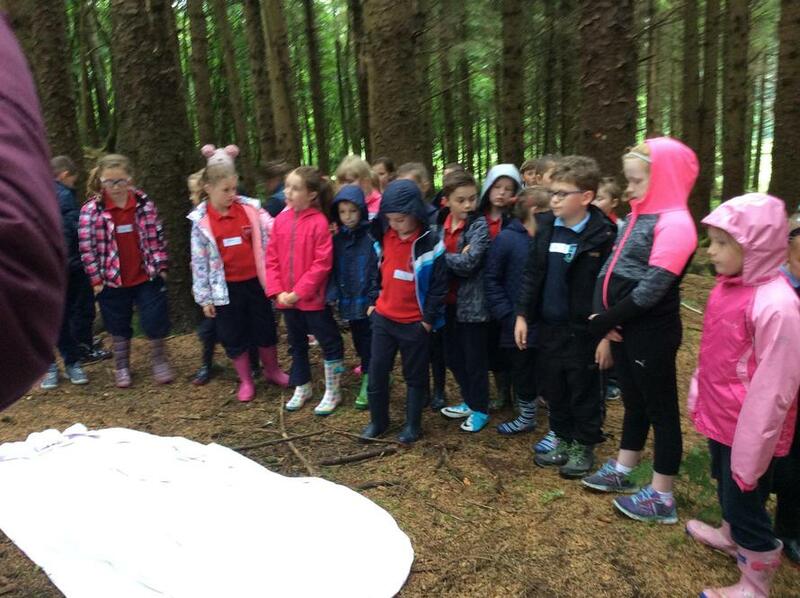 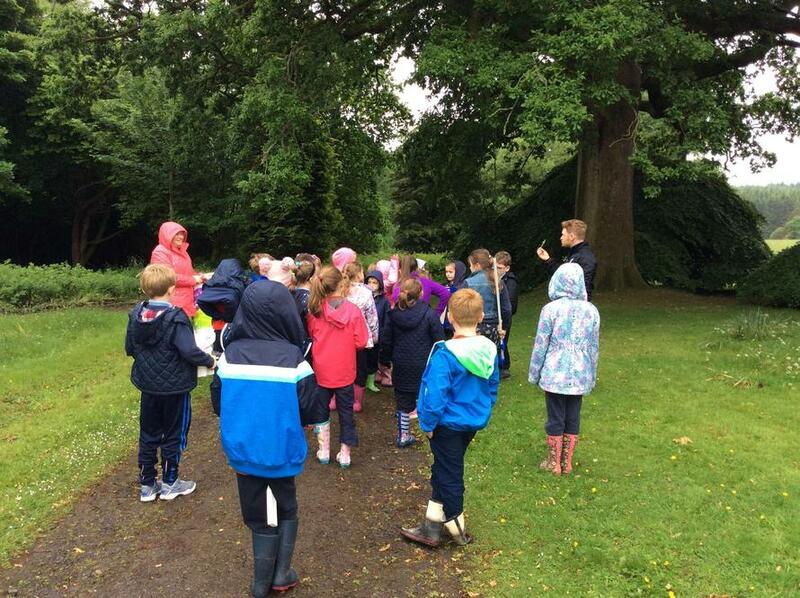 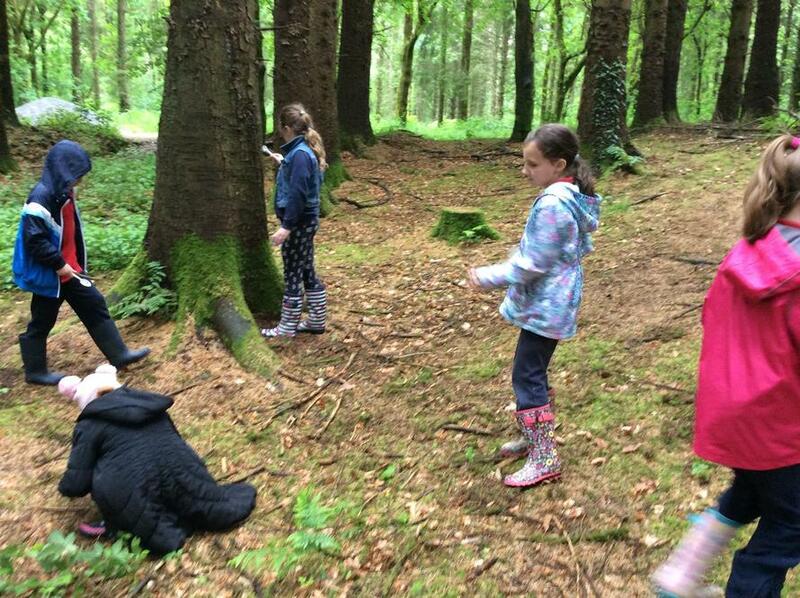 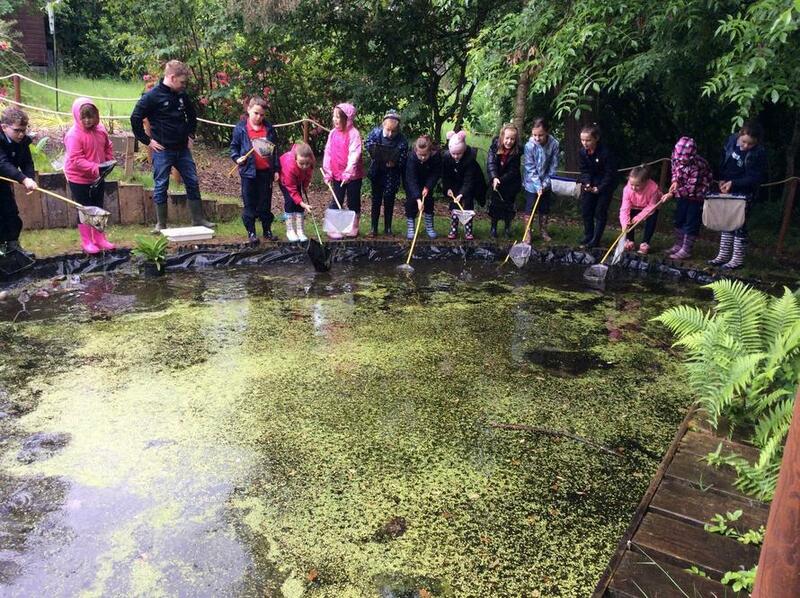 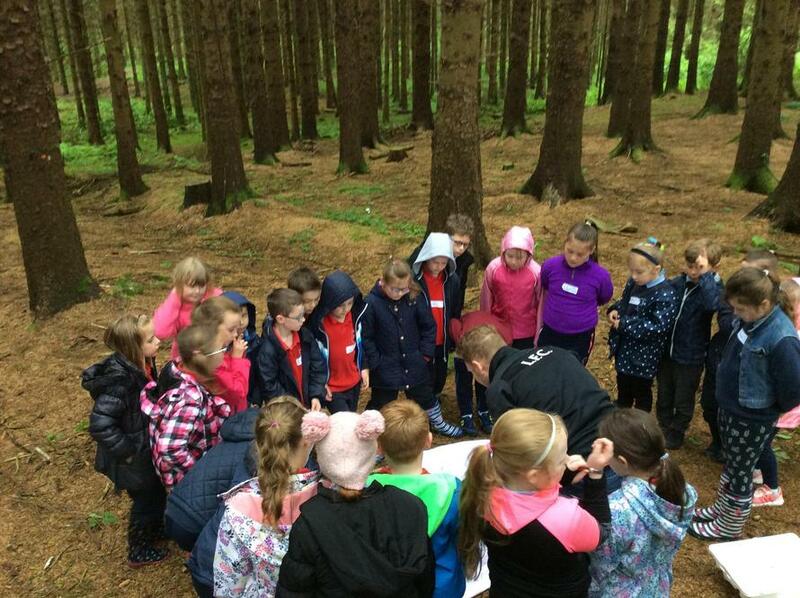 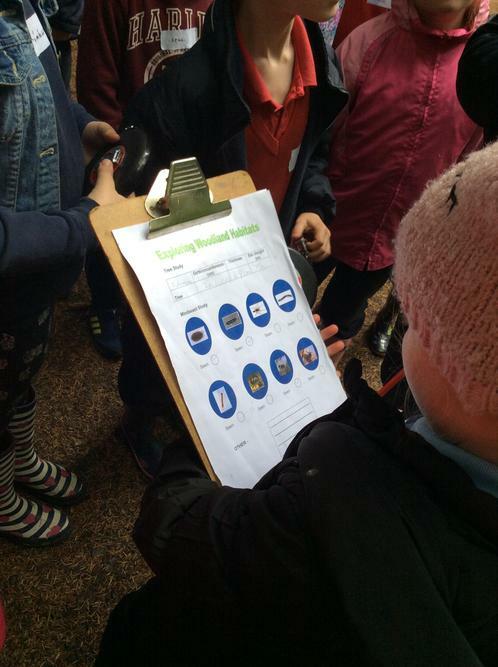 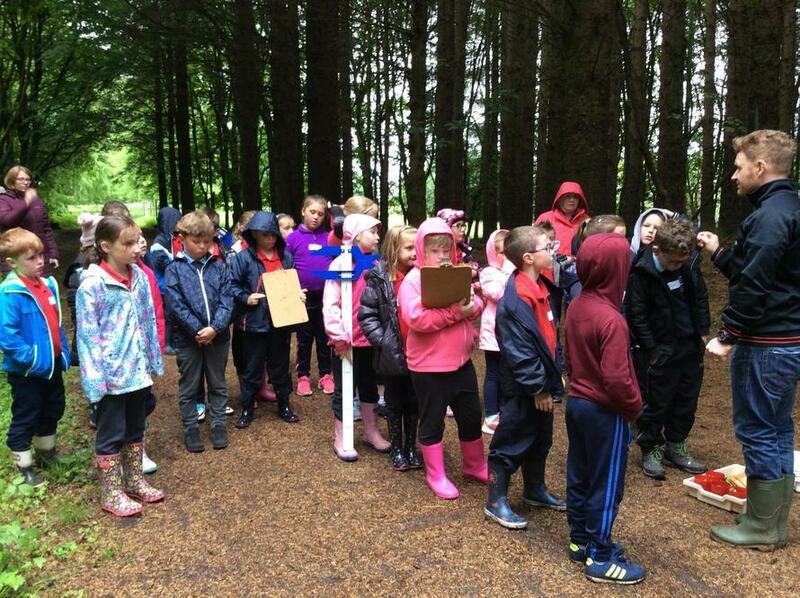 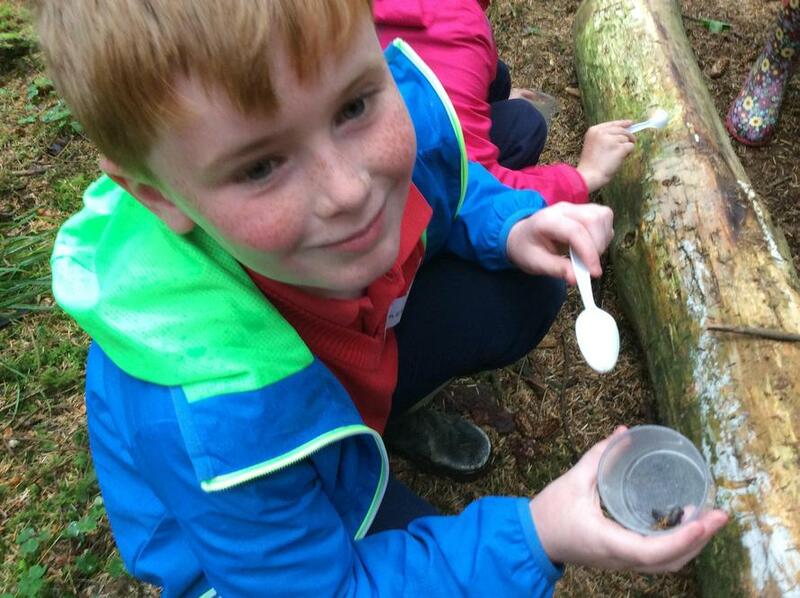 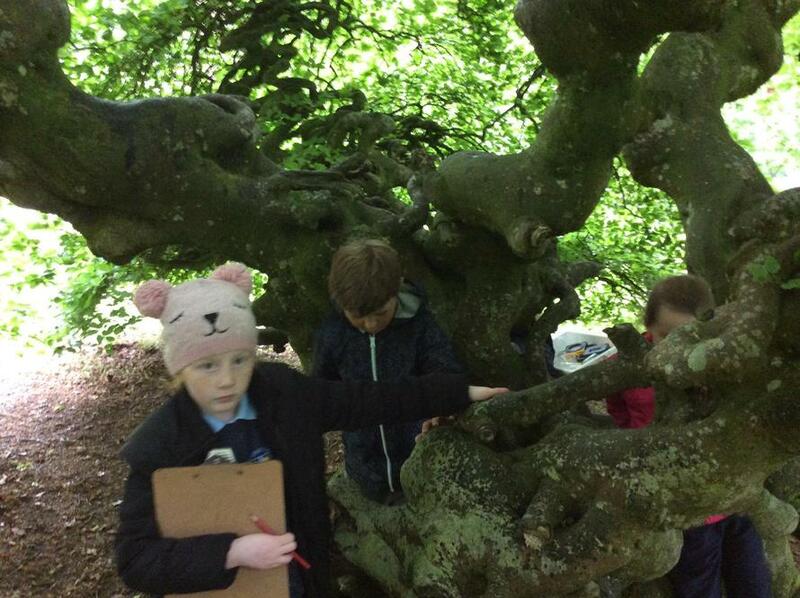 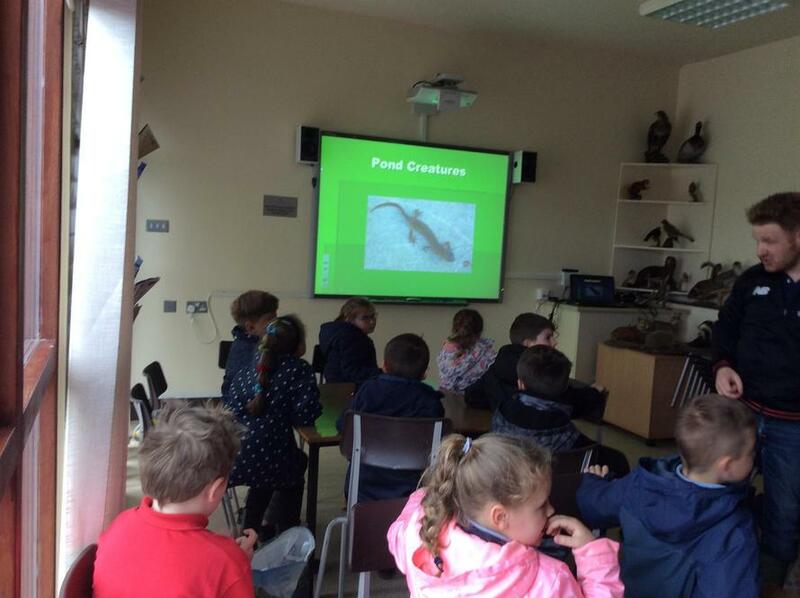 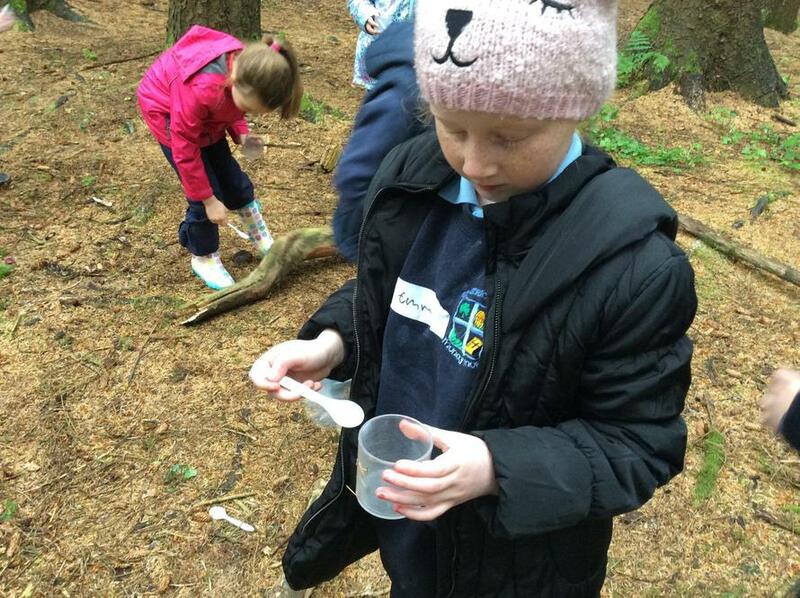 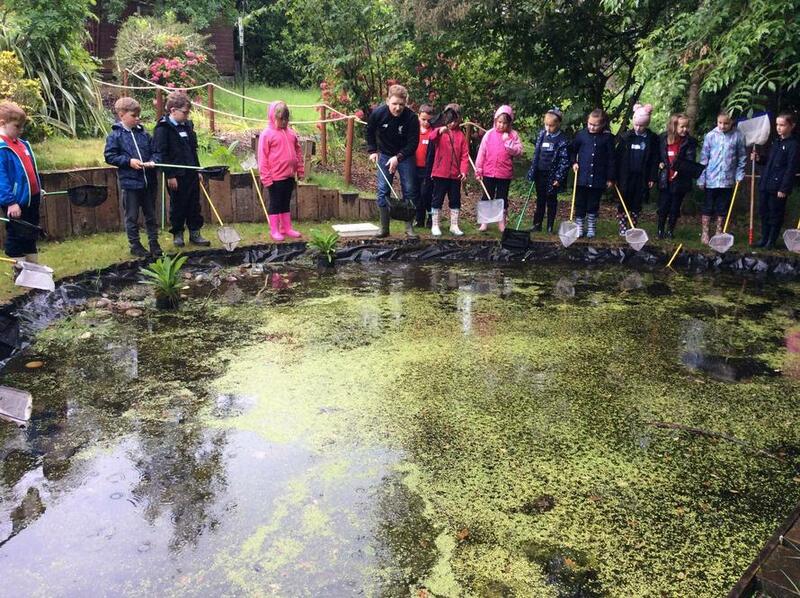 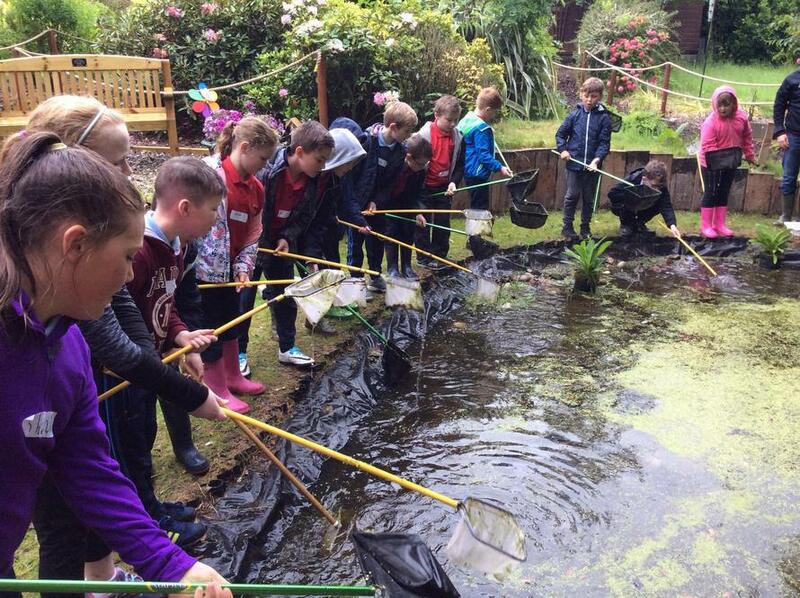 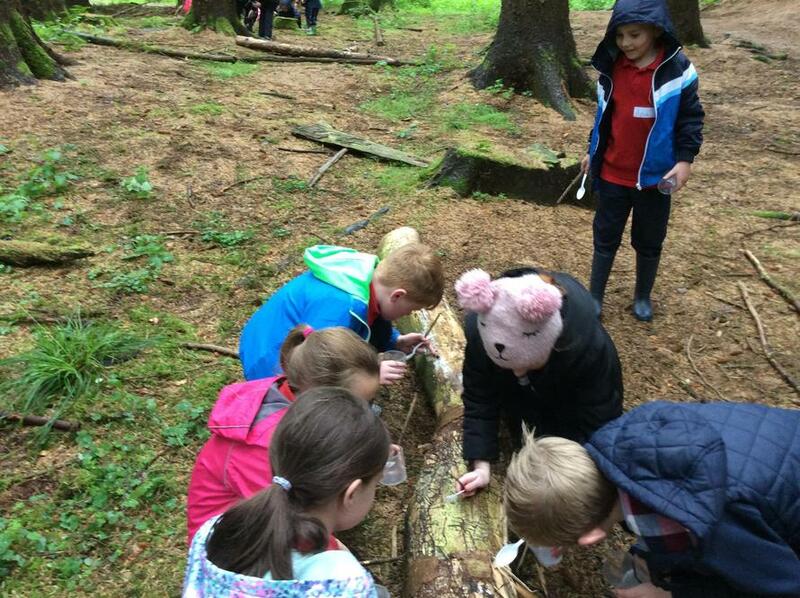 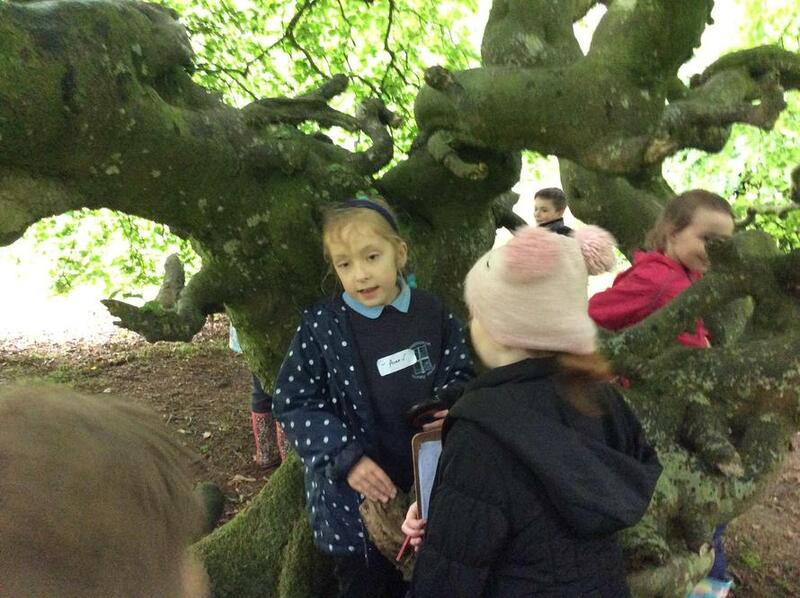 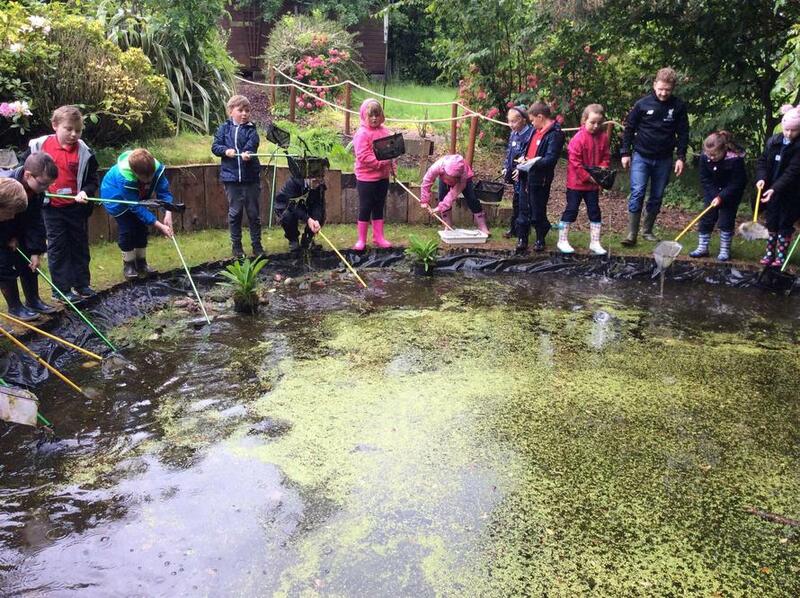 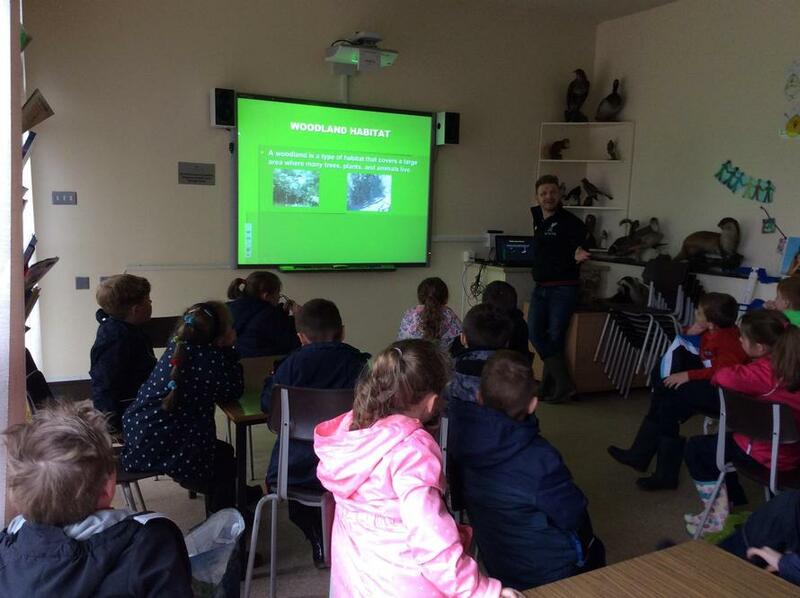 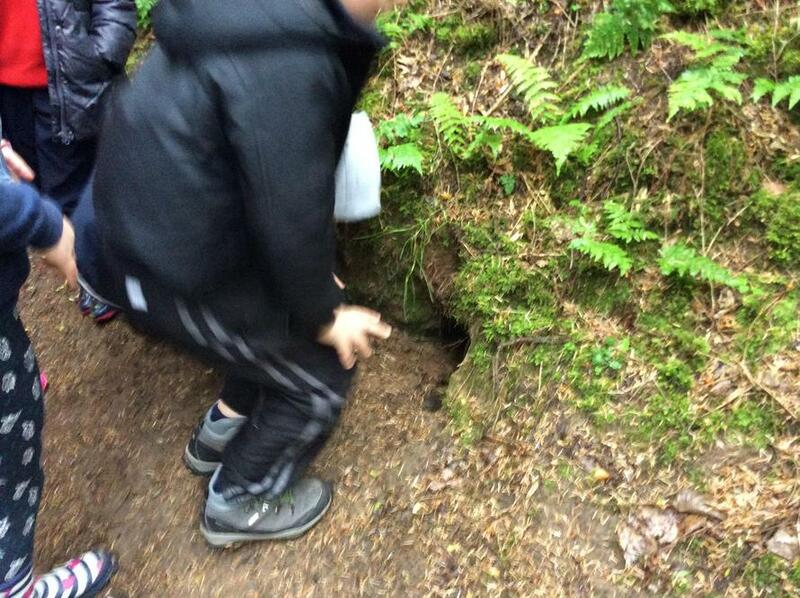 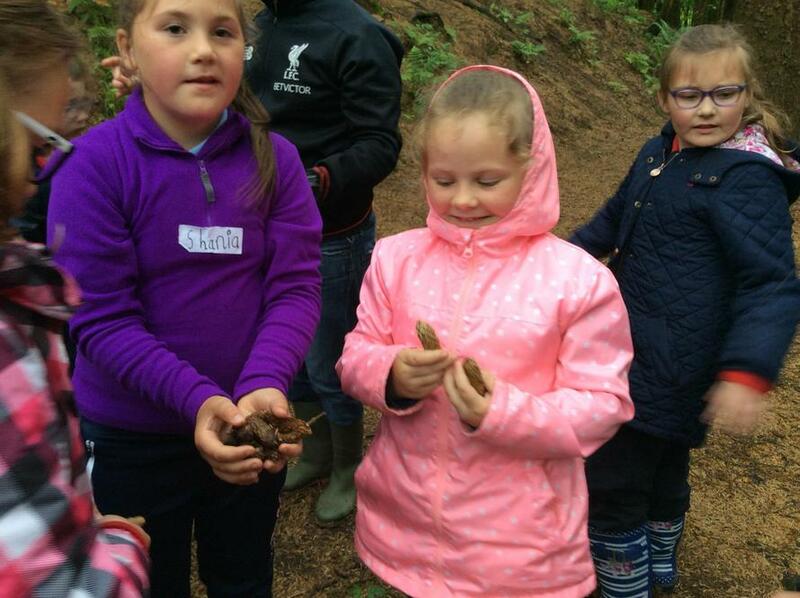 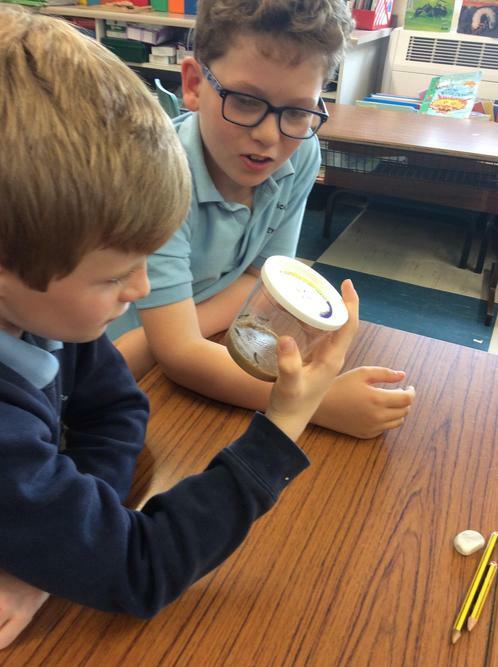 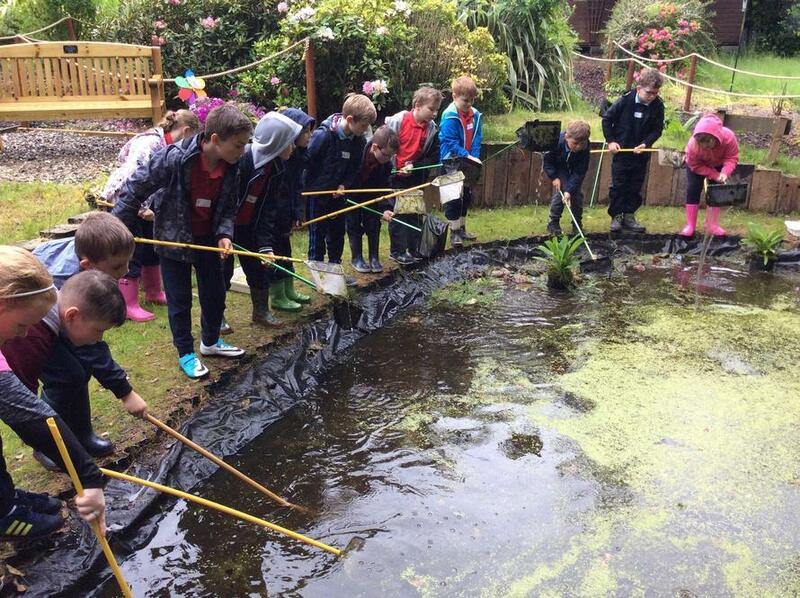 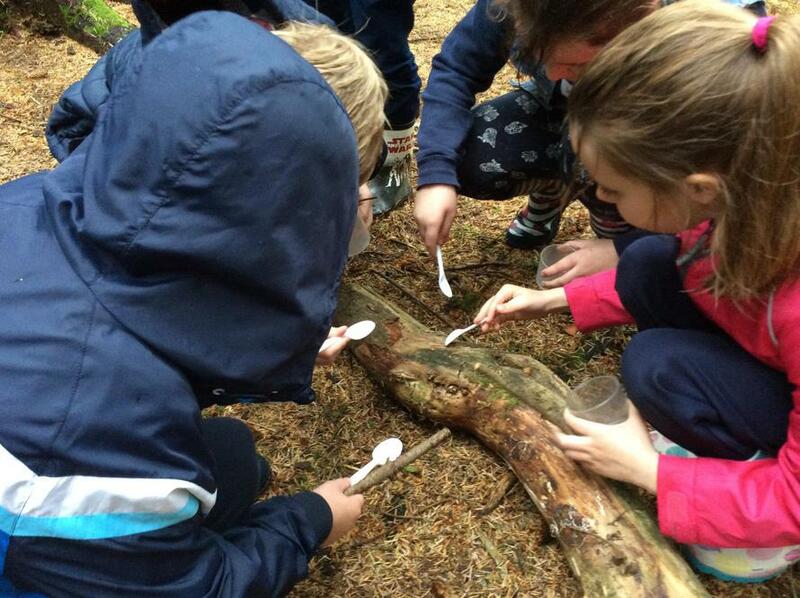 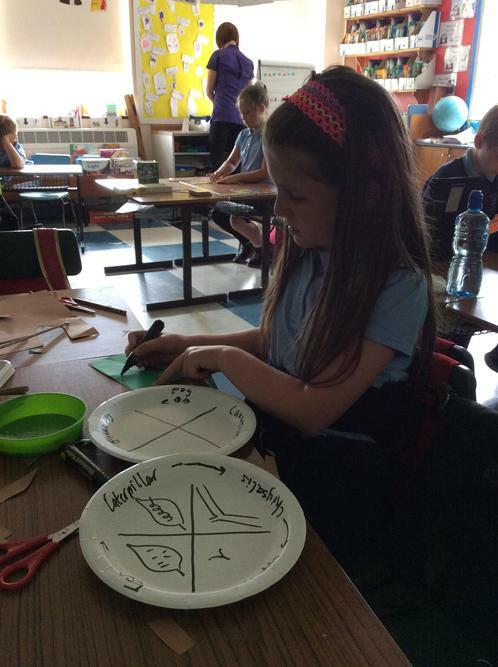 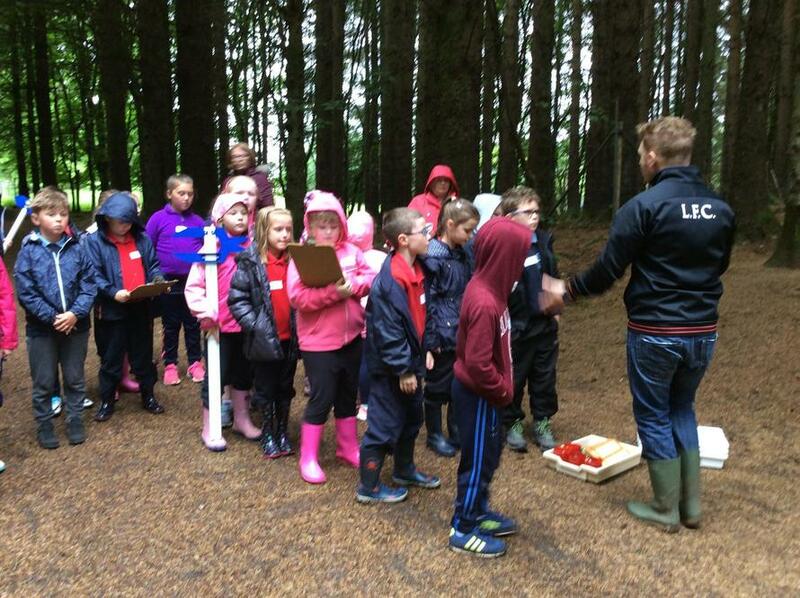 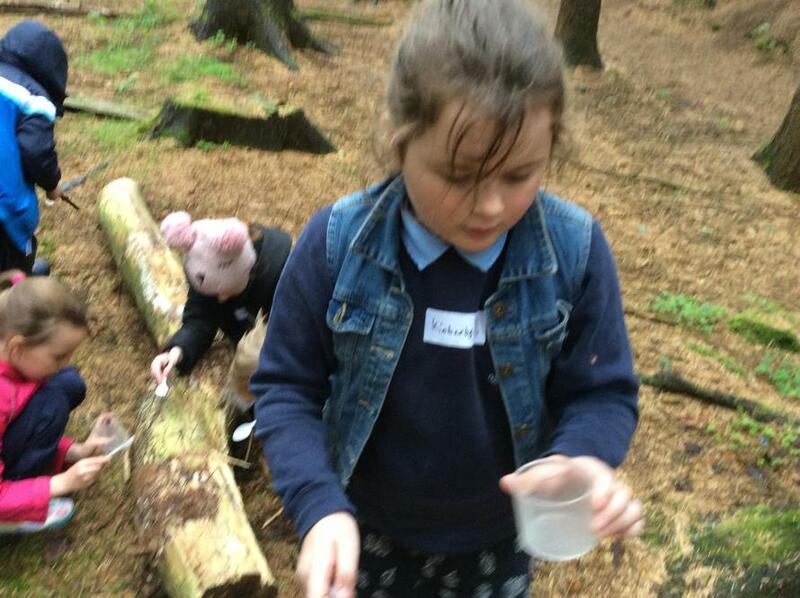 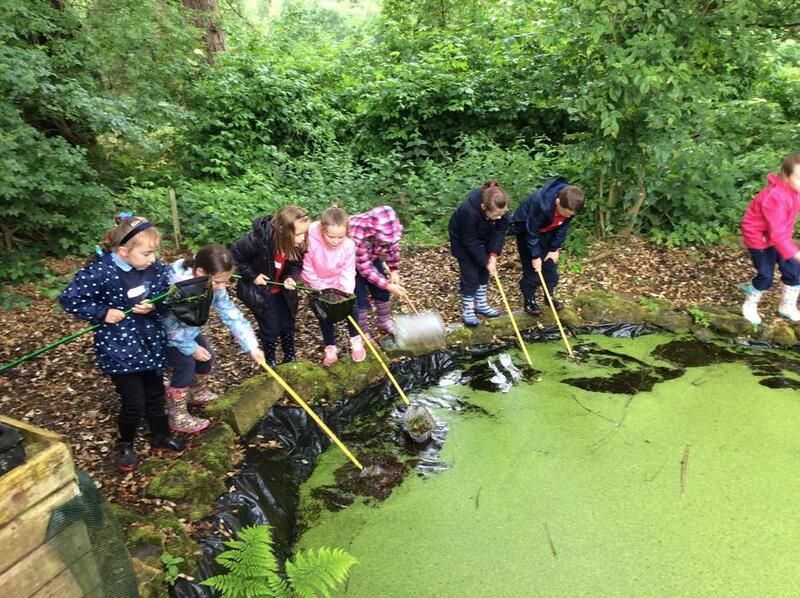 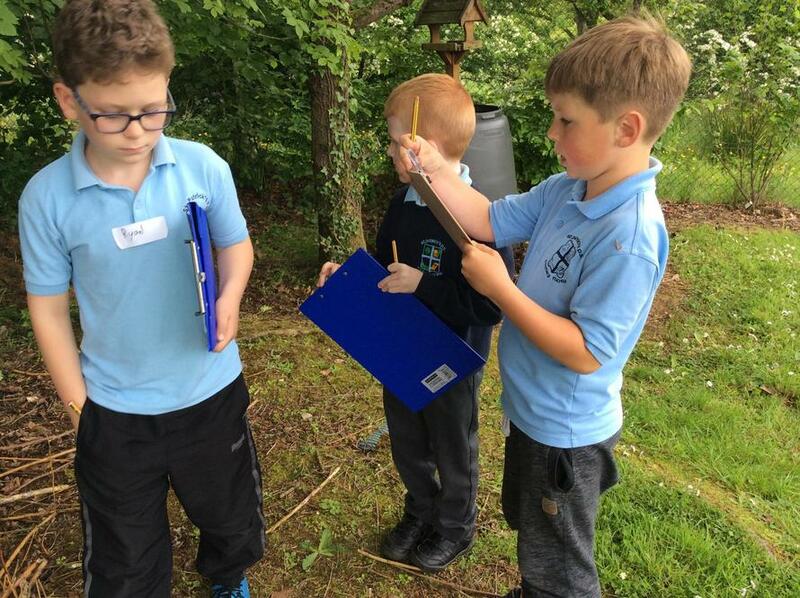 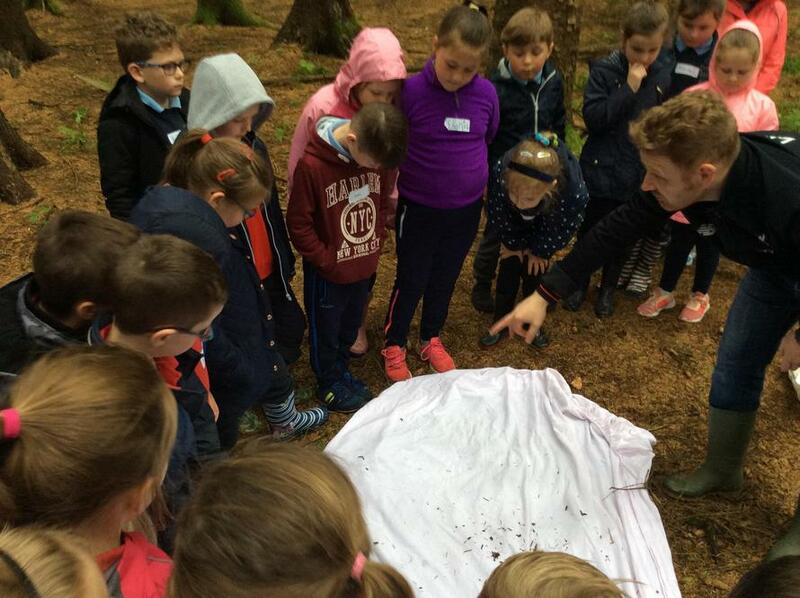 Comparing Habitats in Parkanaur with Moneymore P.S. 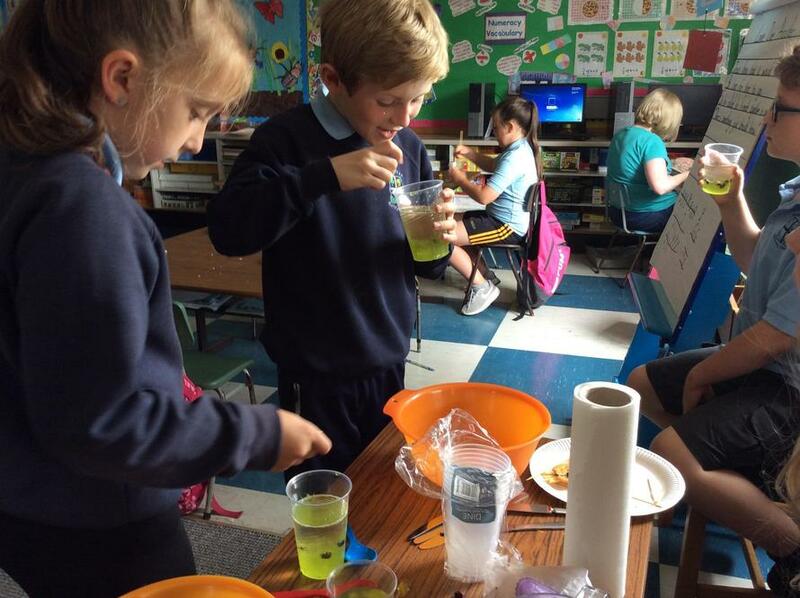 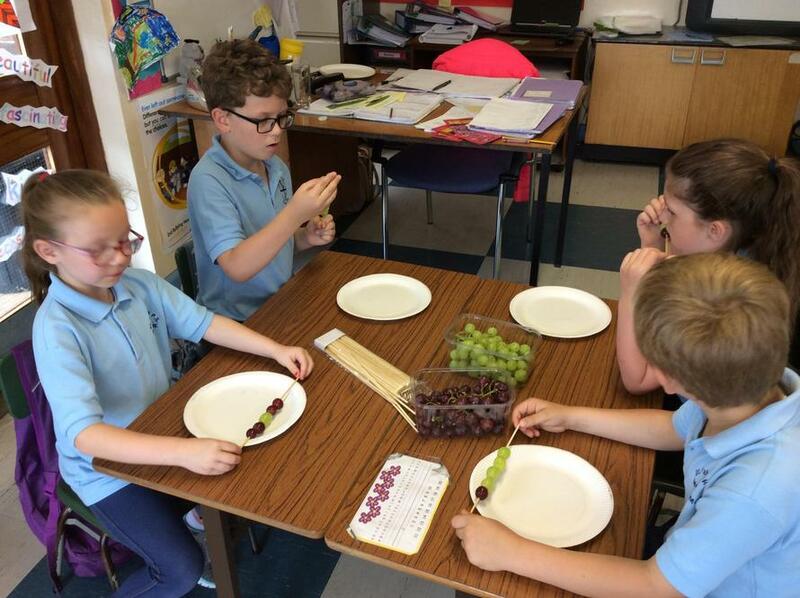 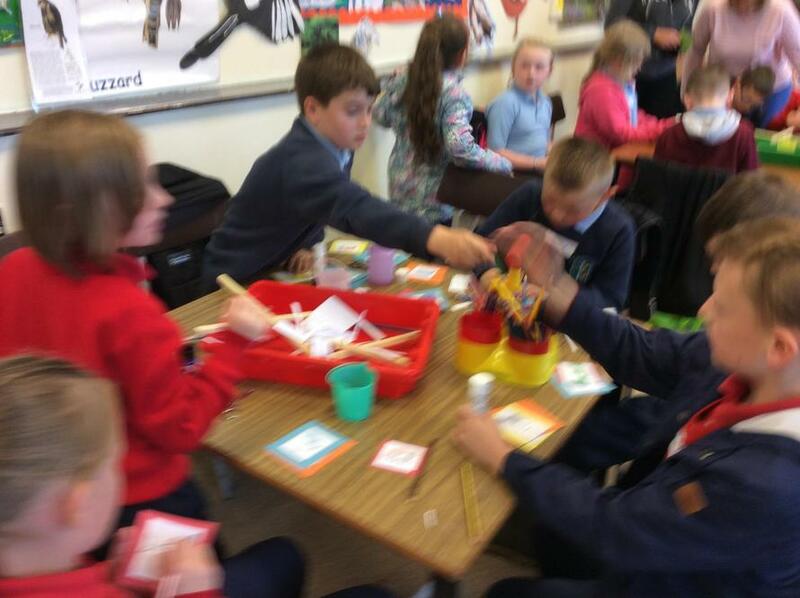 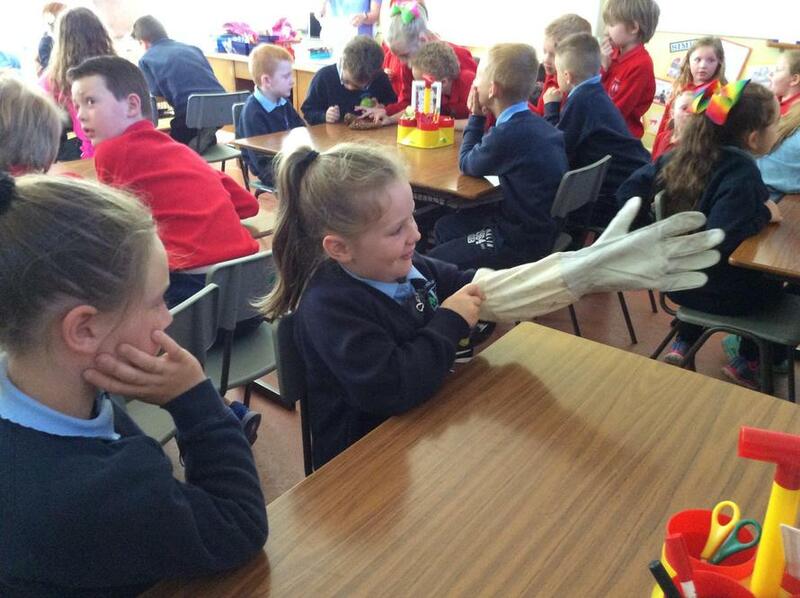 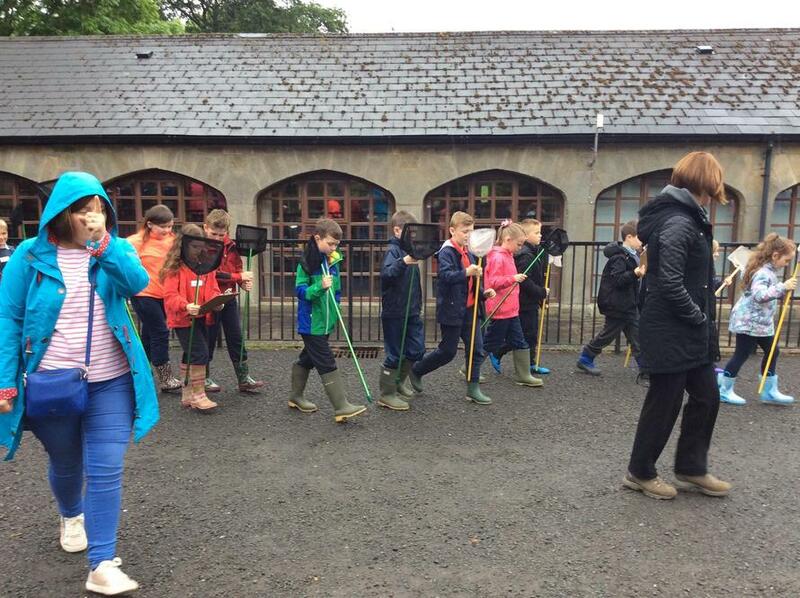 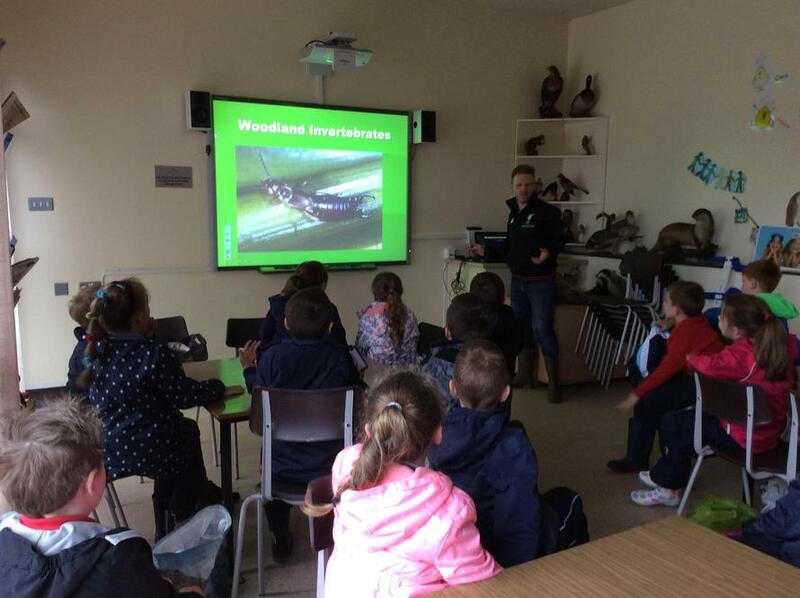 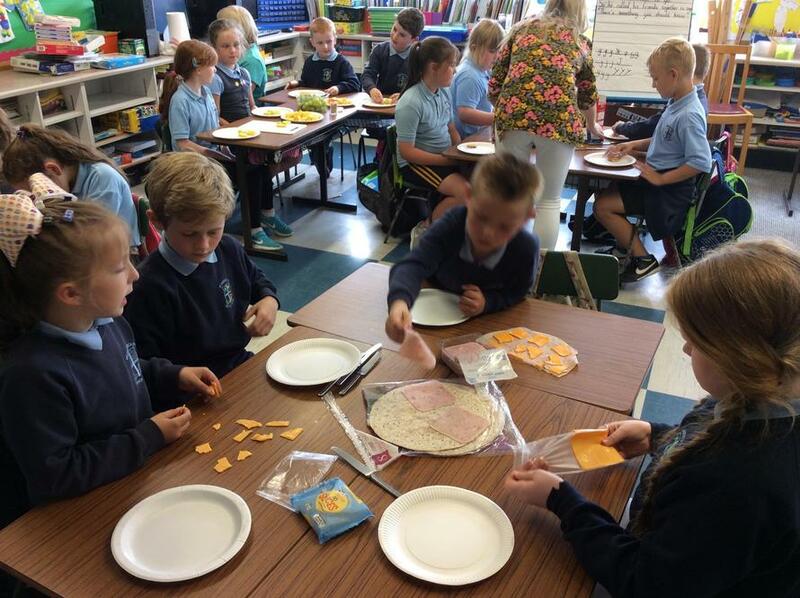 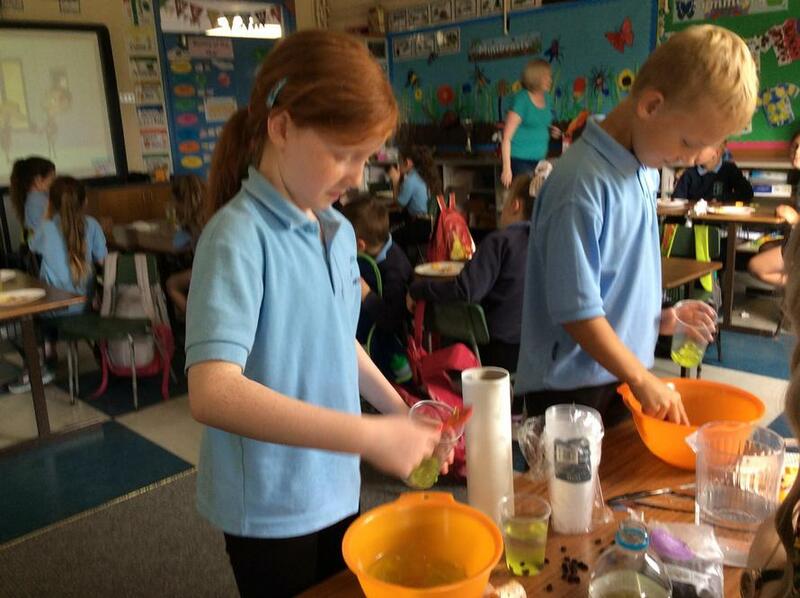 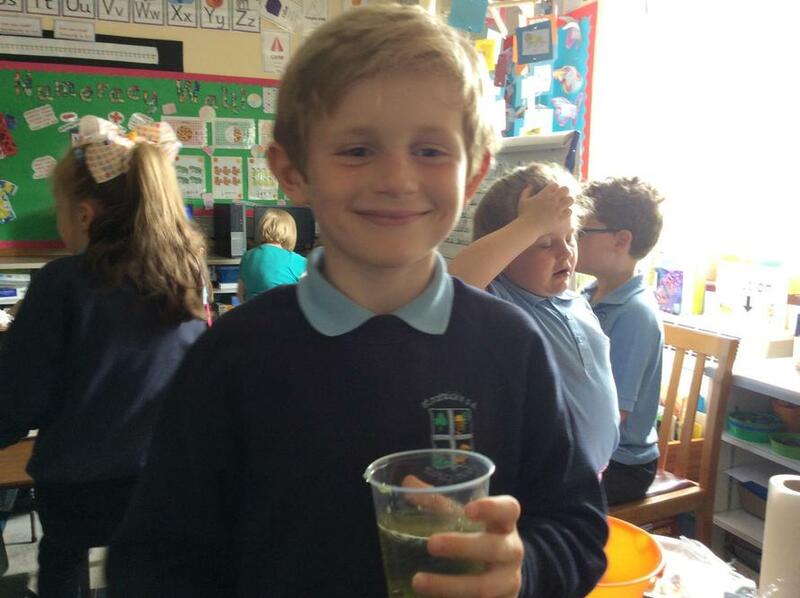 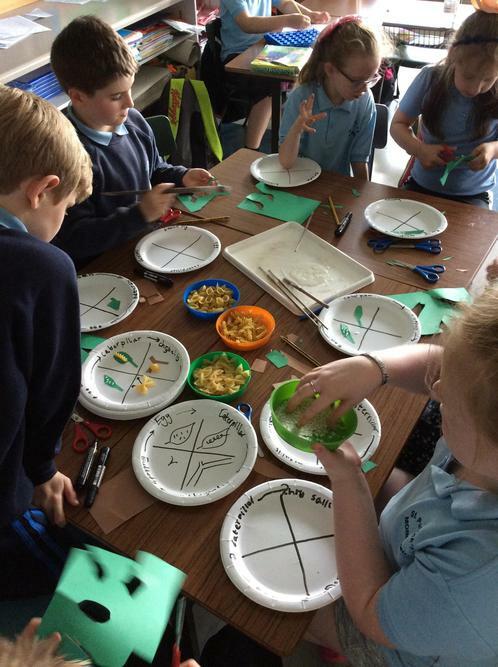 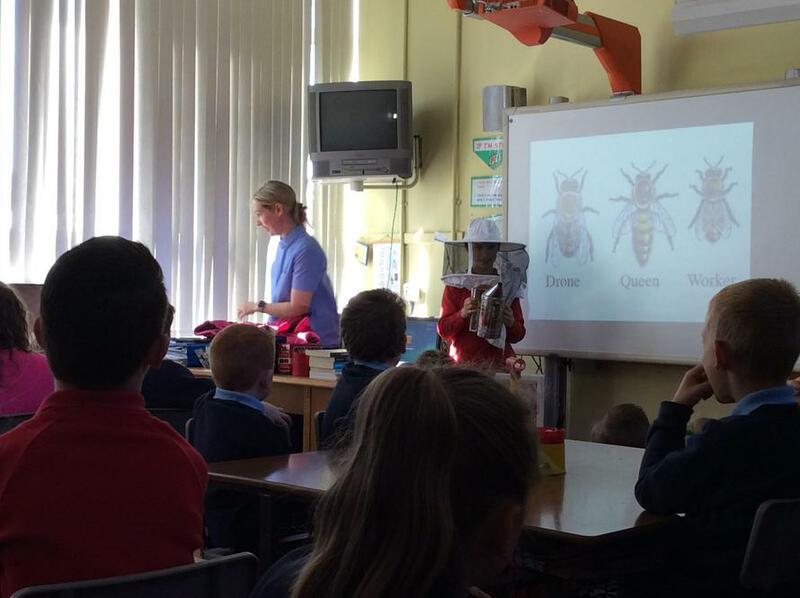 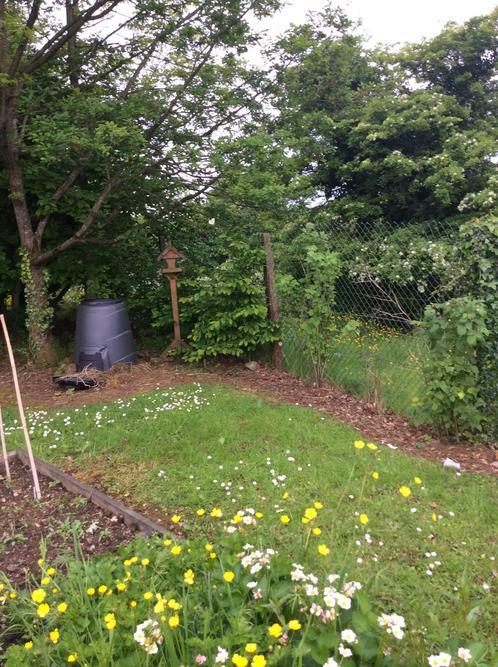 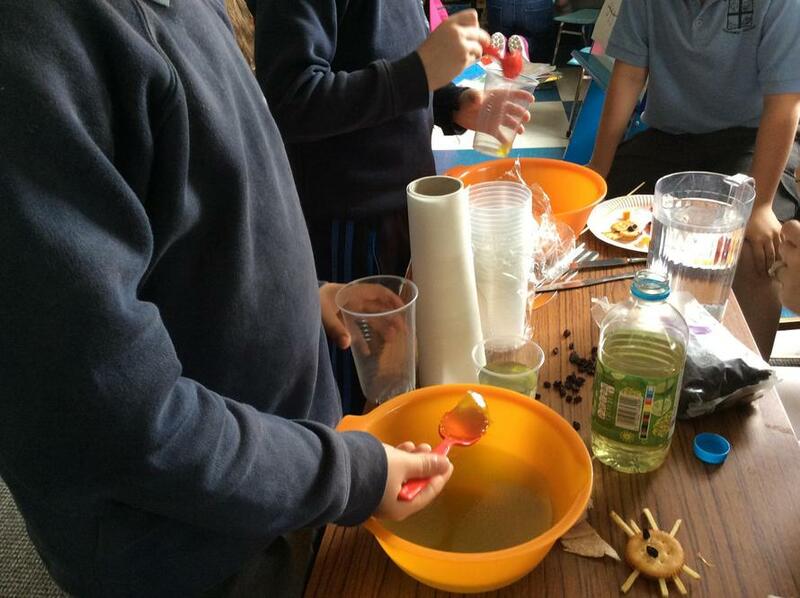 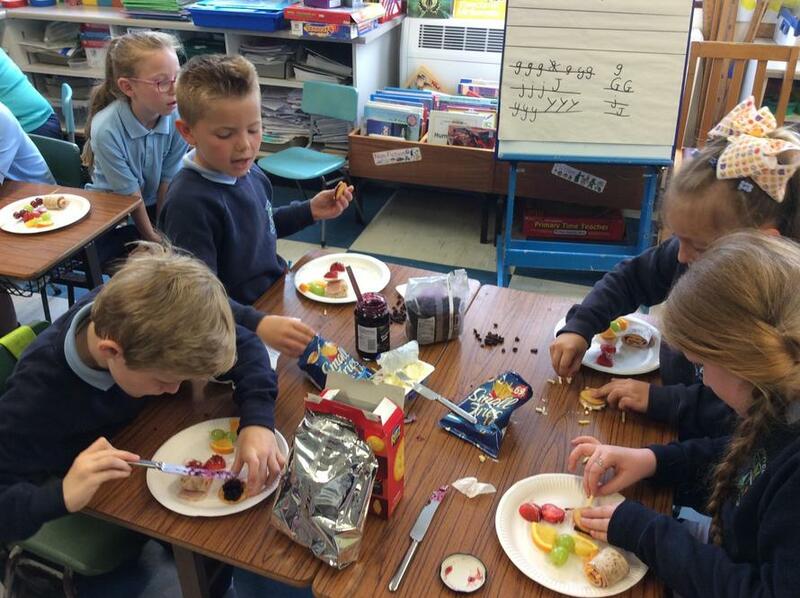 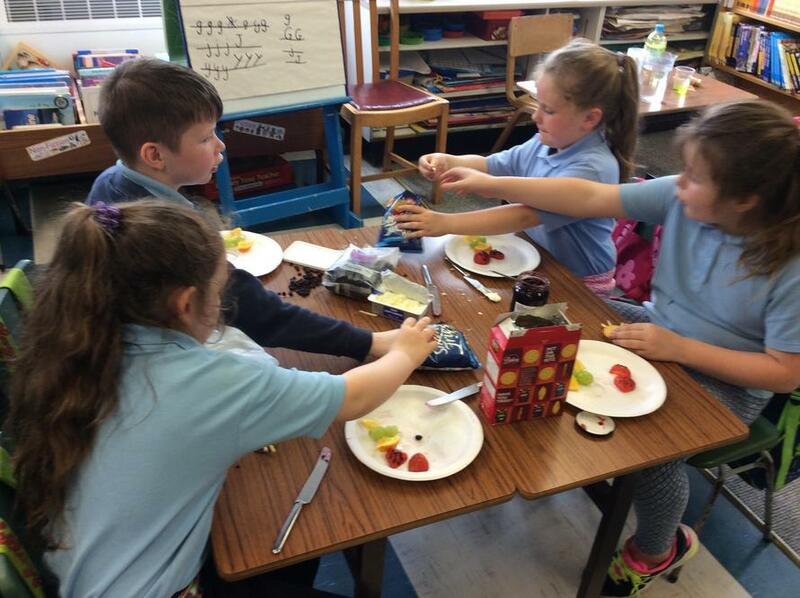 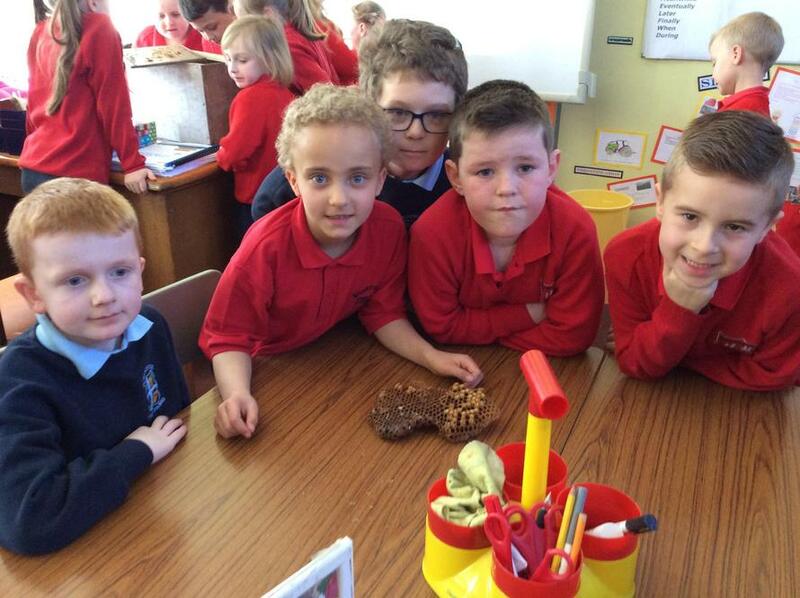 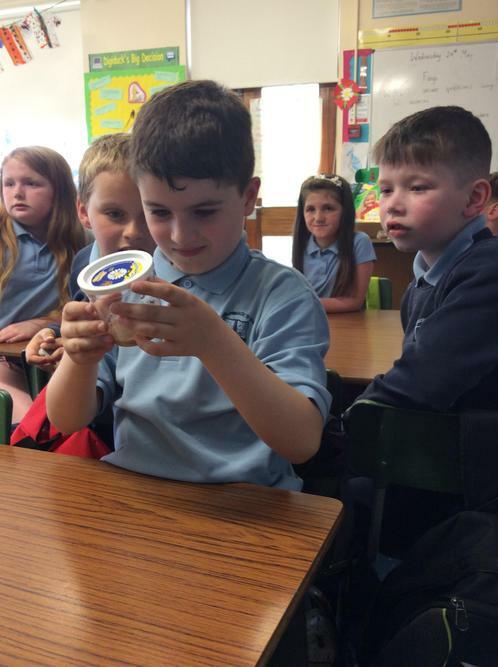 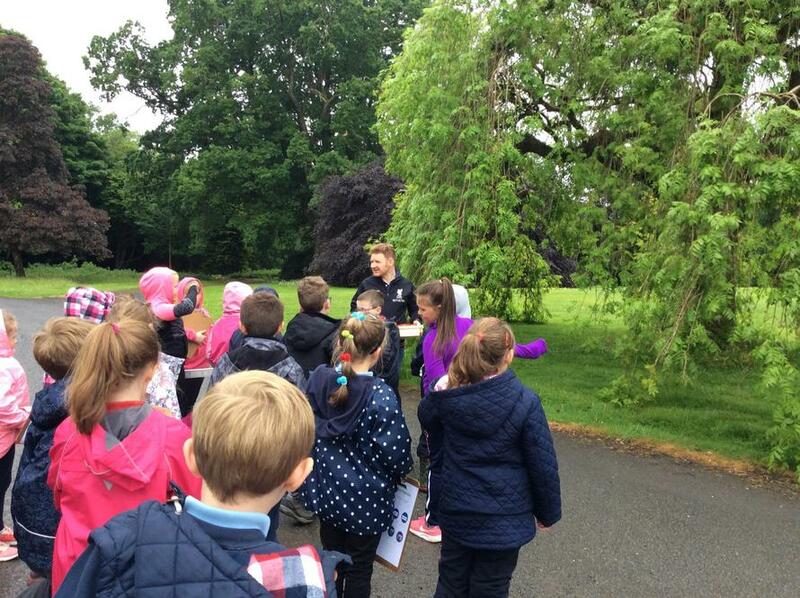 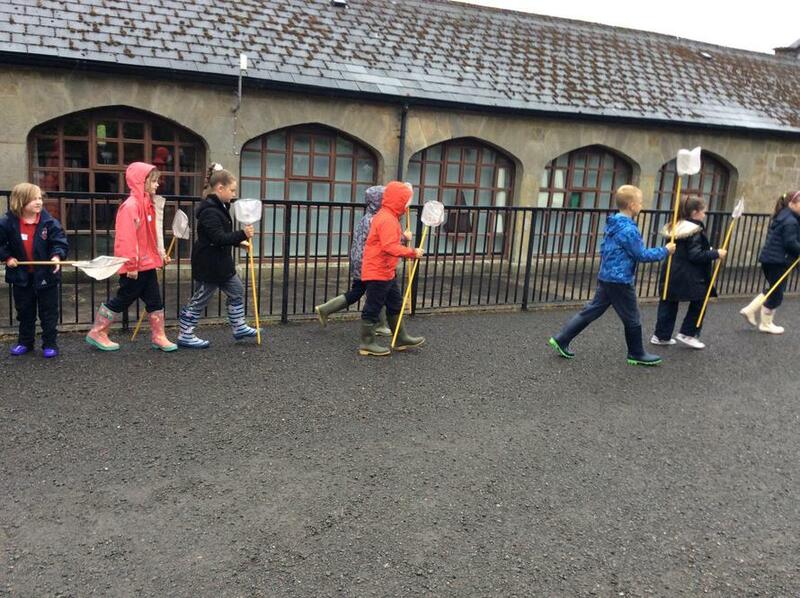 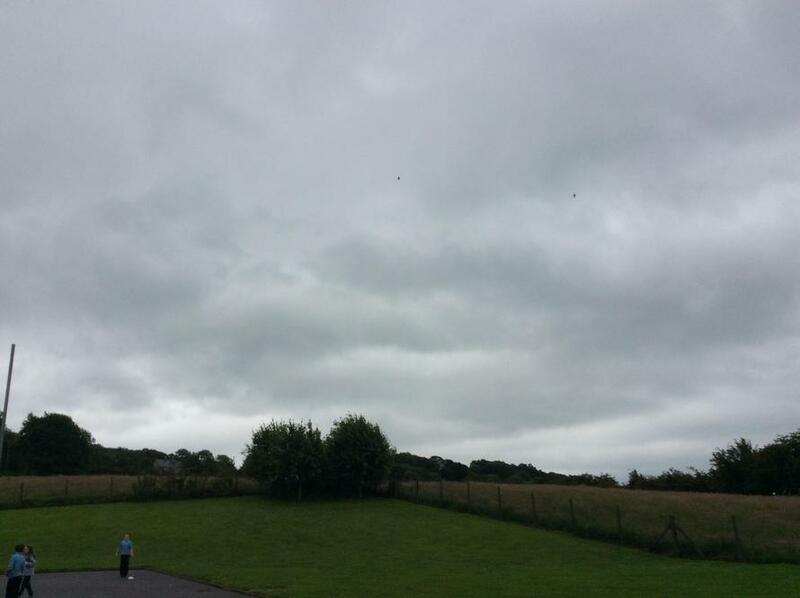 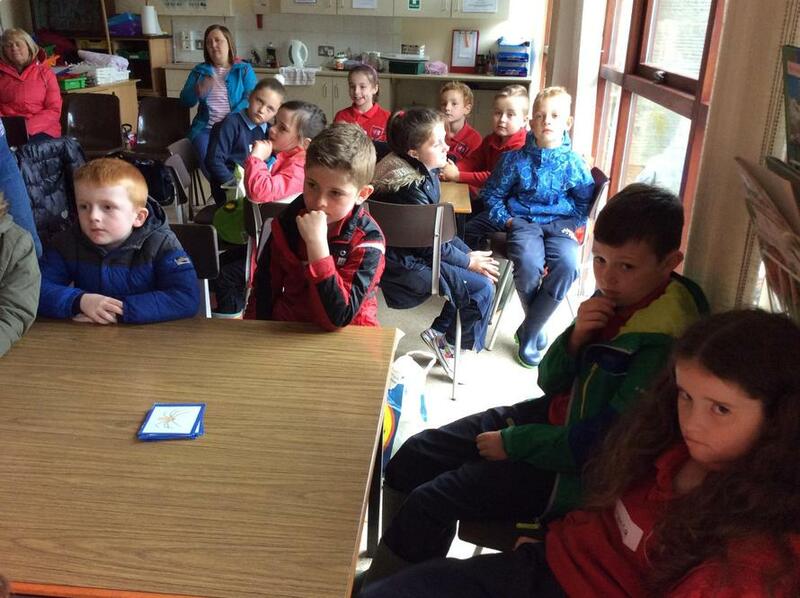 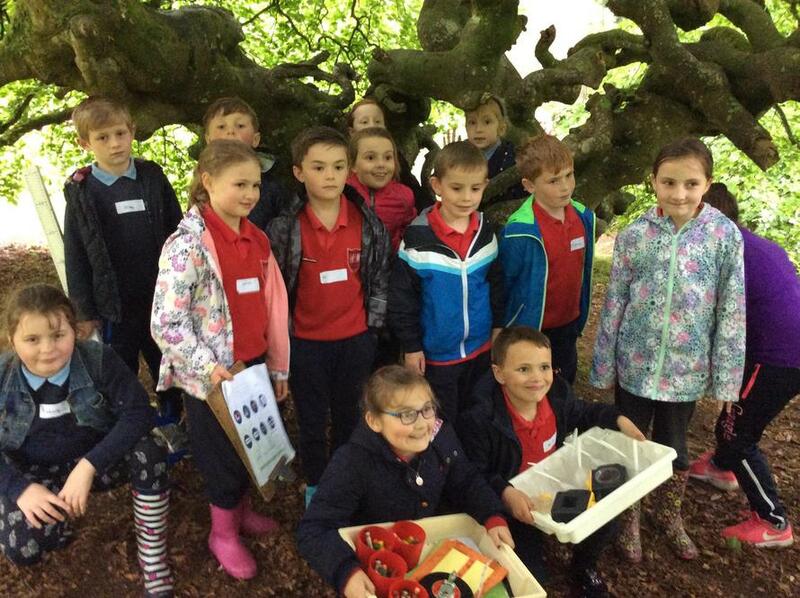 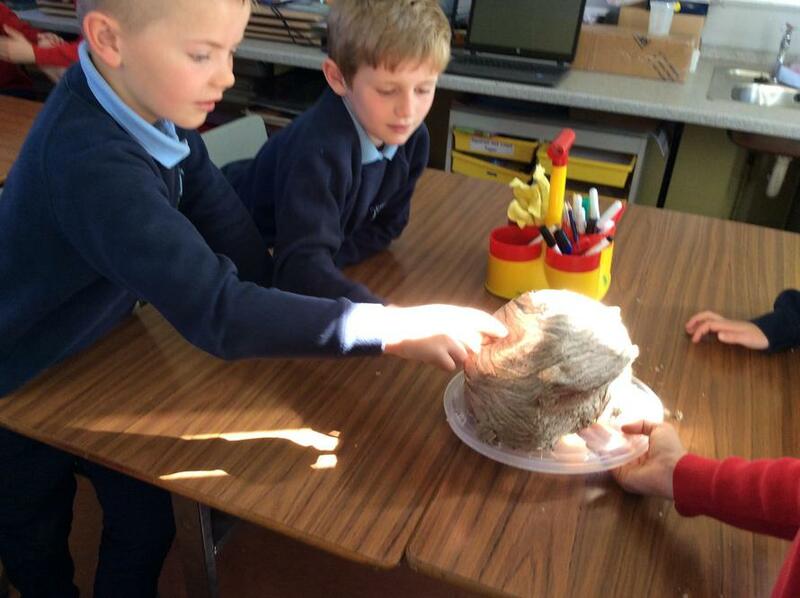 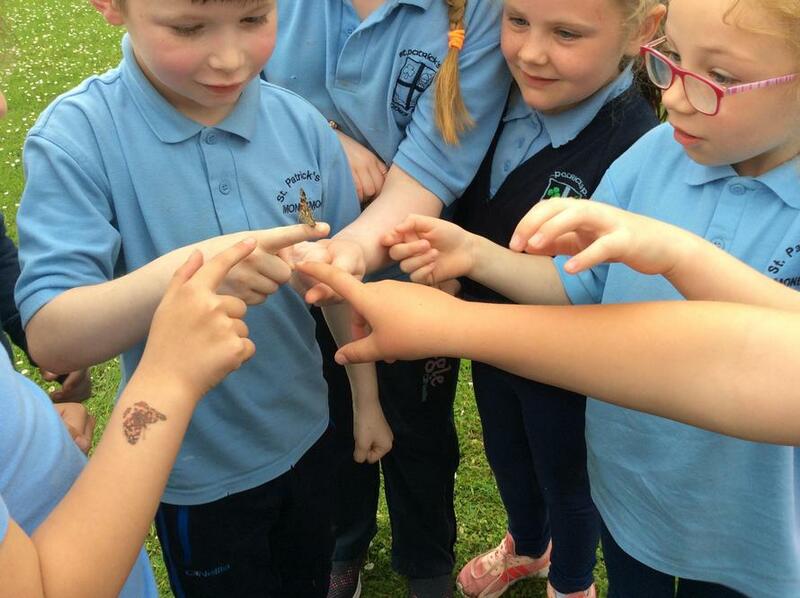 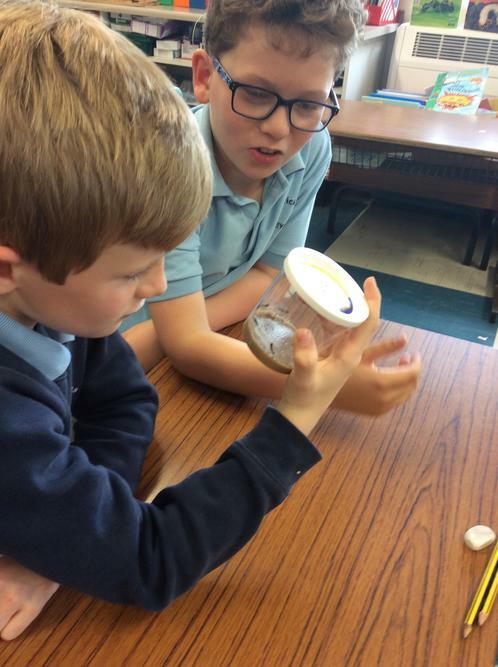 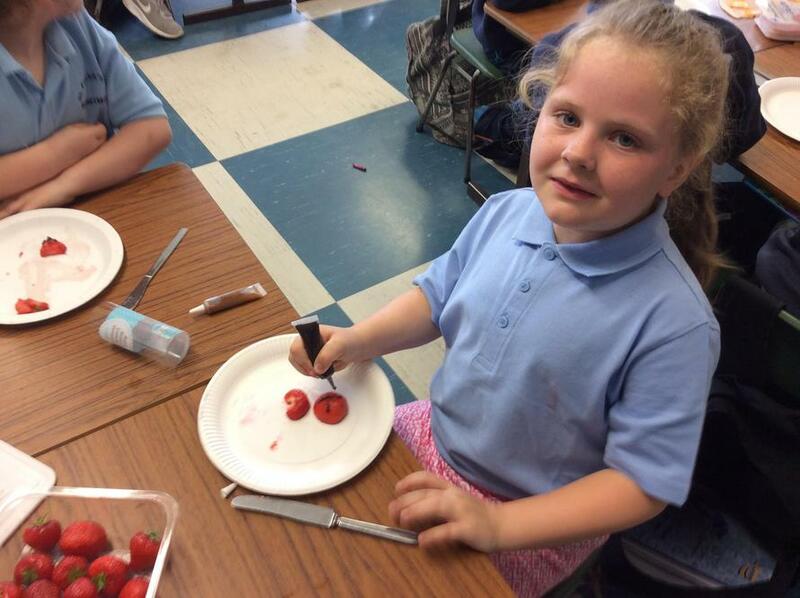 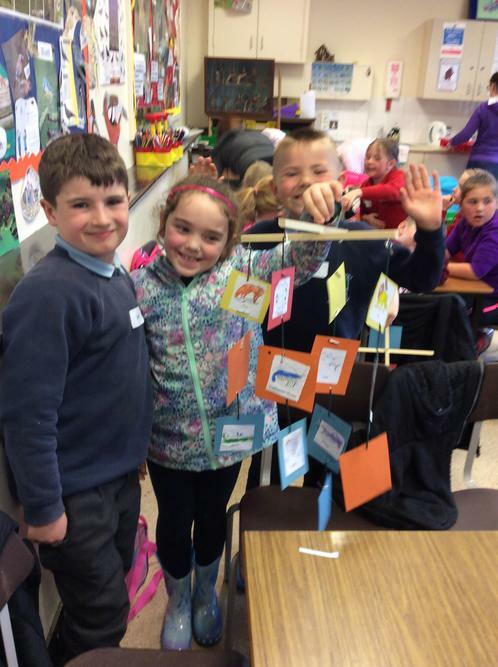 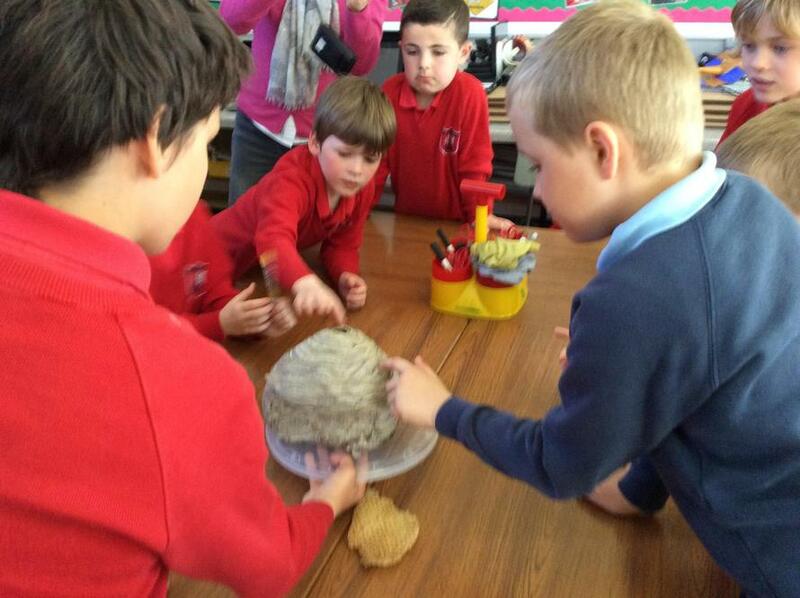 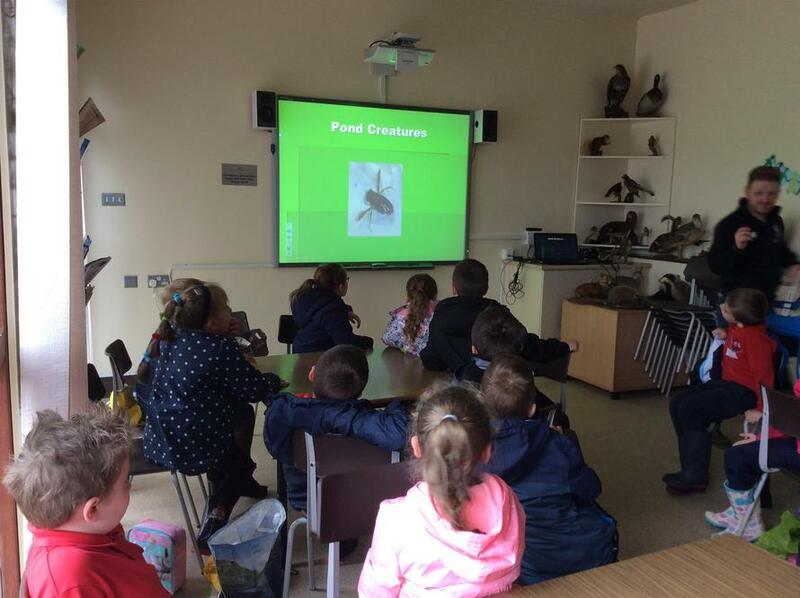 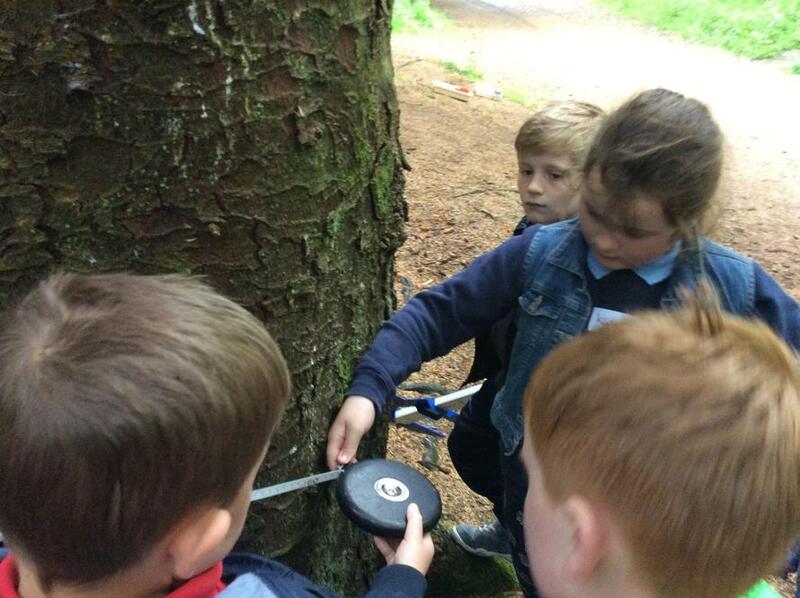 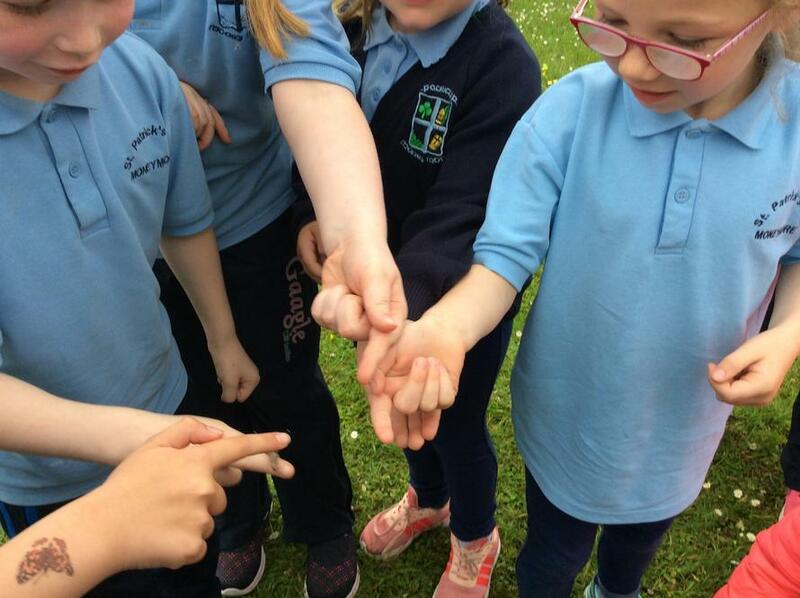 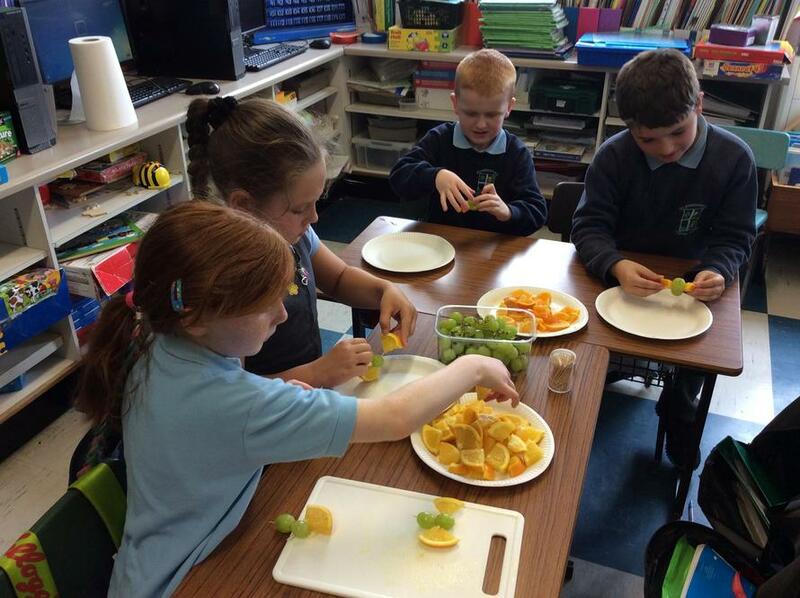 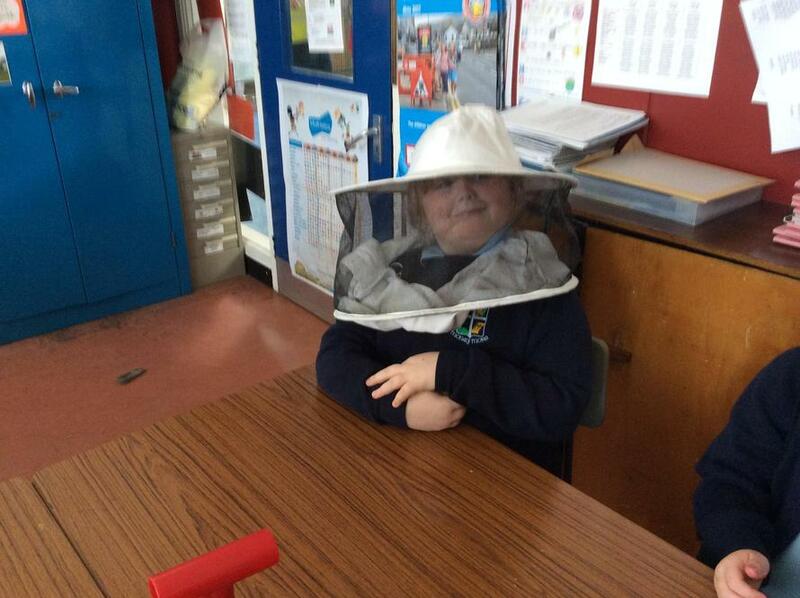 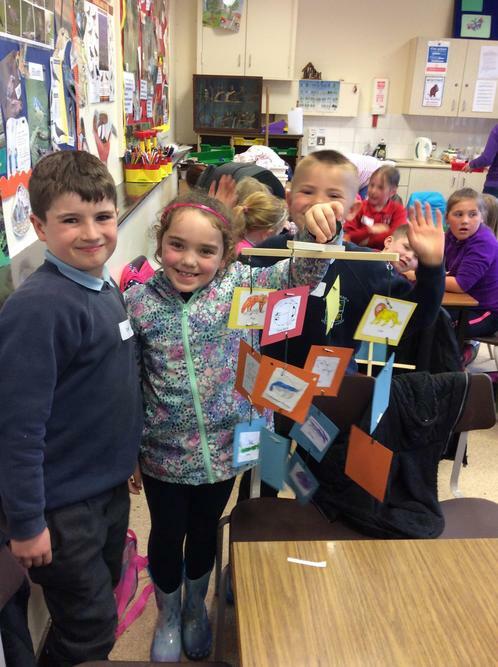 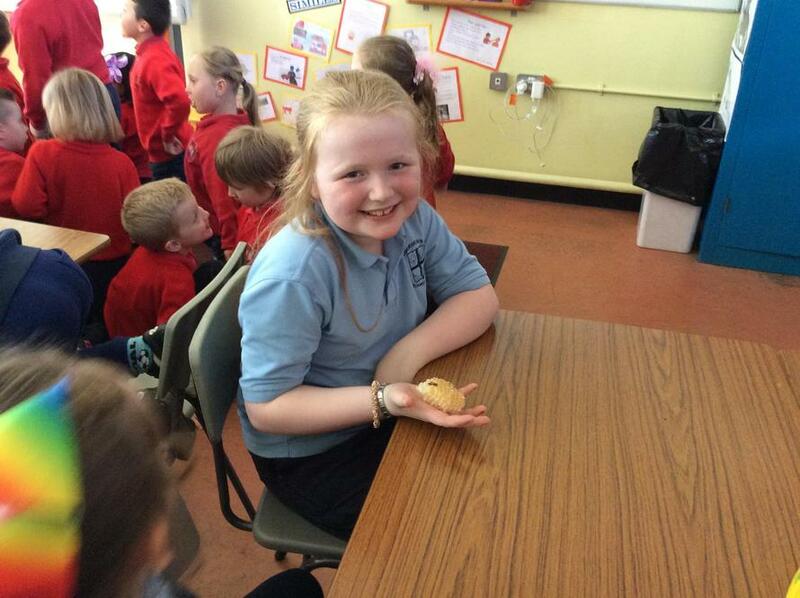 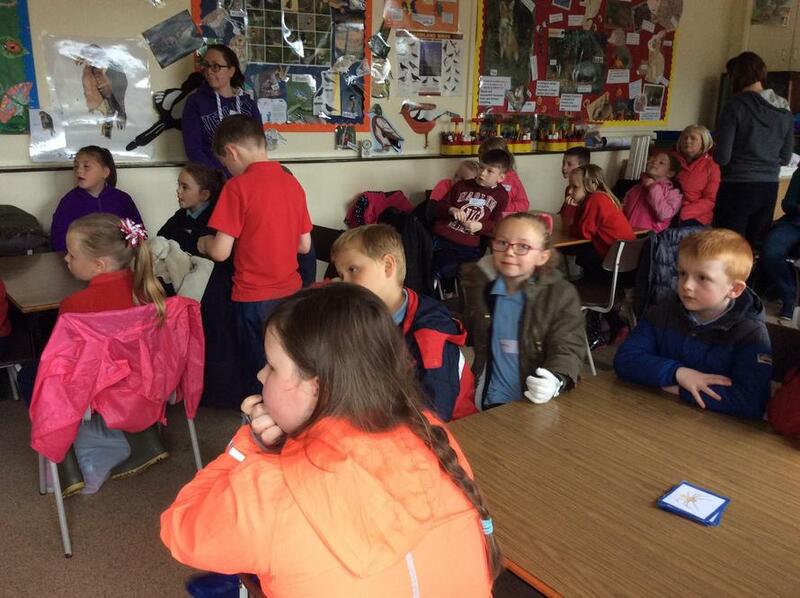 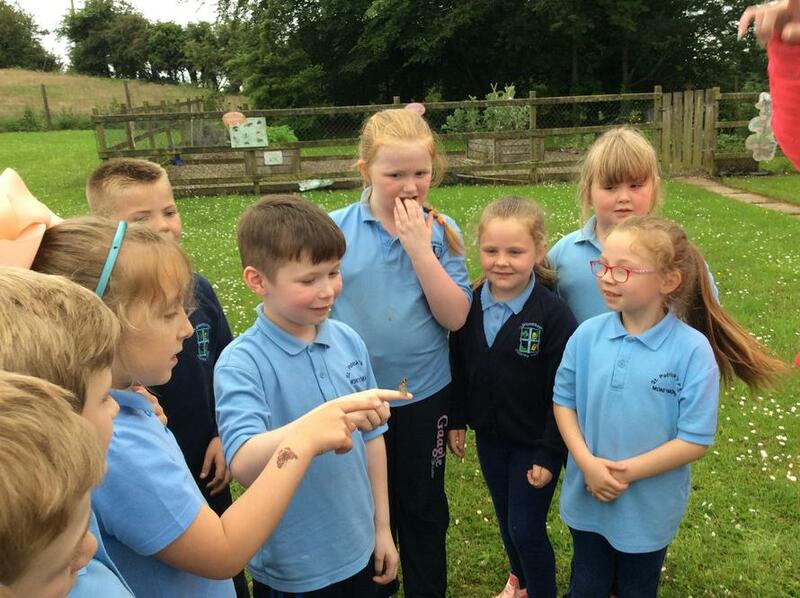 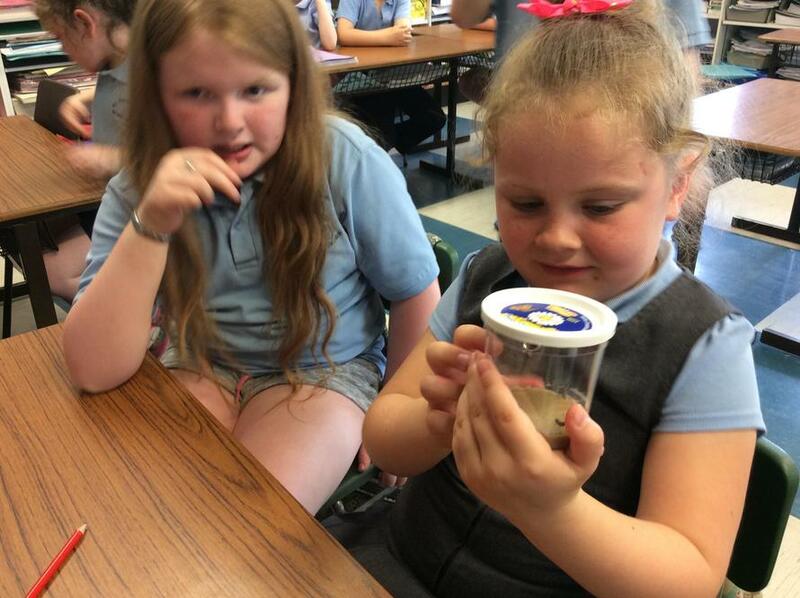 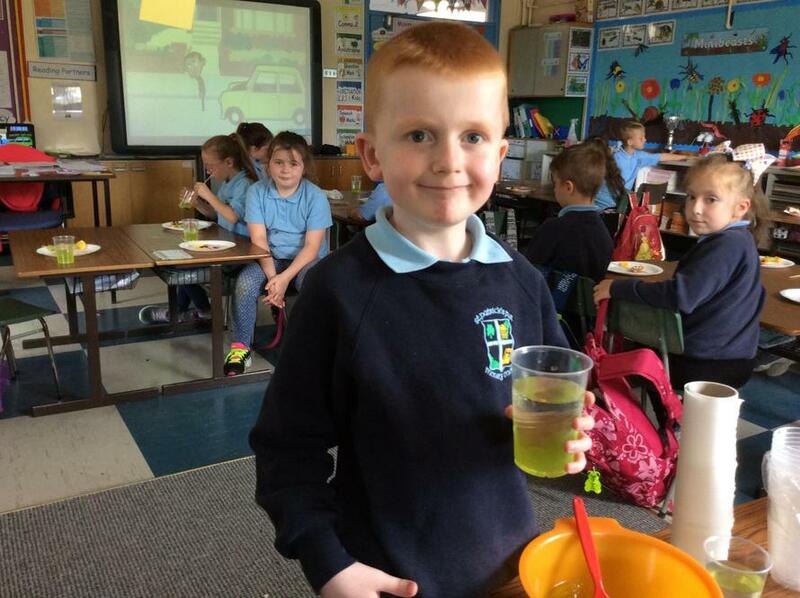 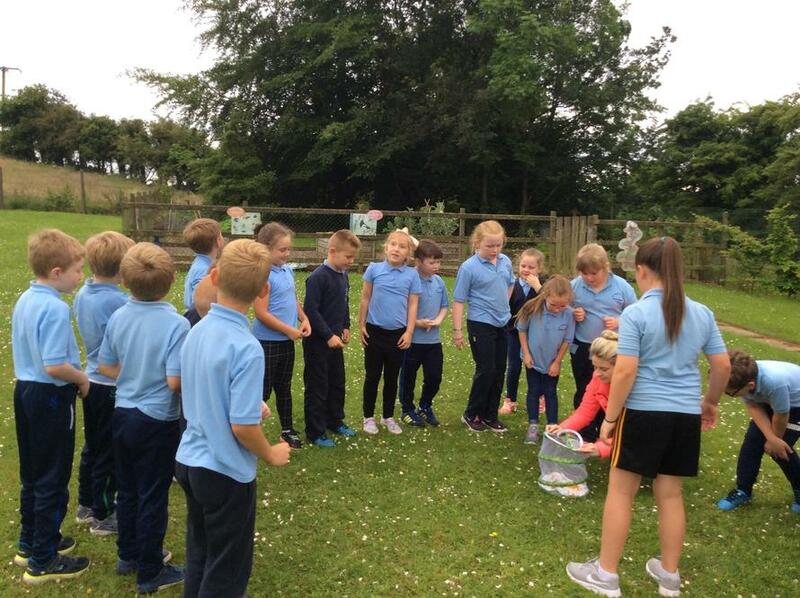 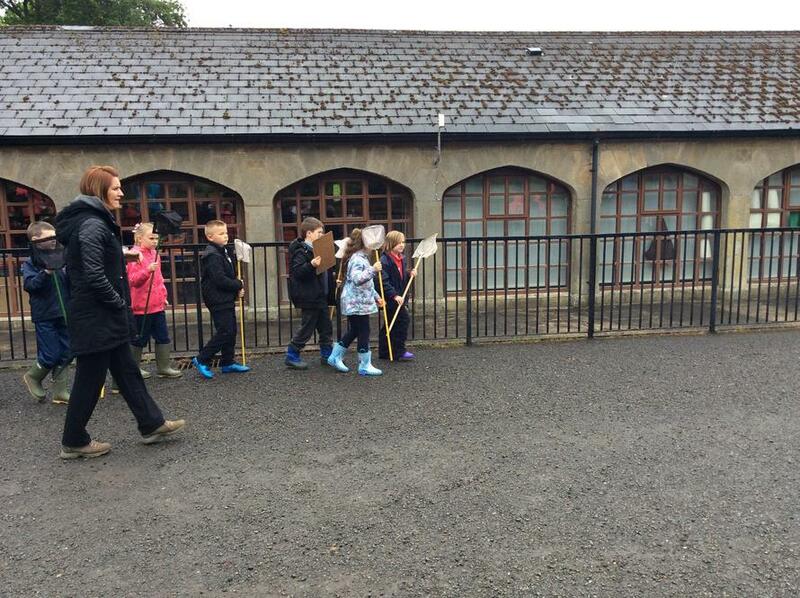 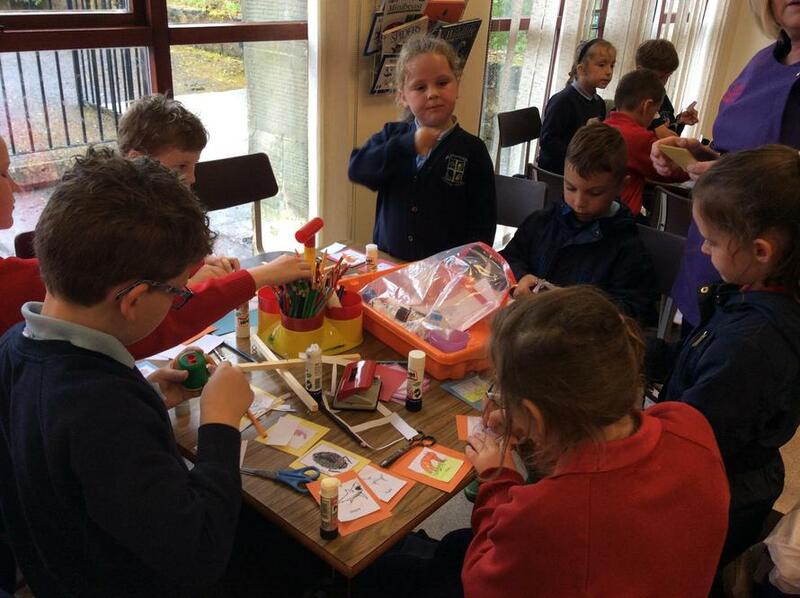 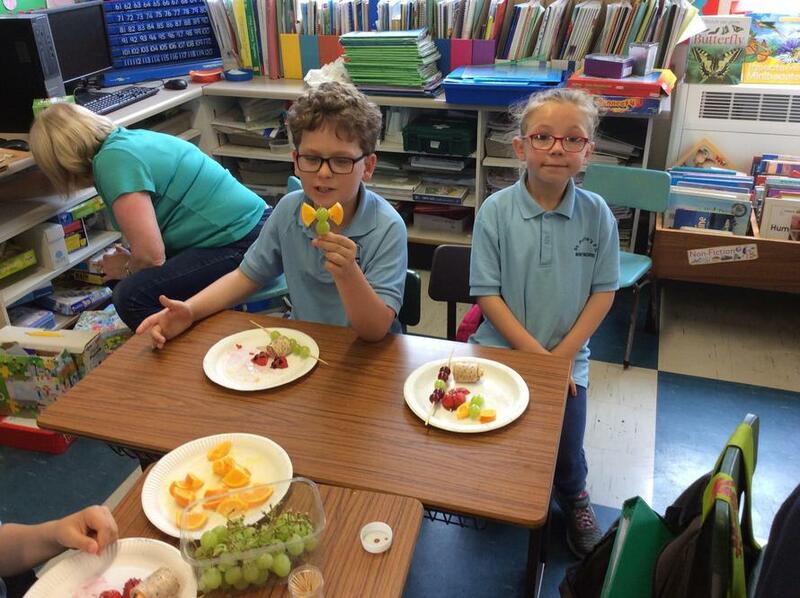 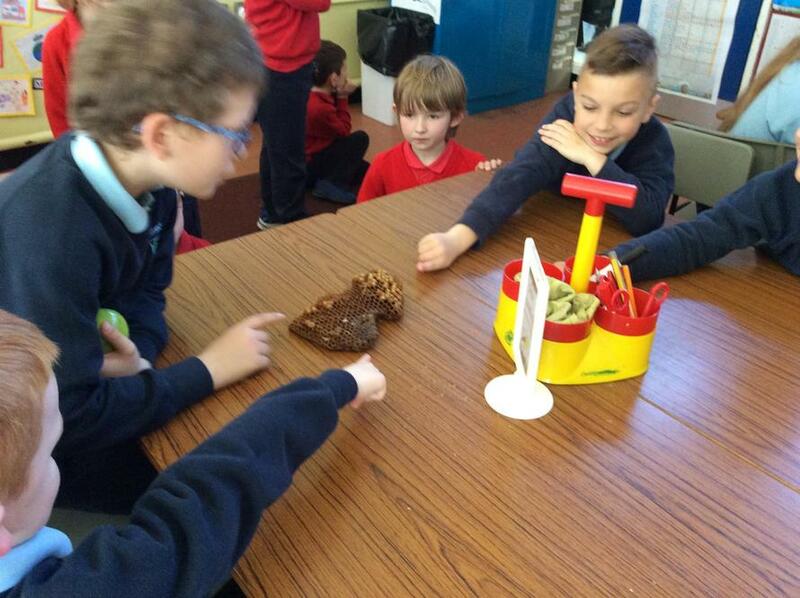 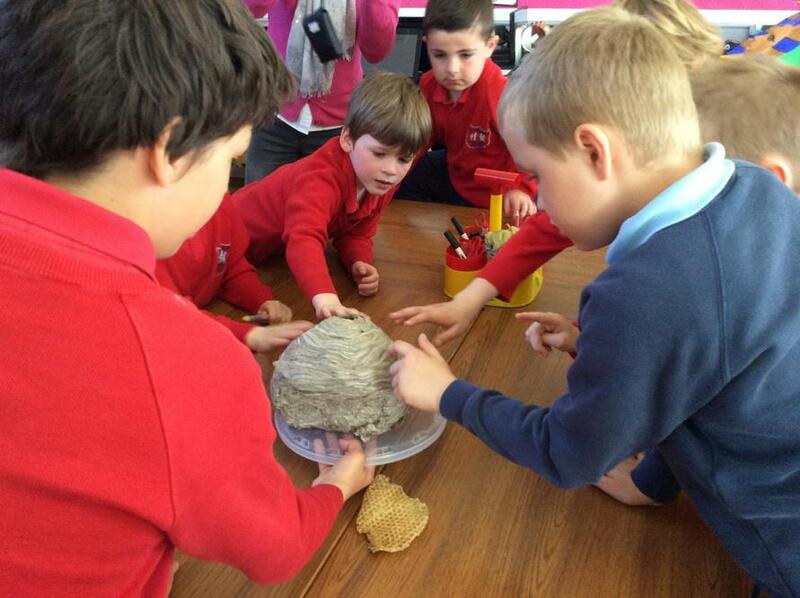 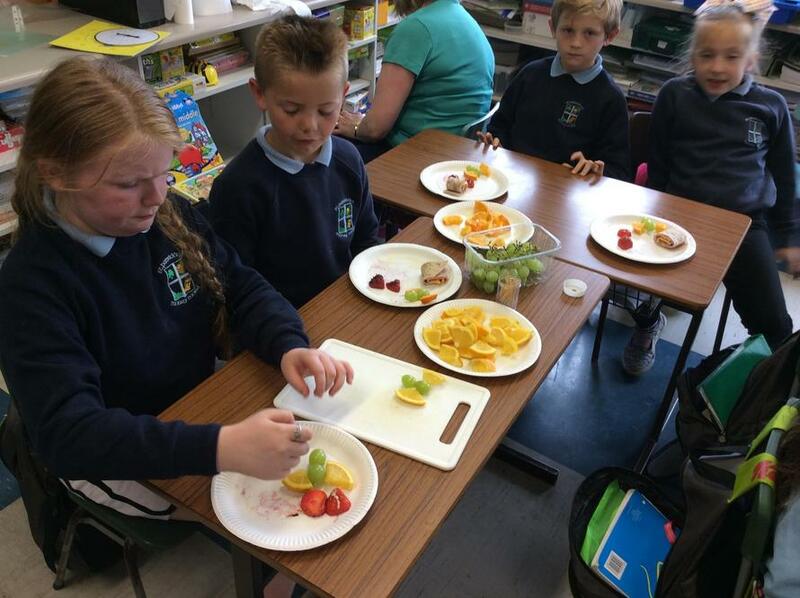 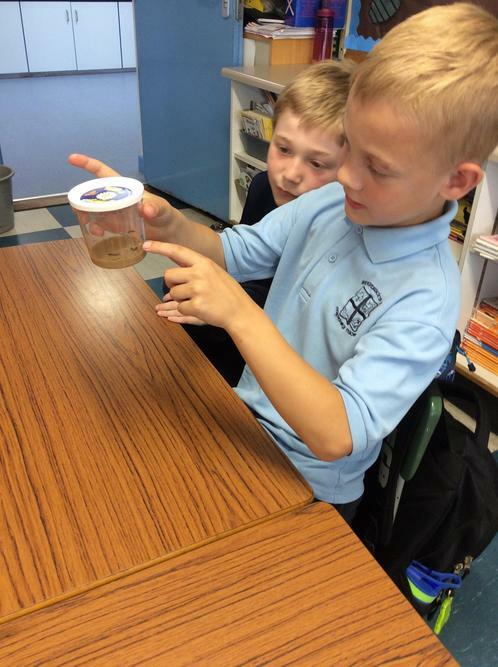 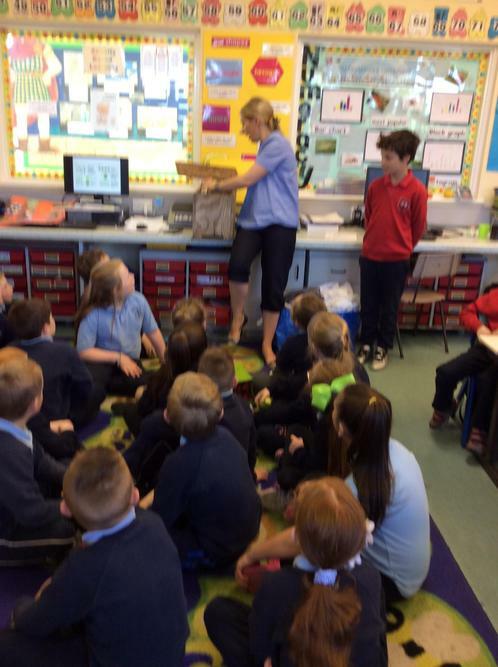 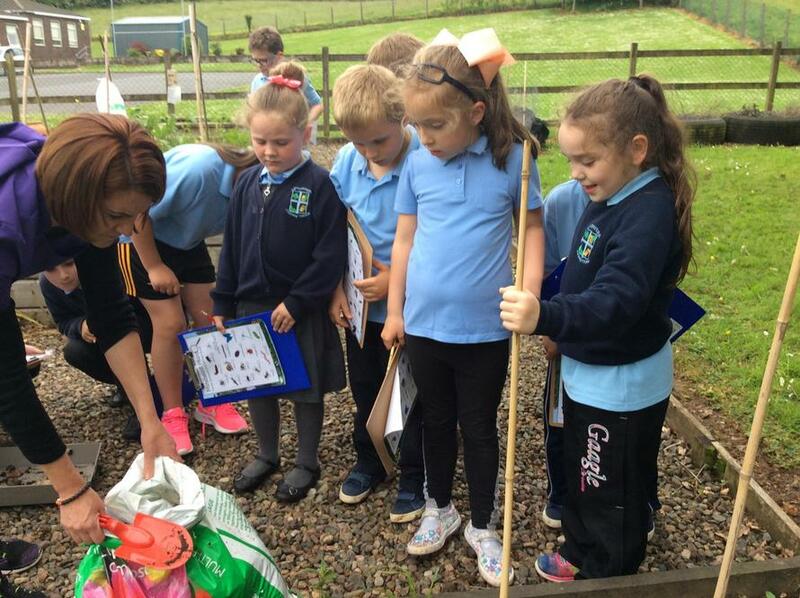 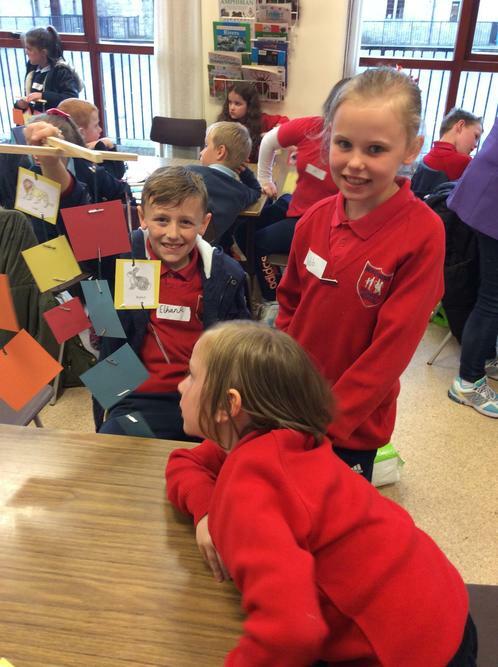 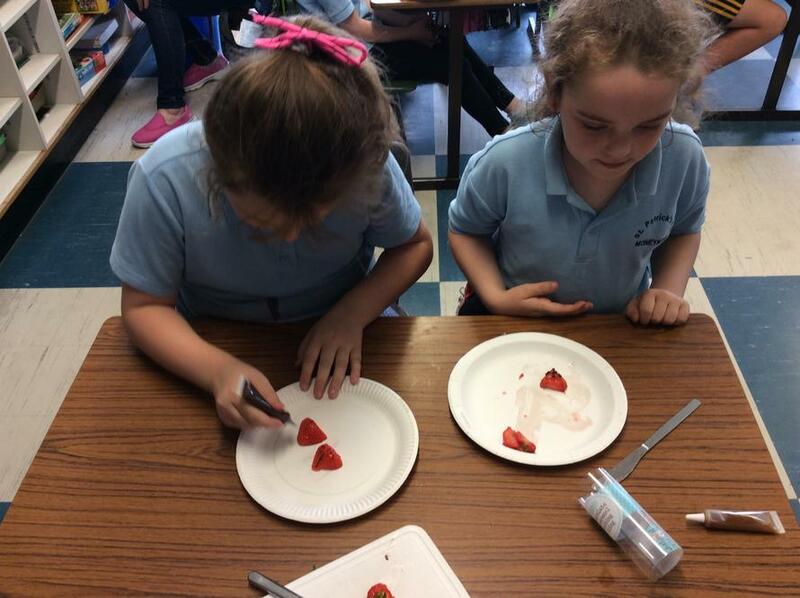 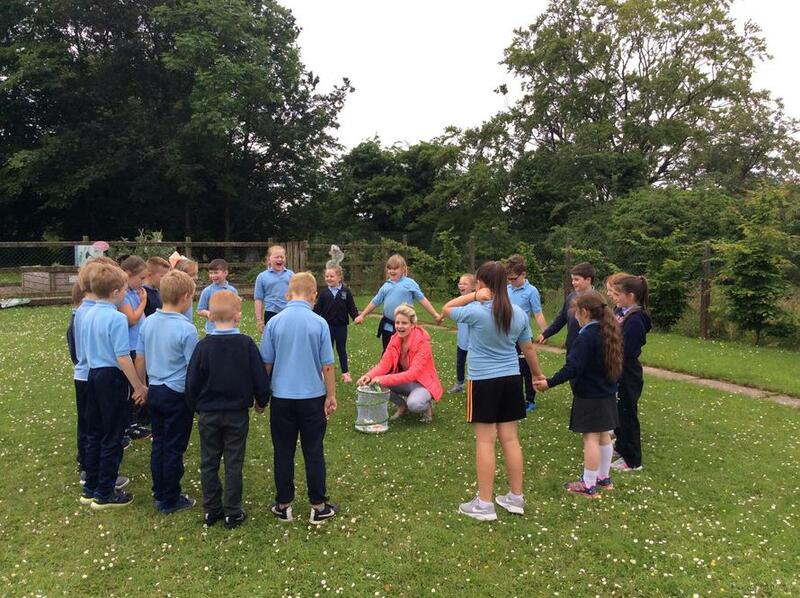 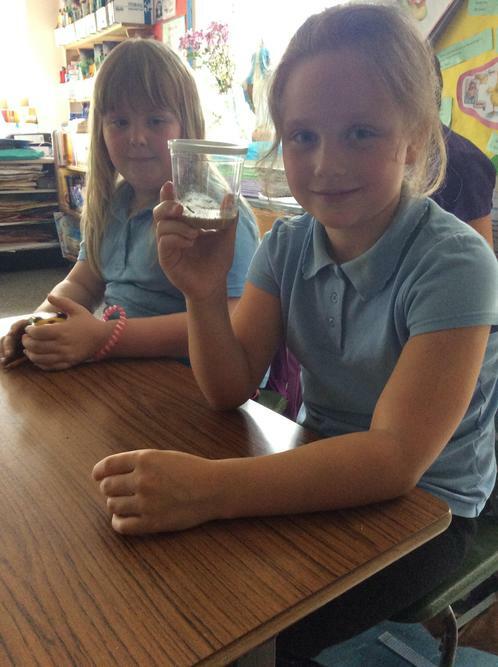 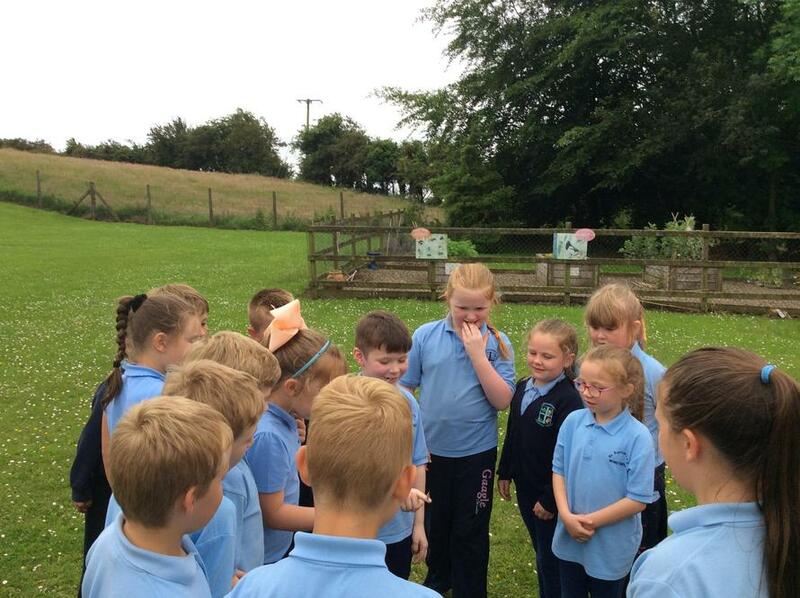 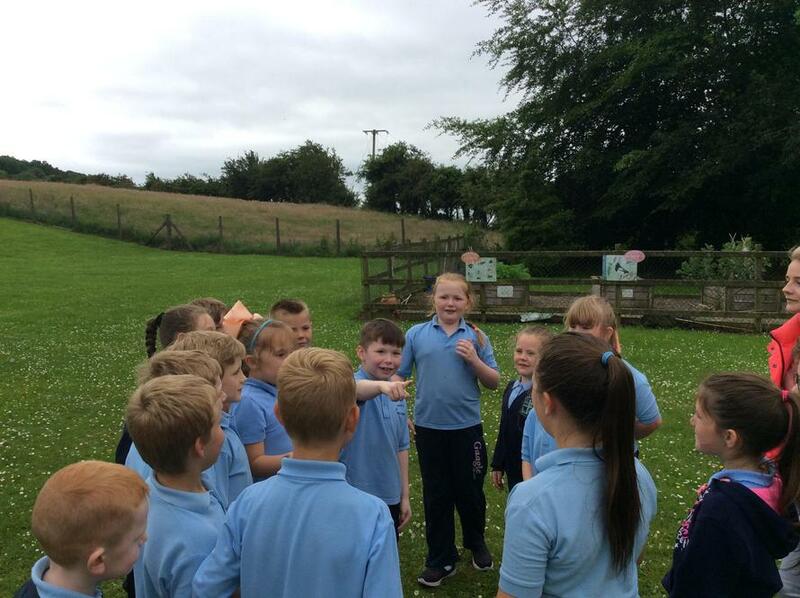 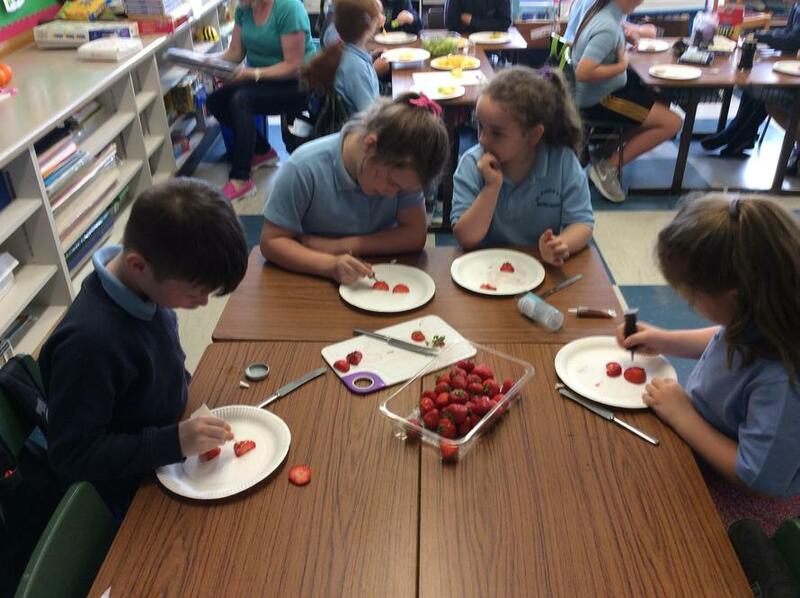 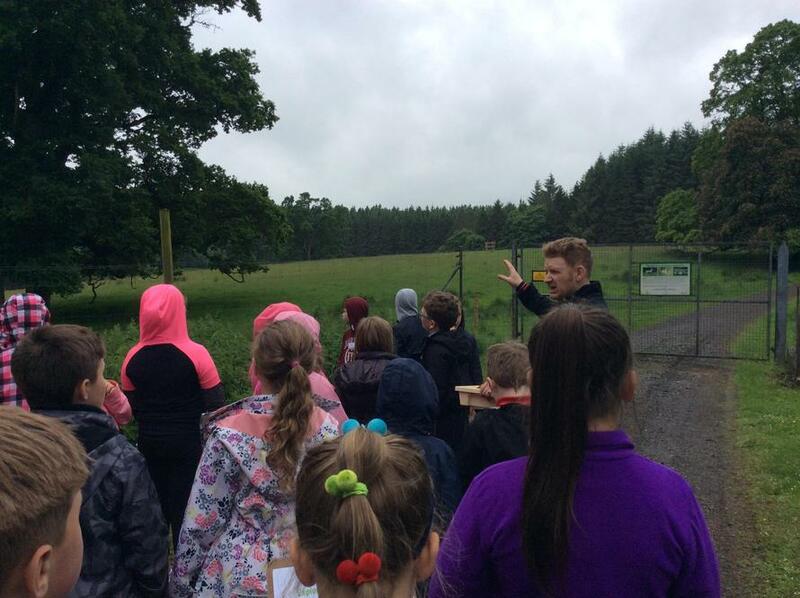 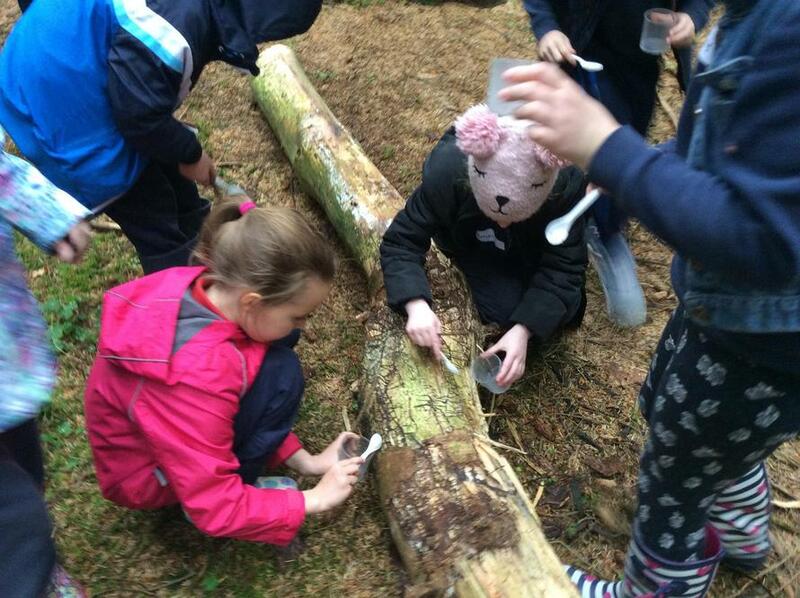 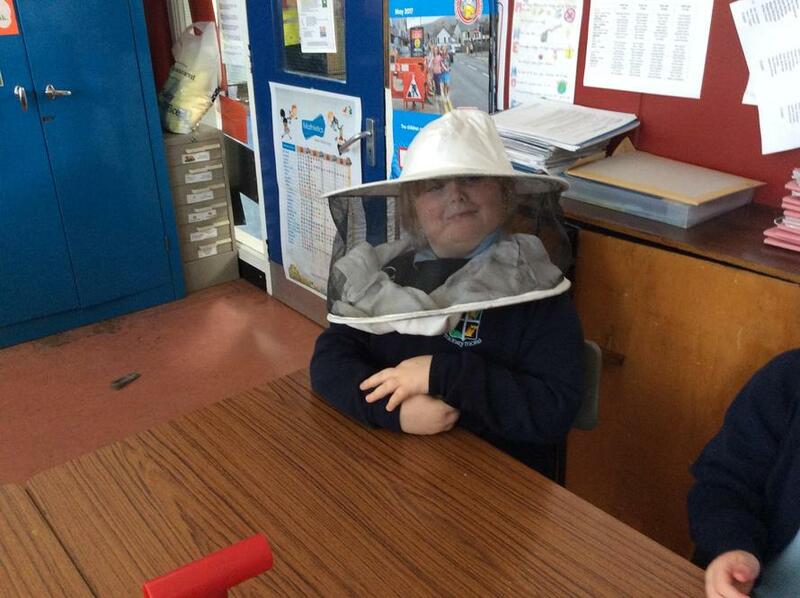 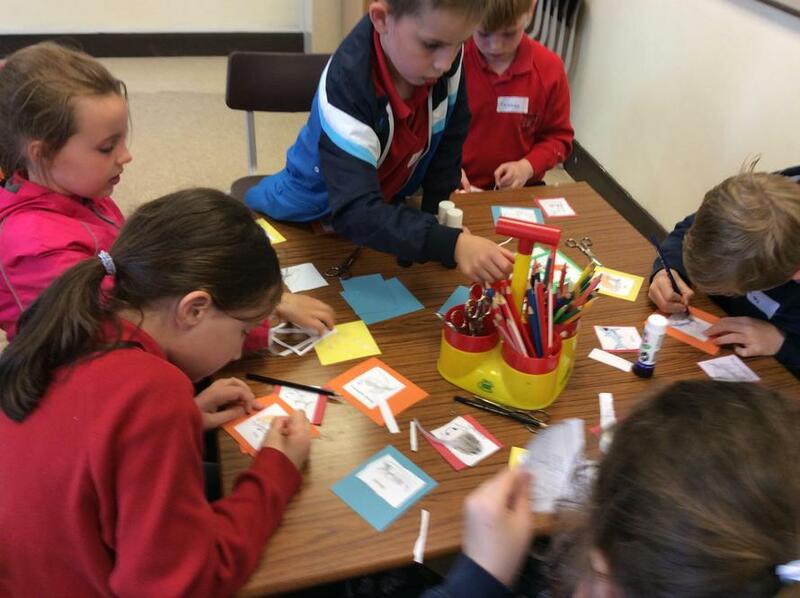 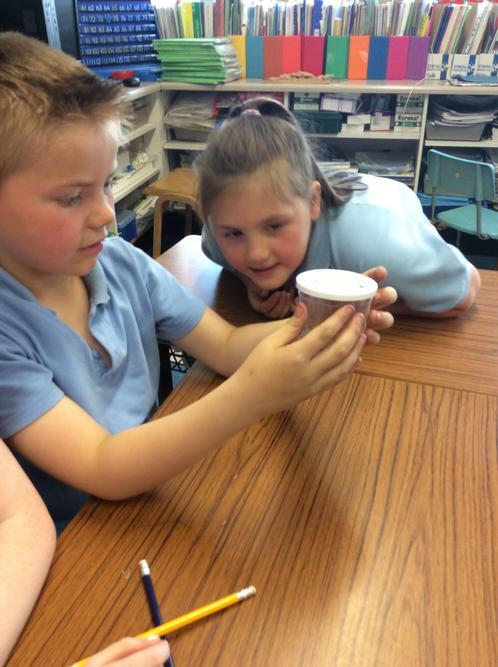 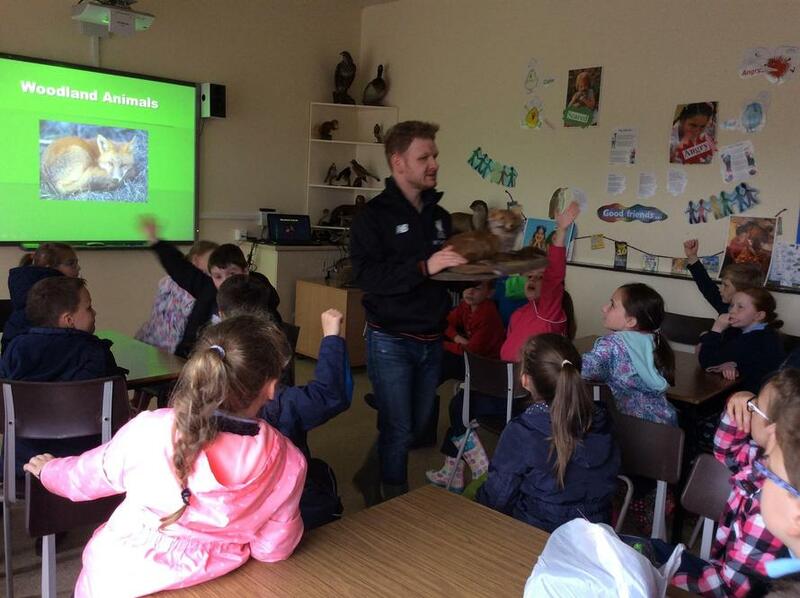 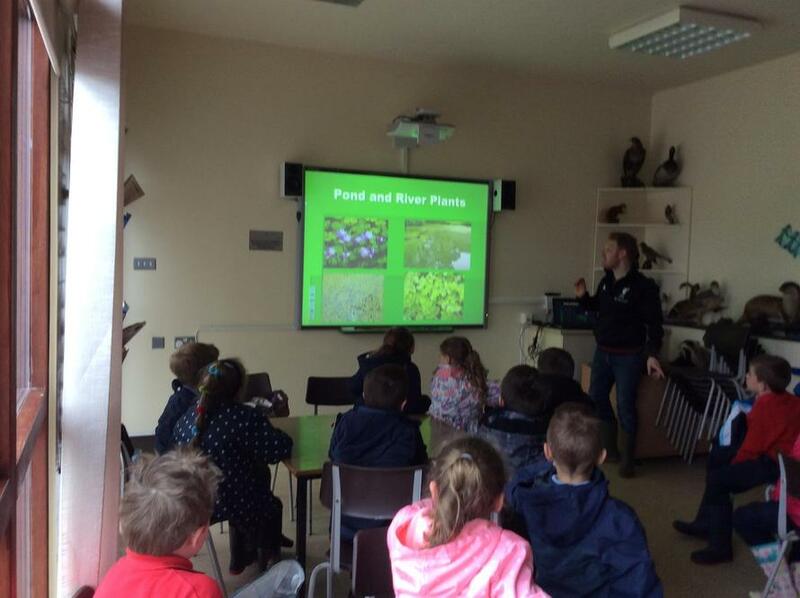 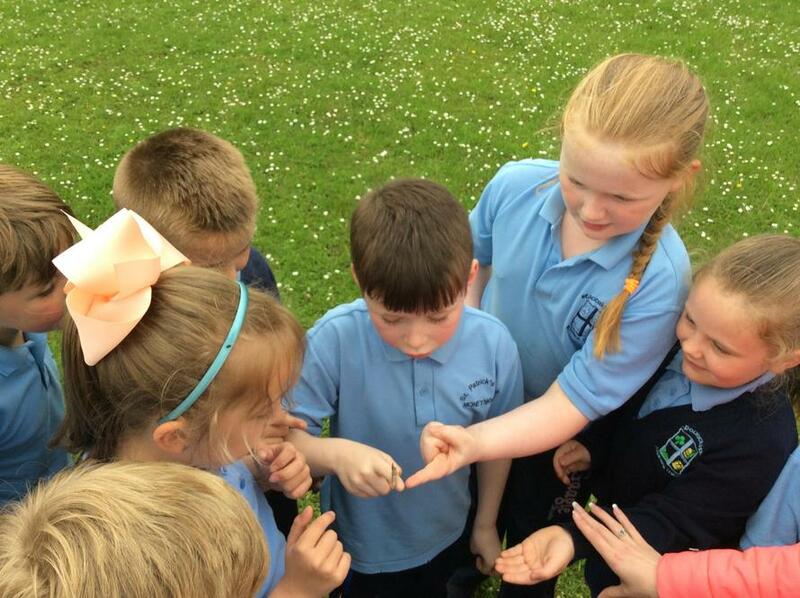 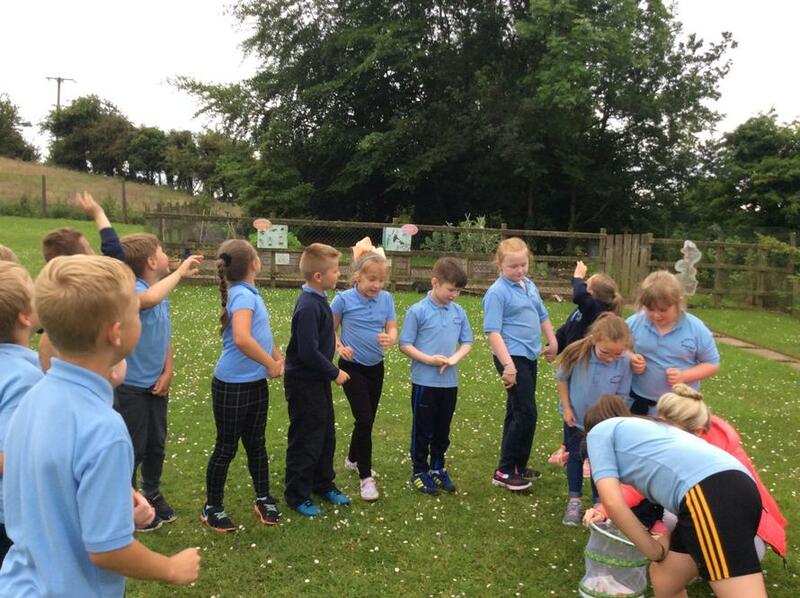 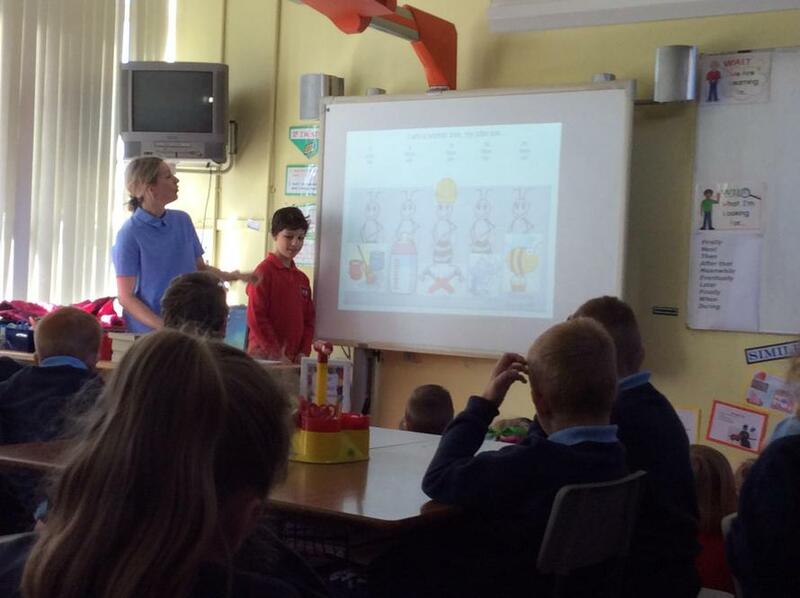 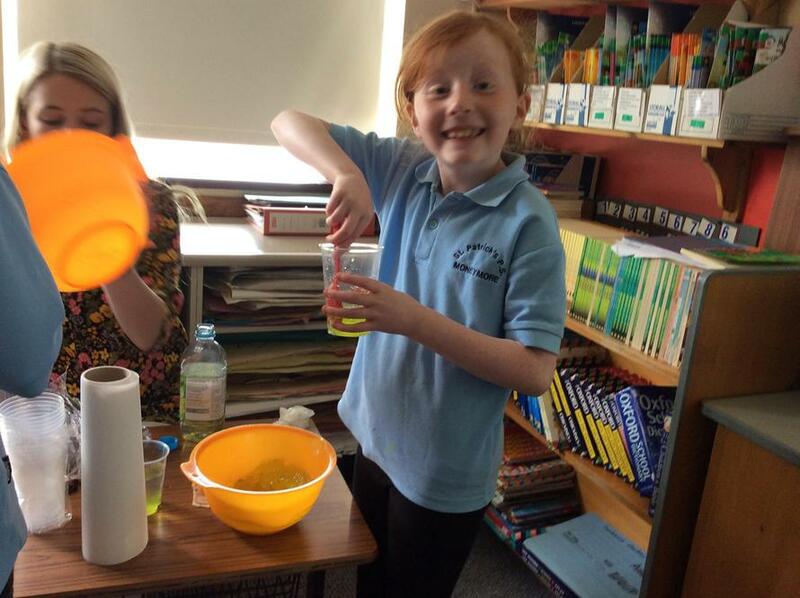 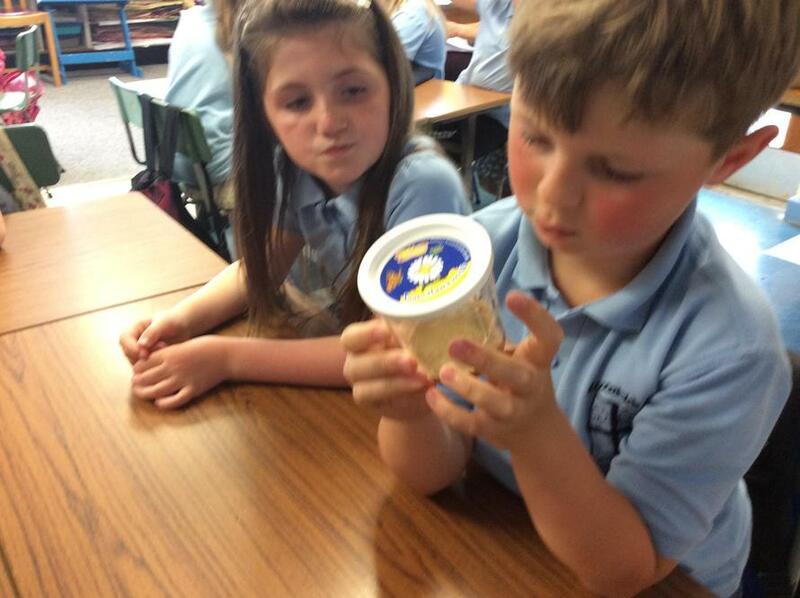 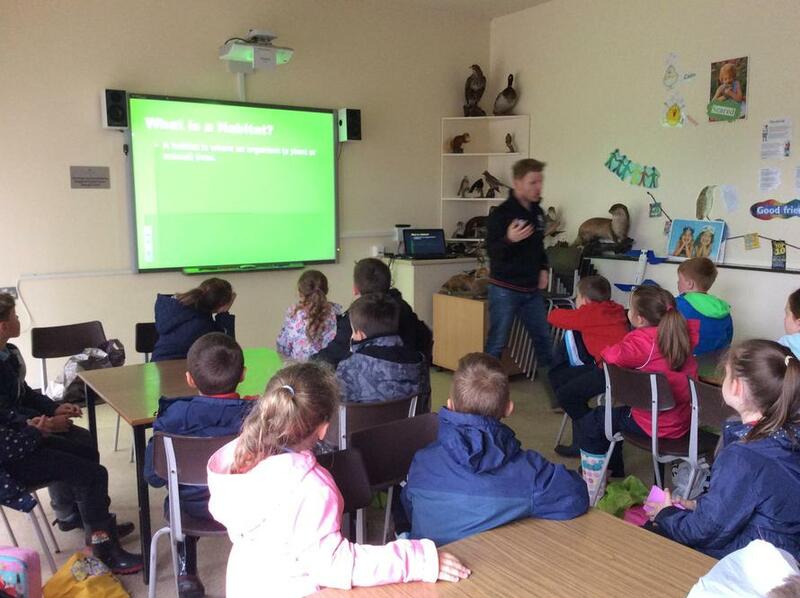 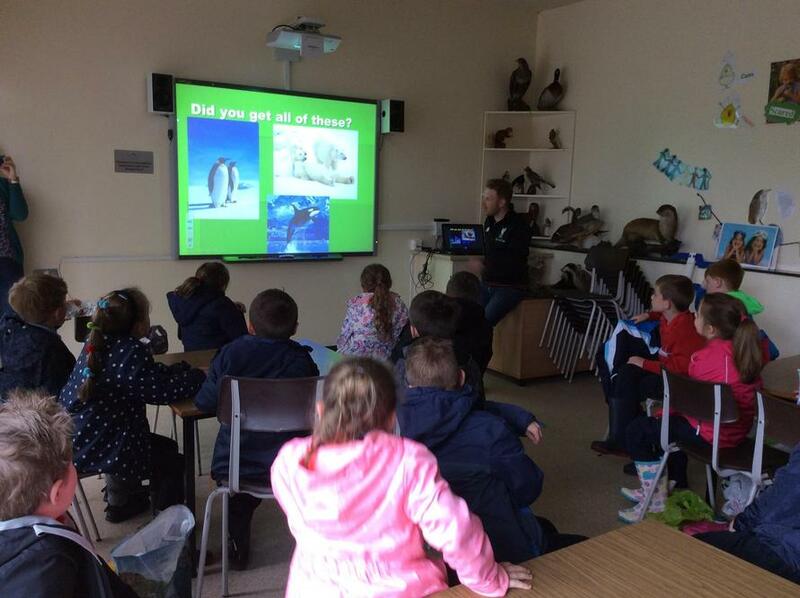 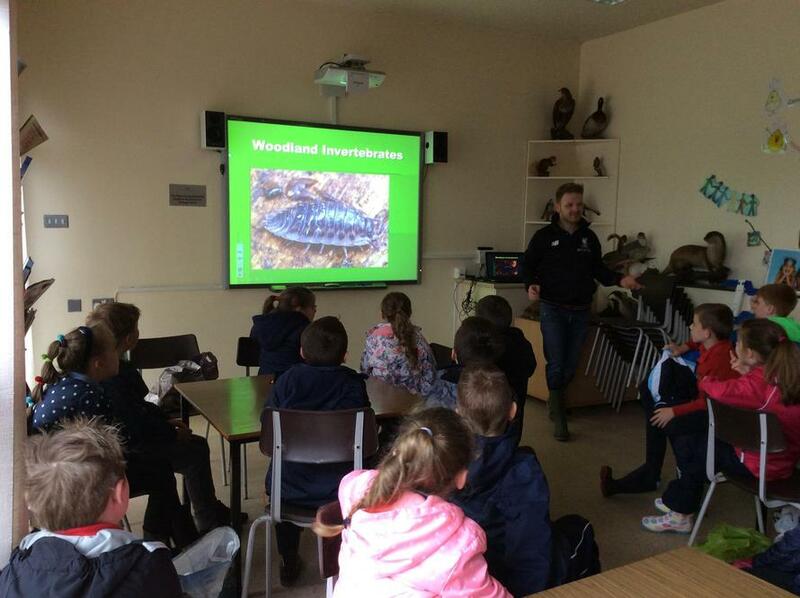 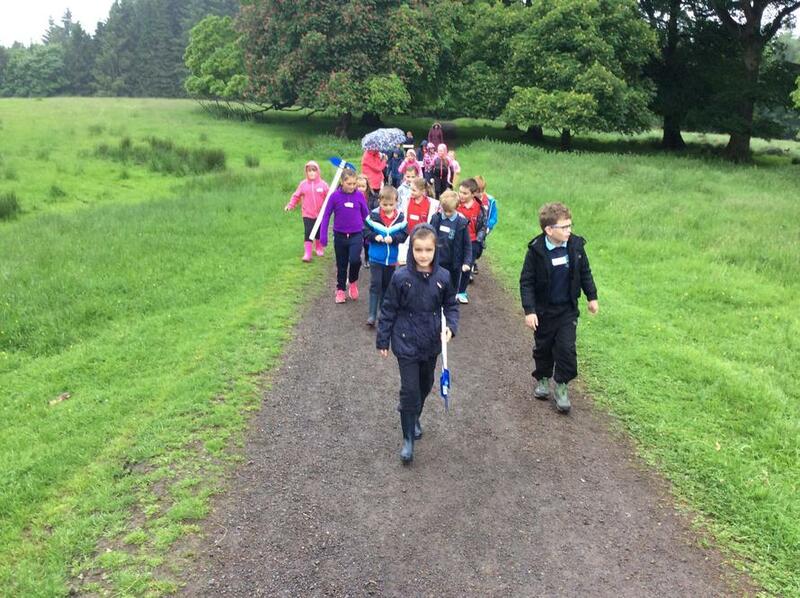 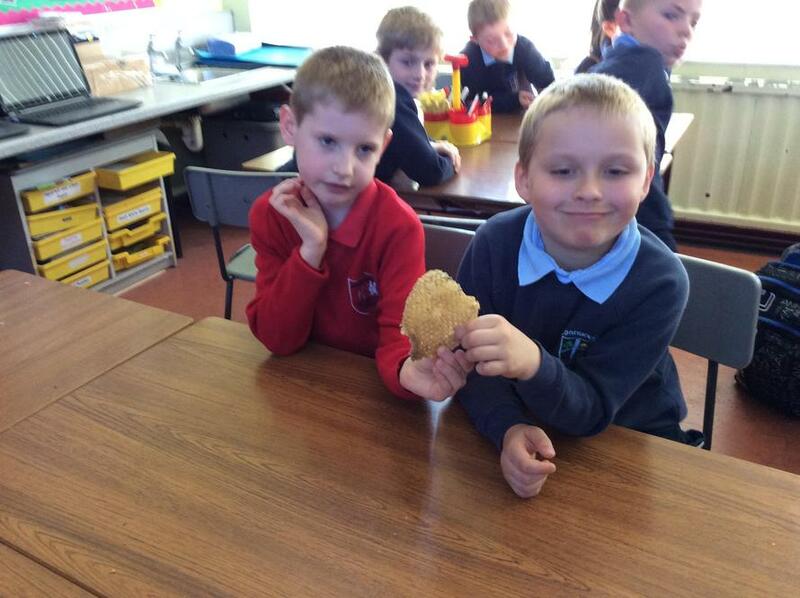 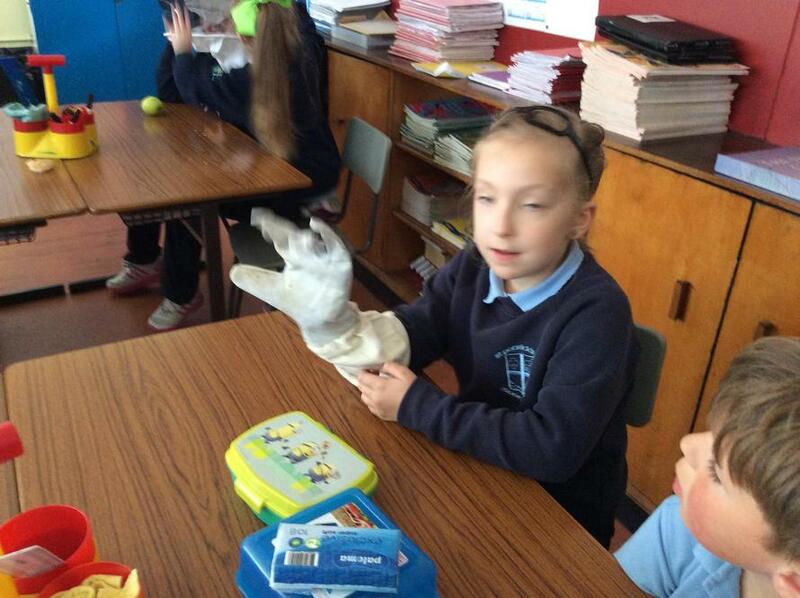 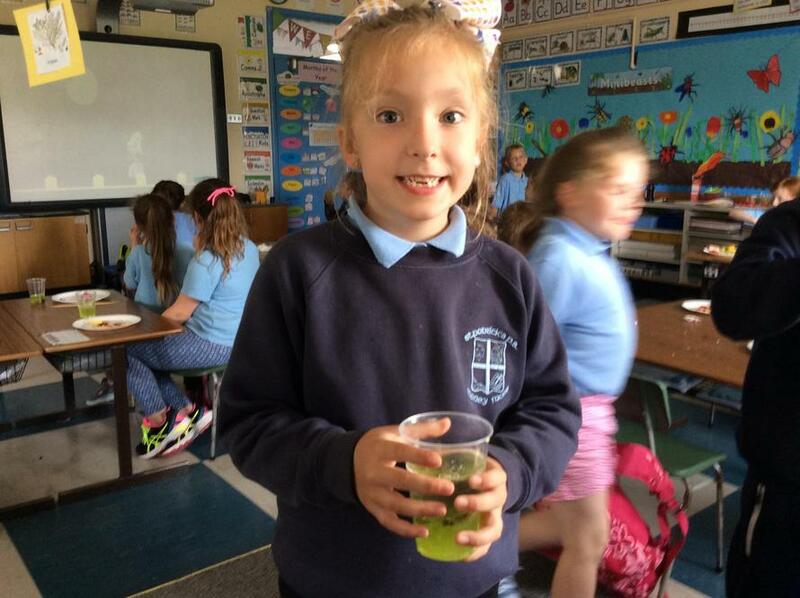 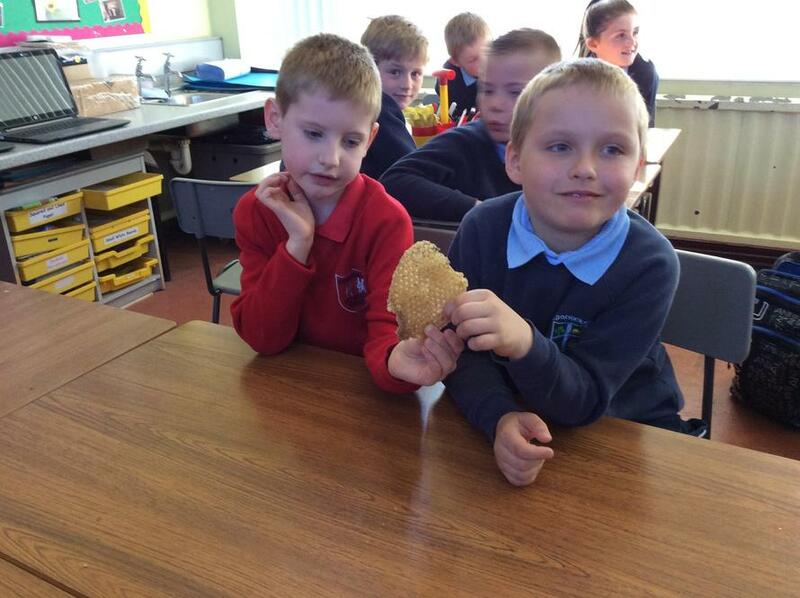 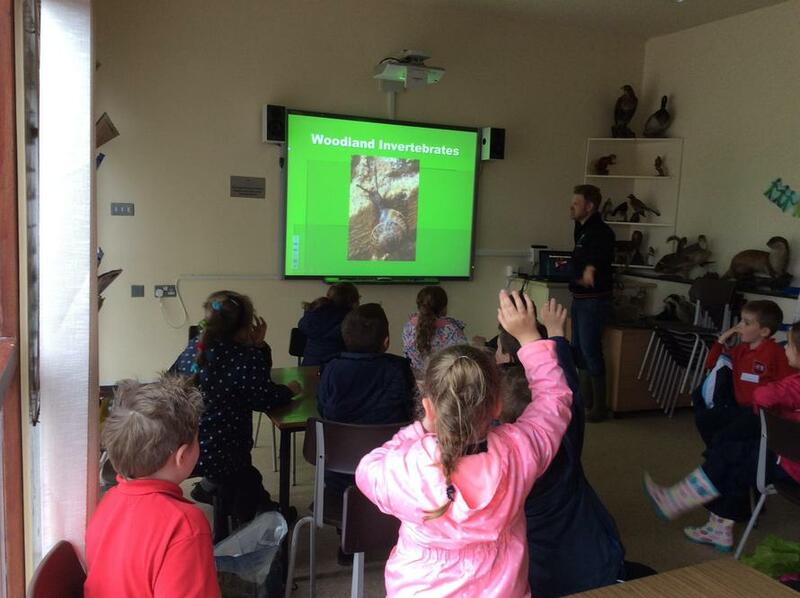 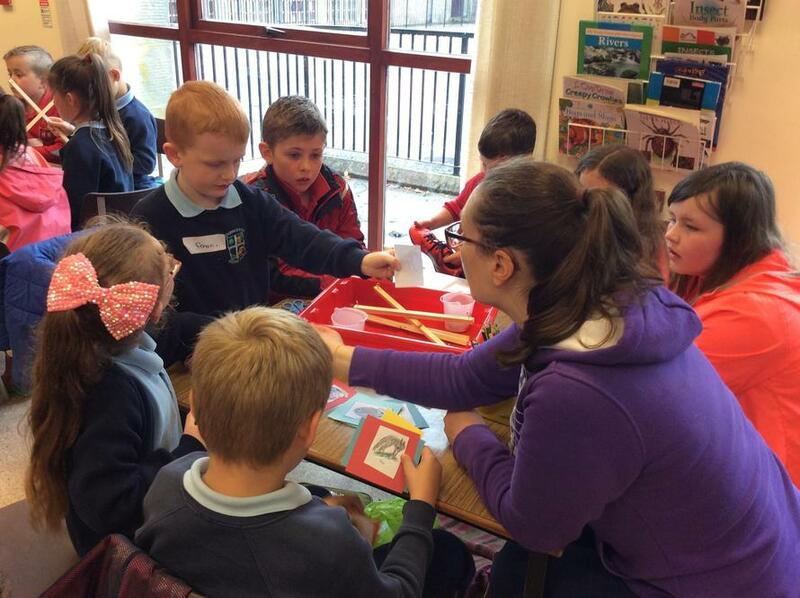 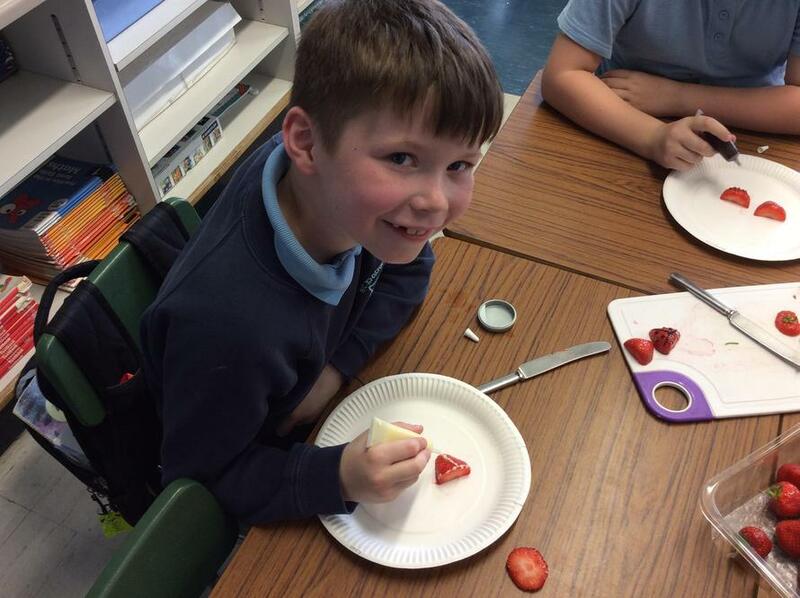 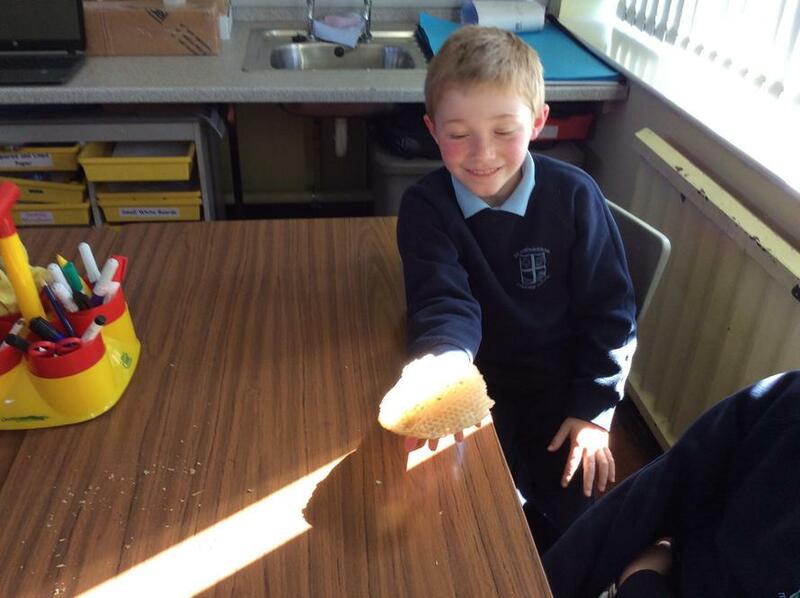 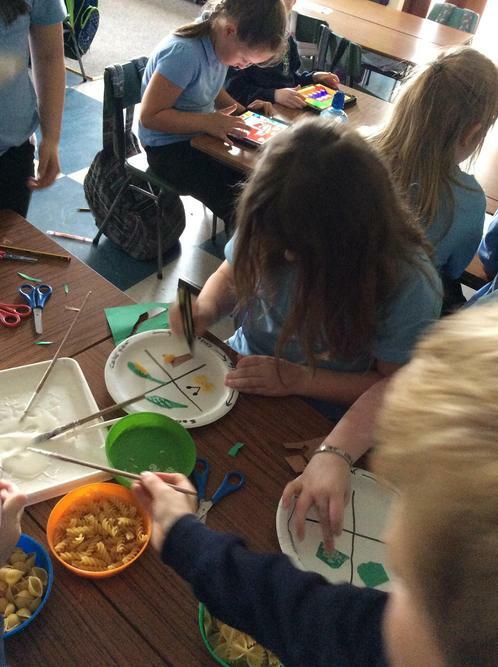 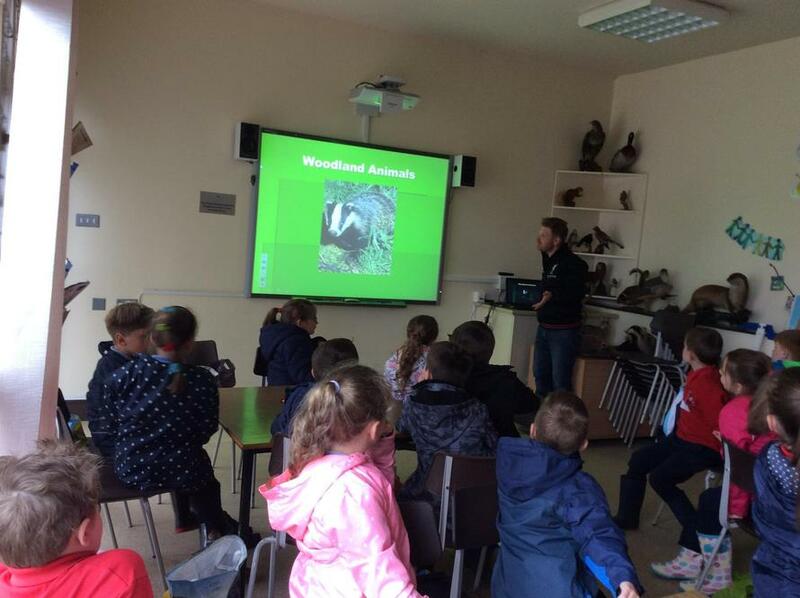 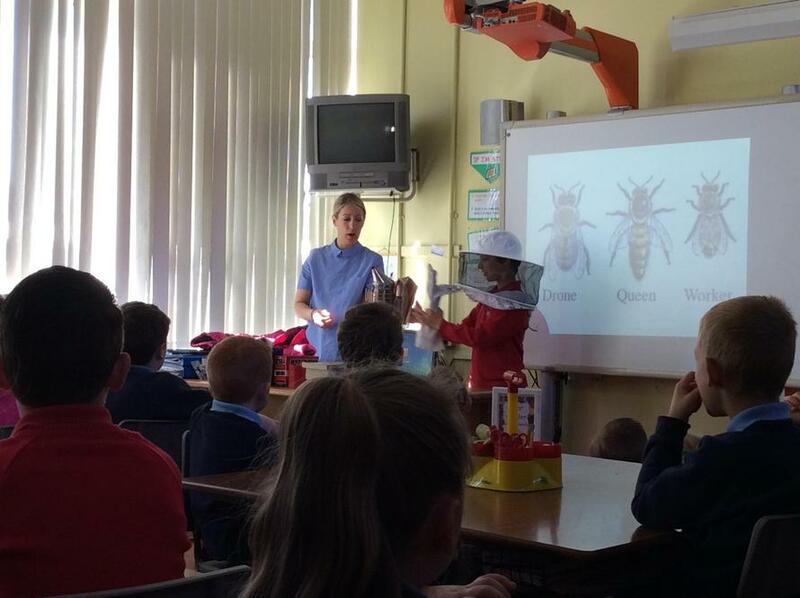 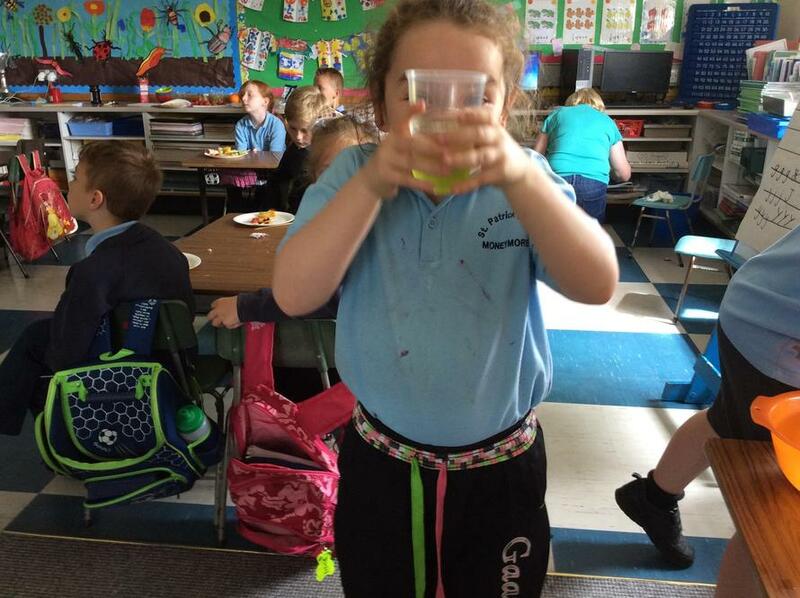 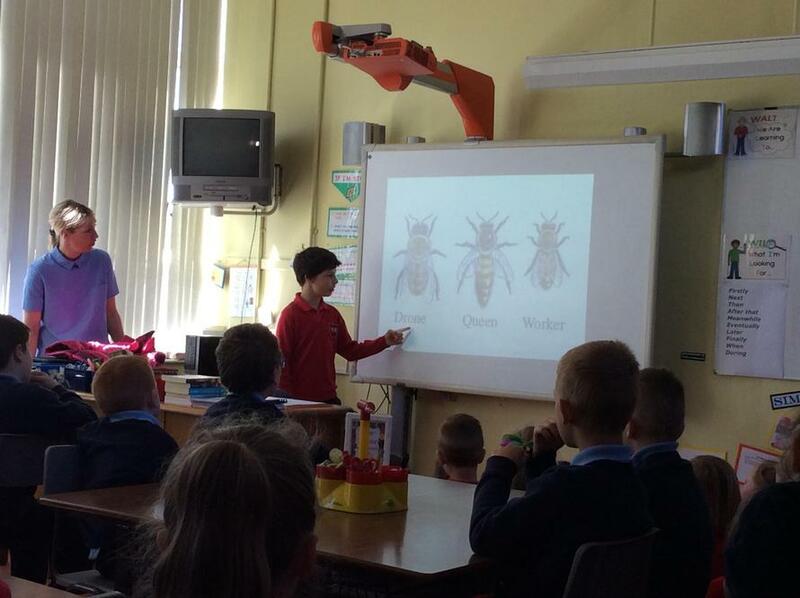 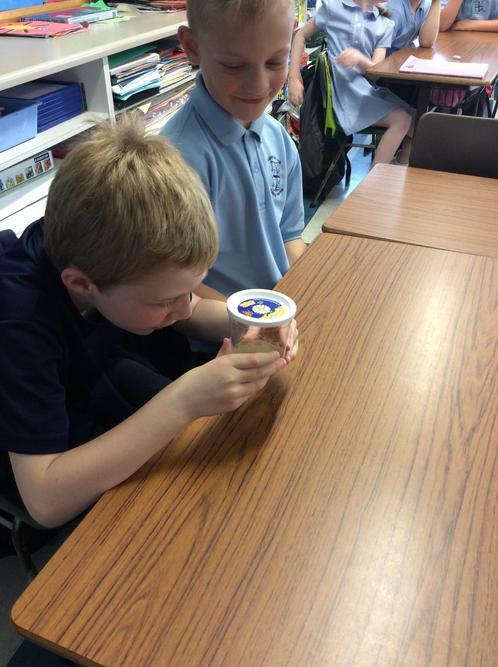 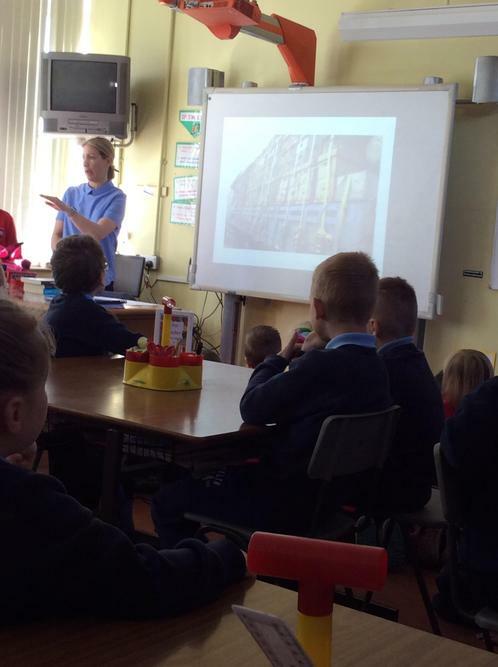 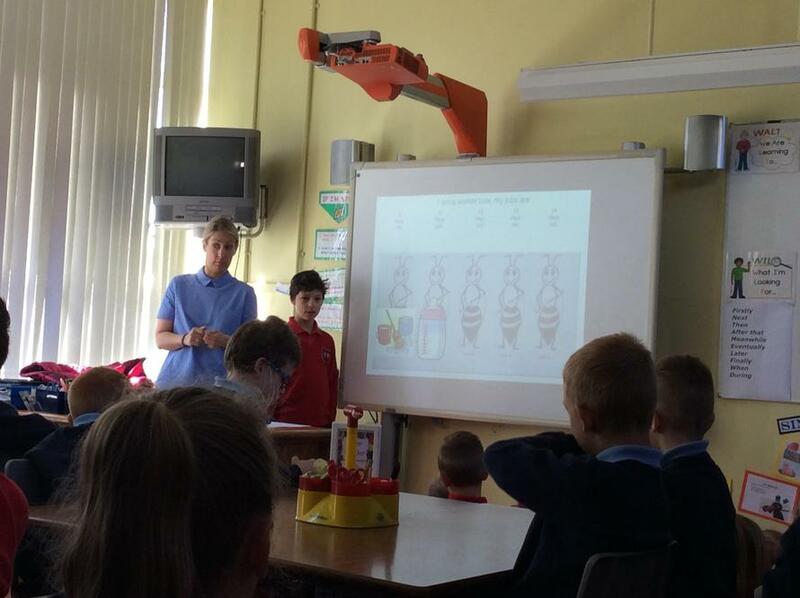 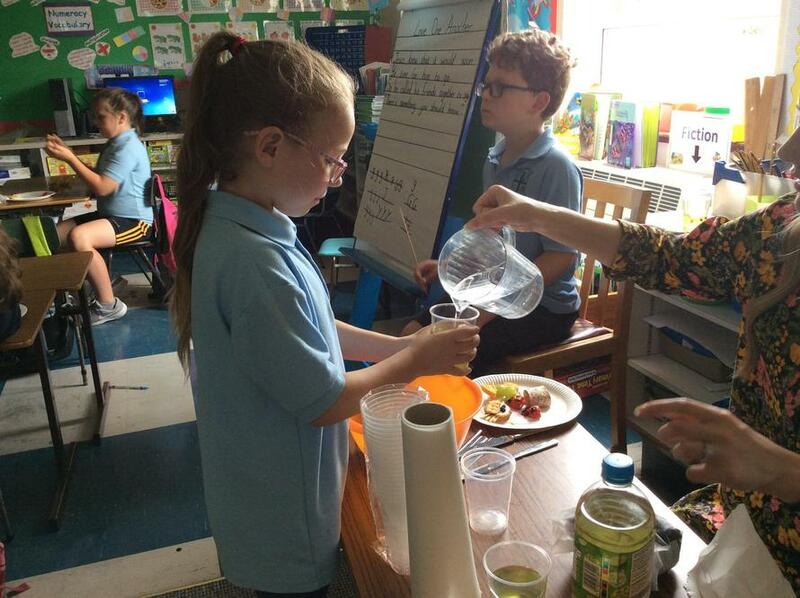 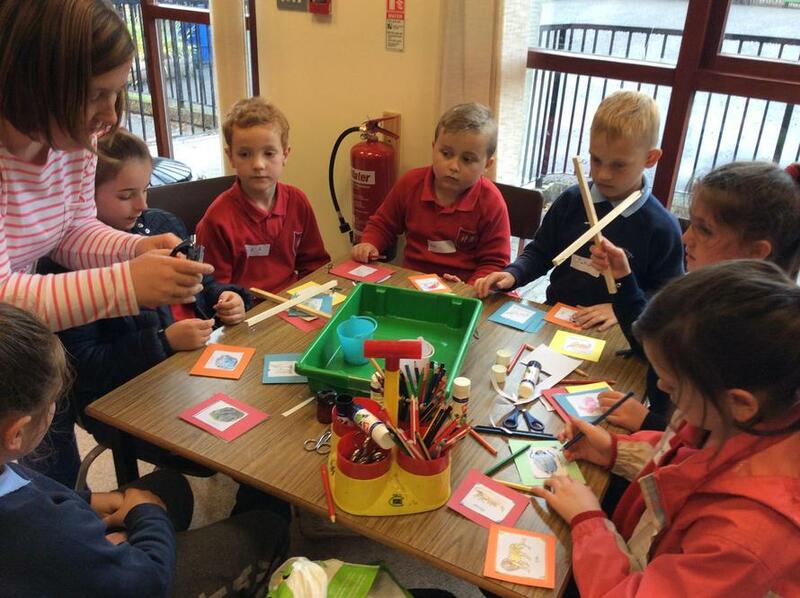 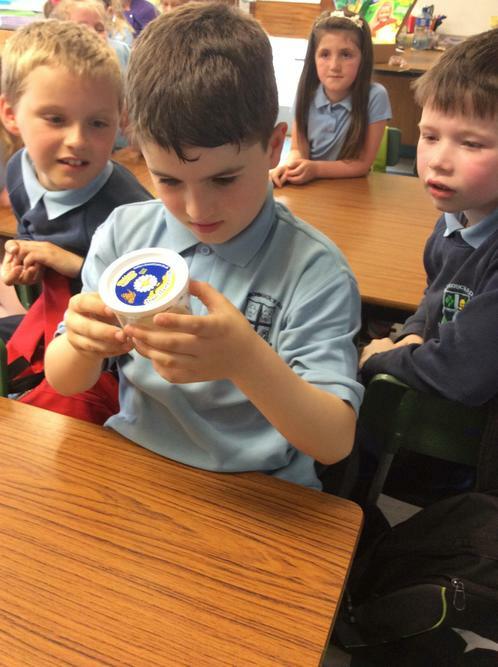 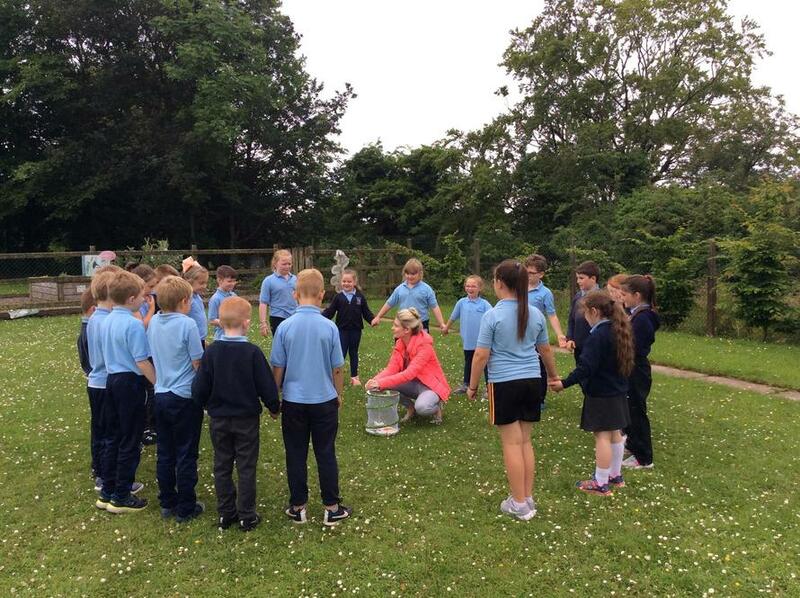 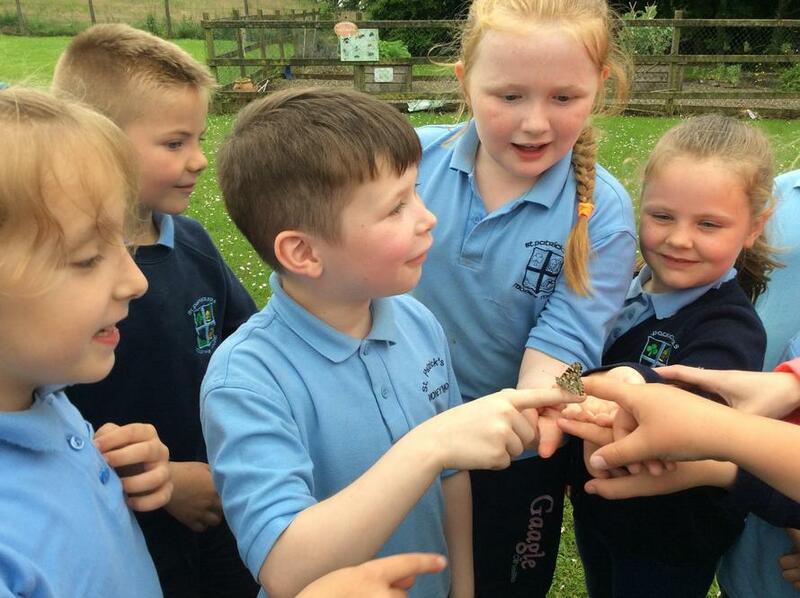 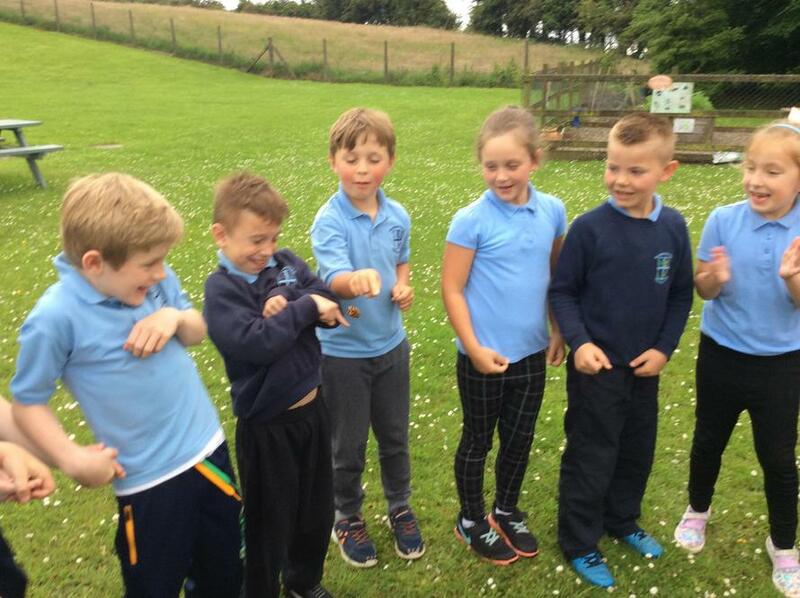 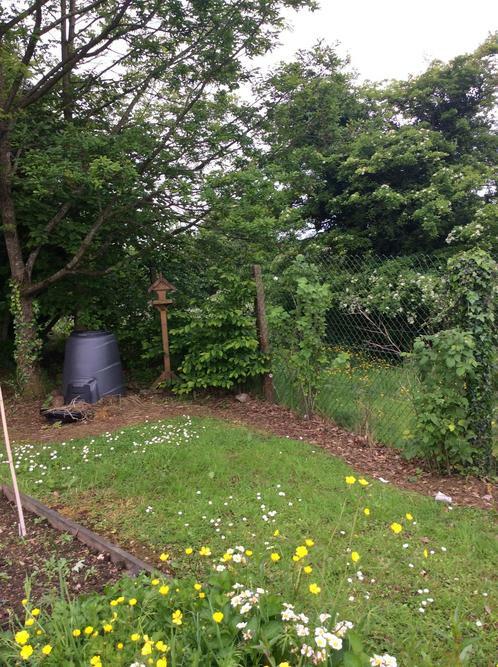 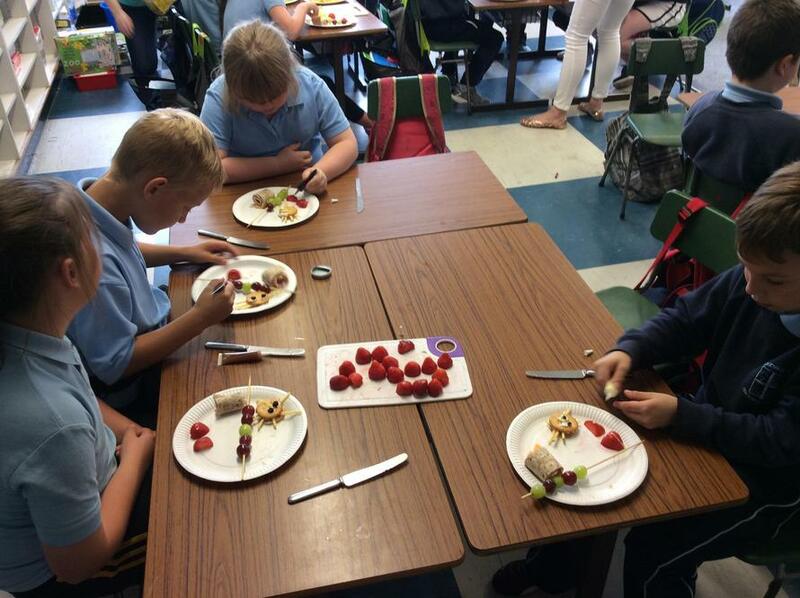 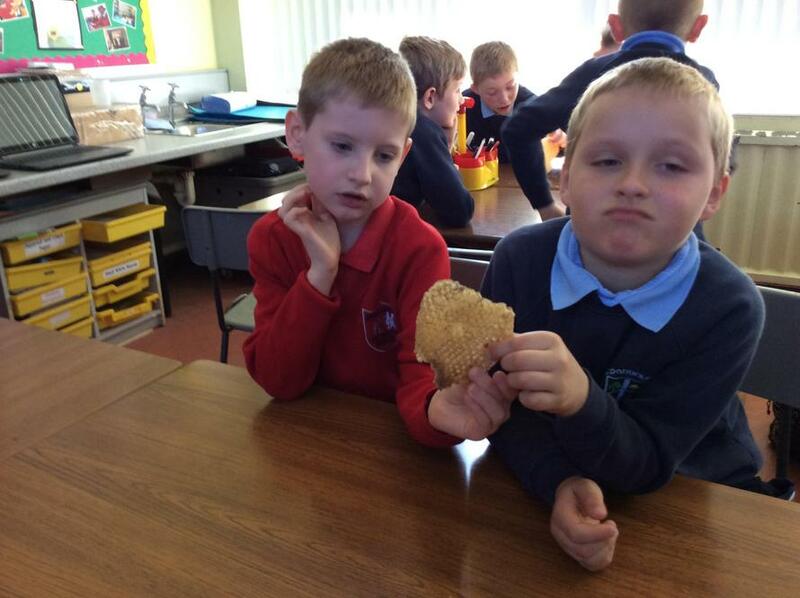 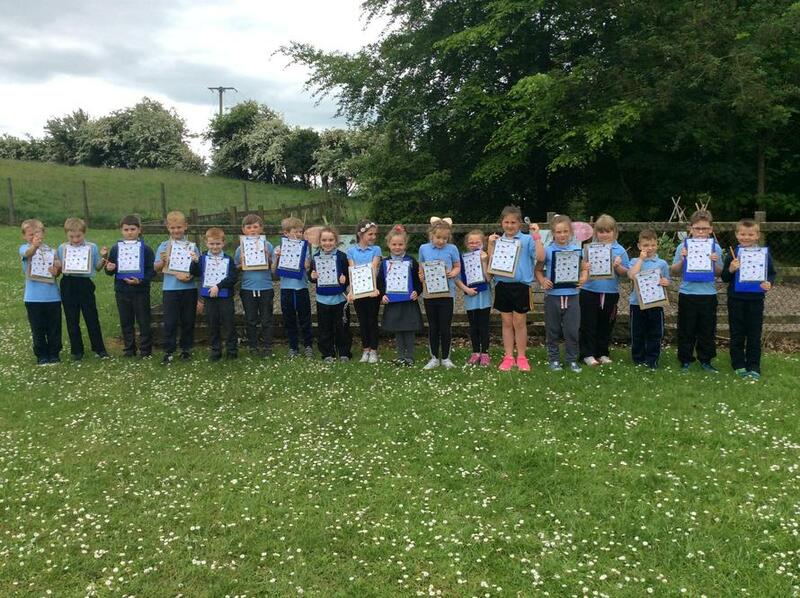 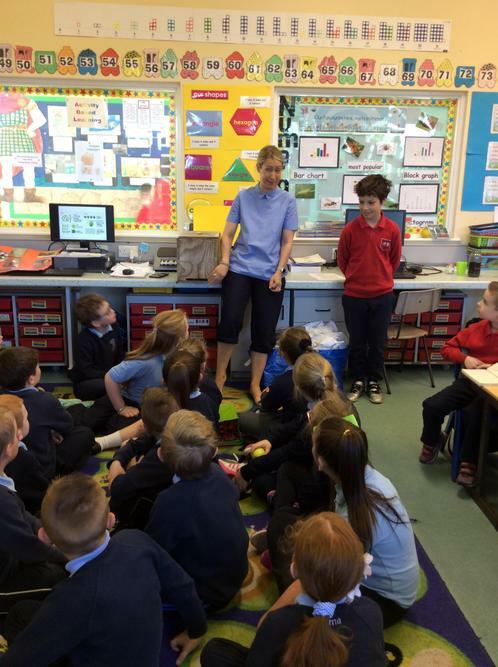 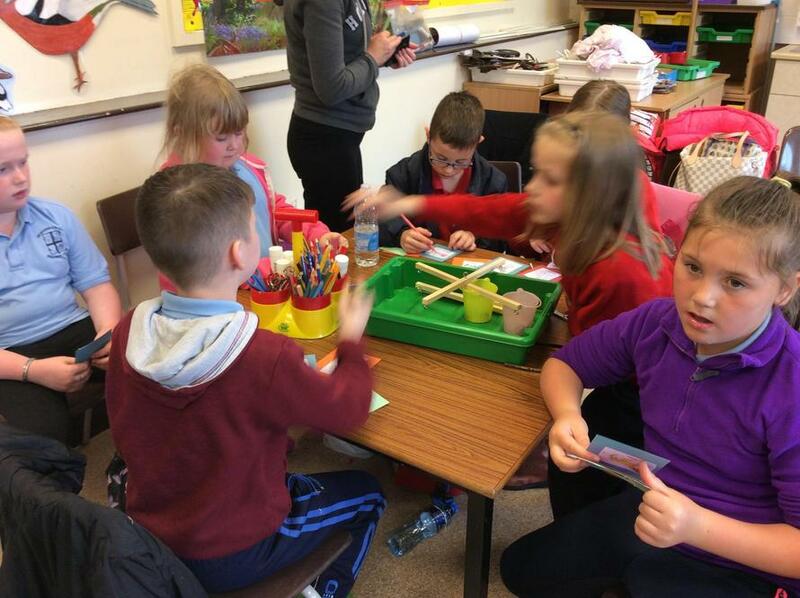 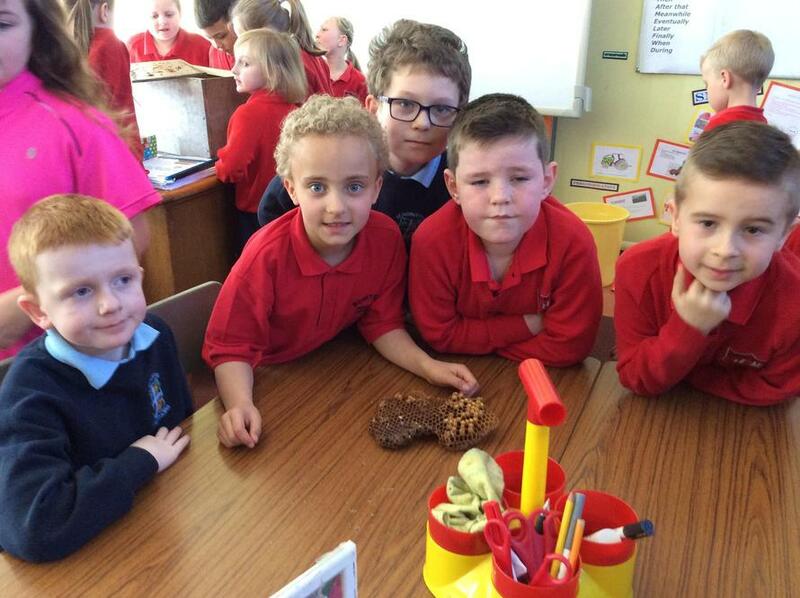 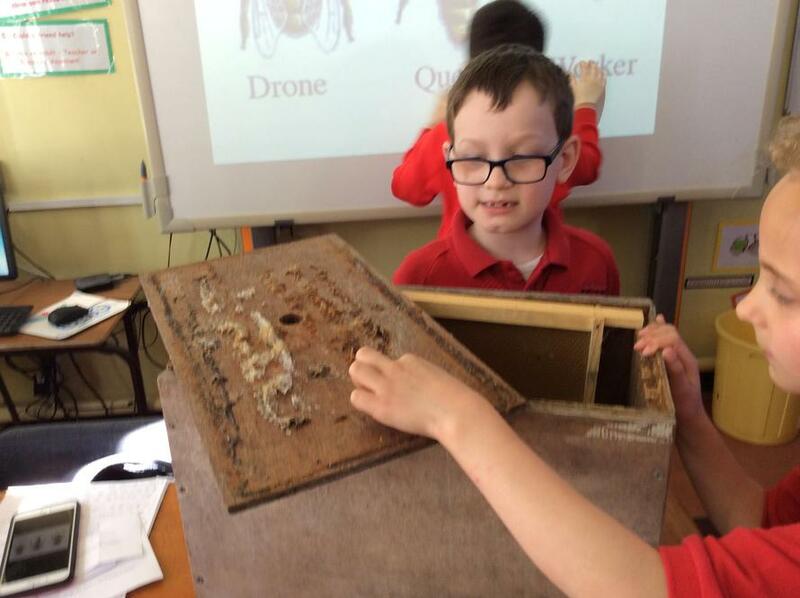 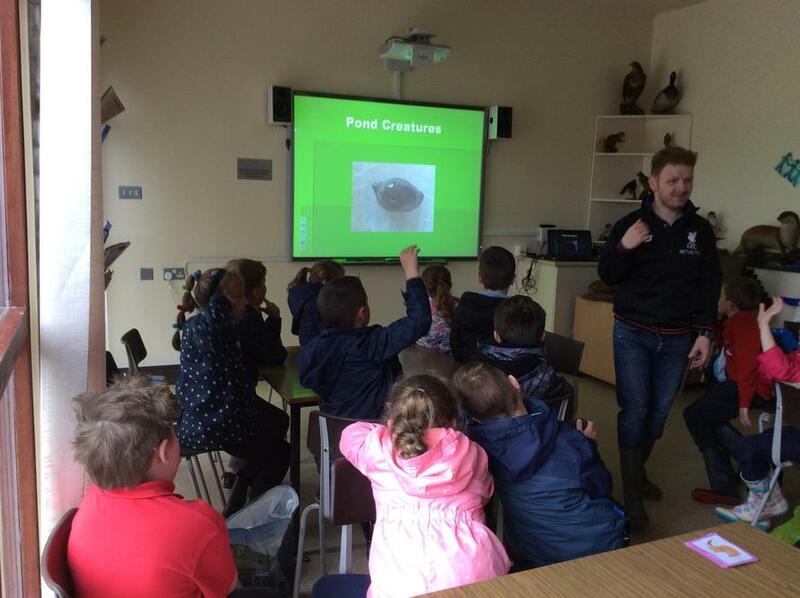 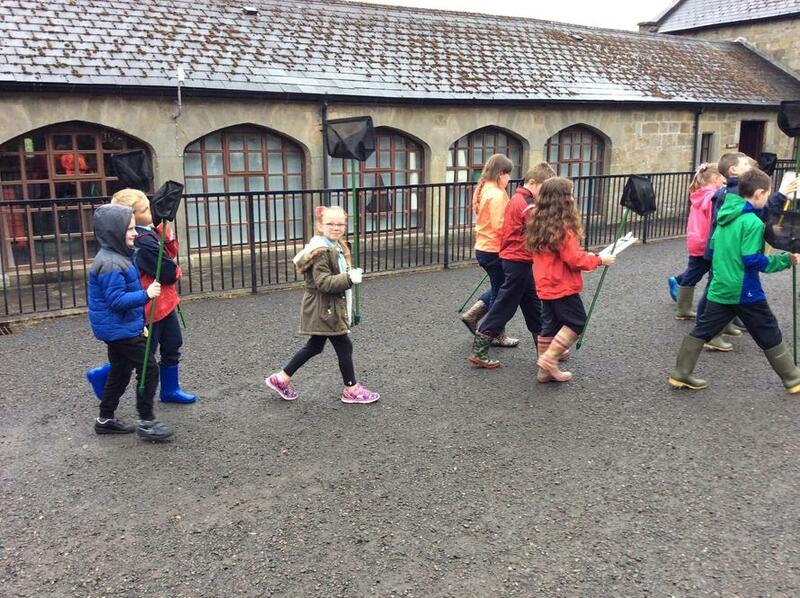 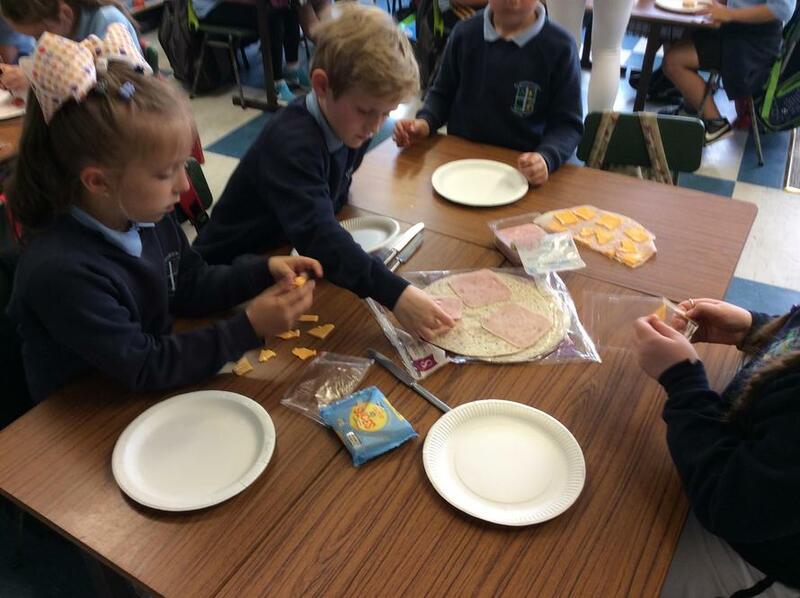 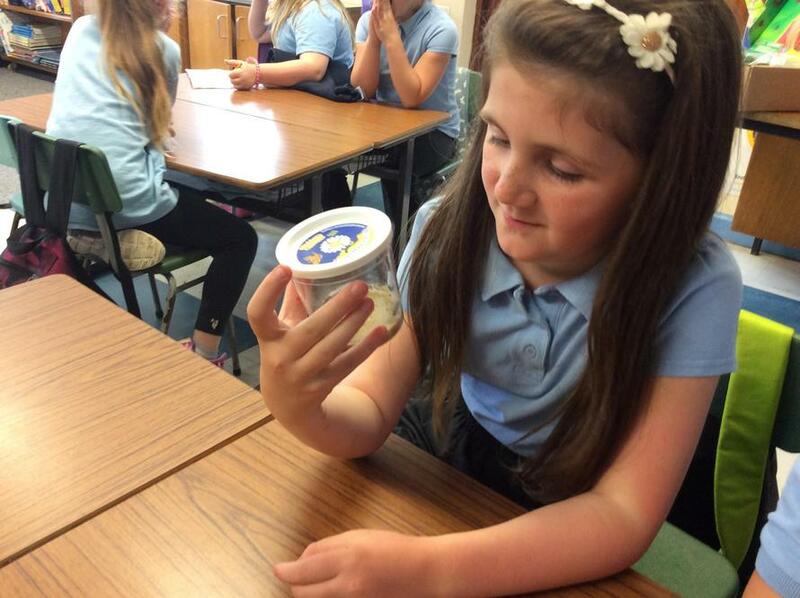 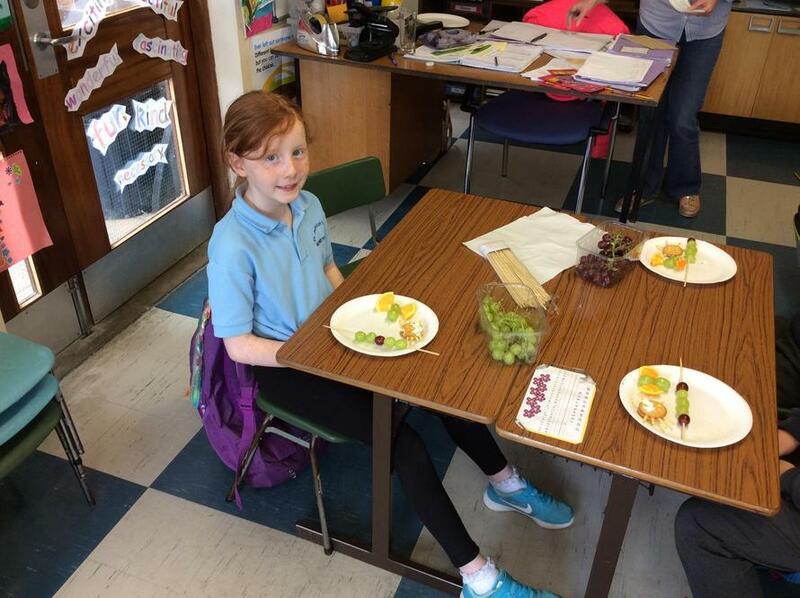 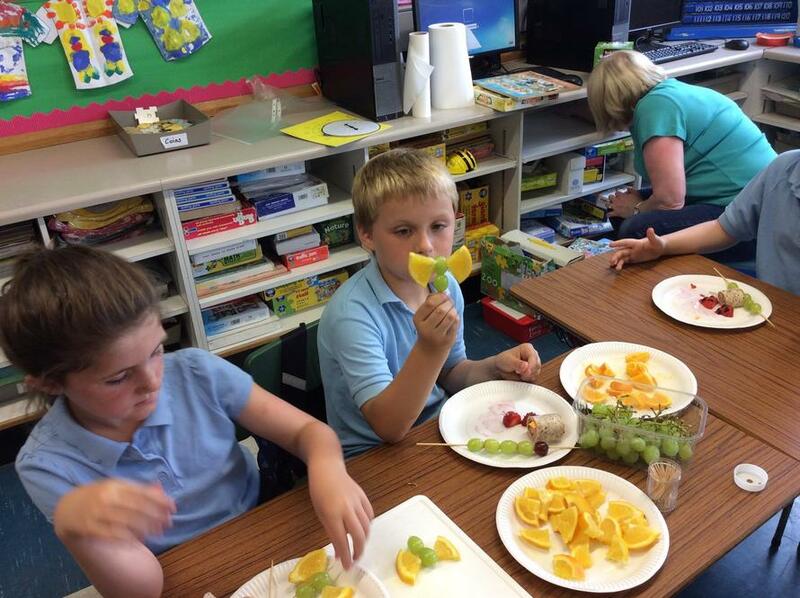 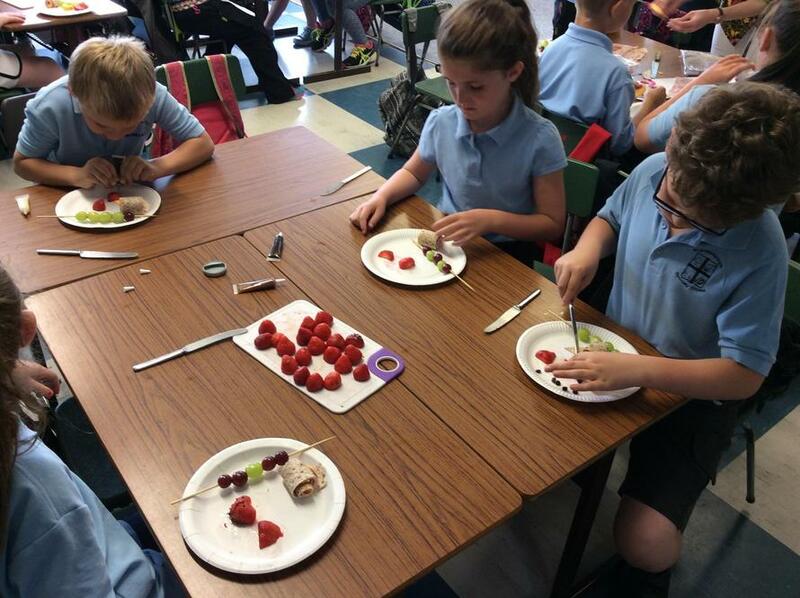 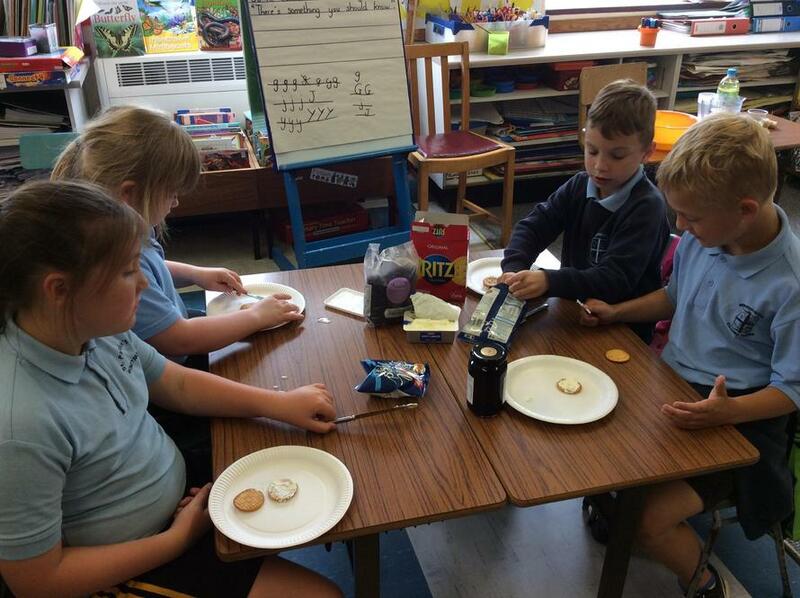 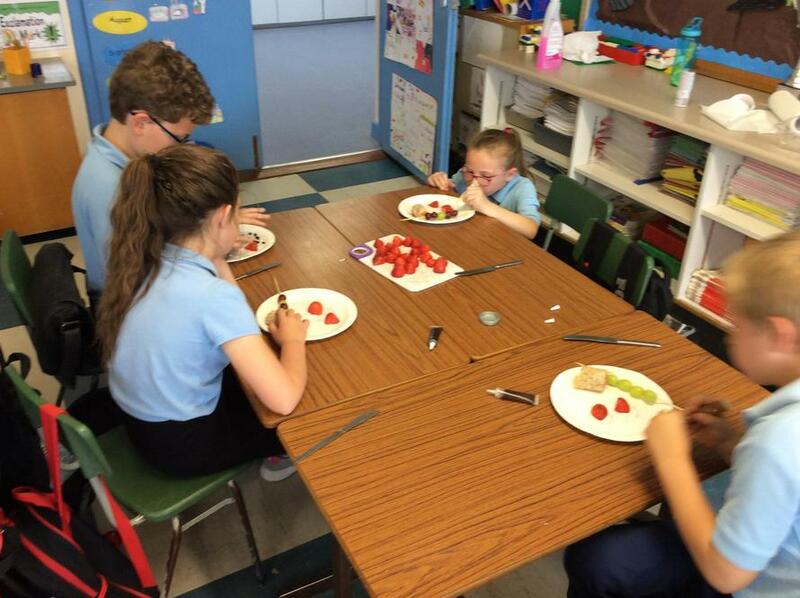 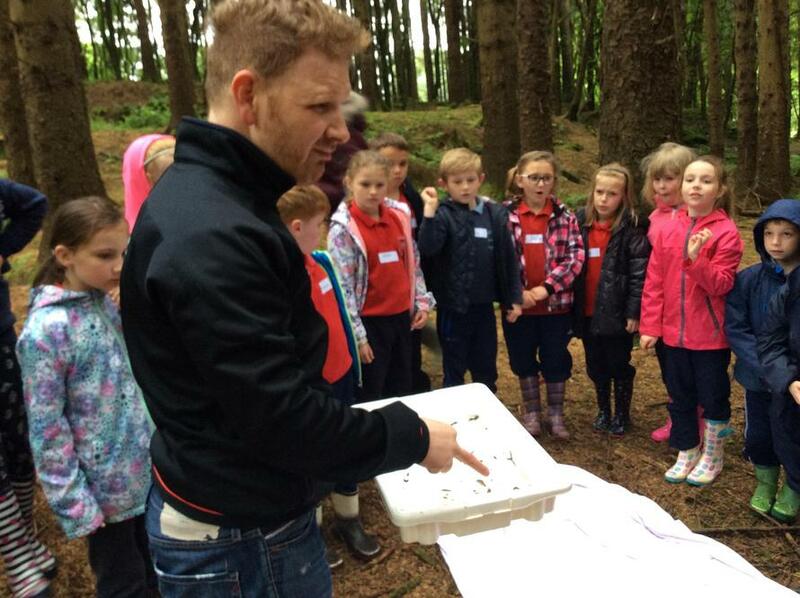 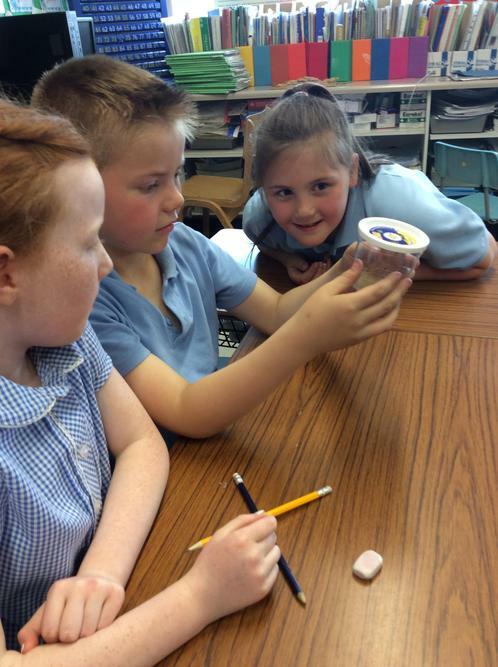 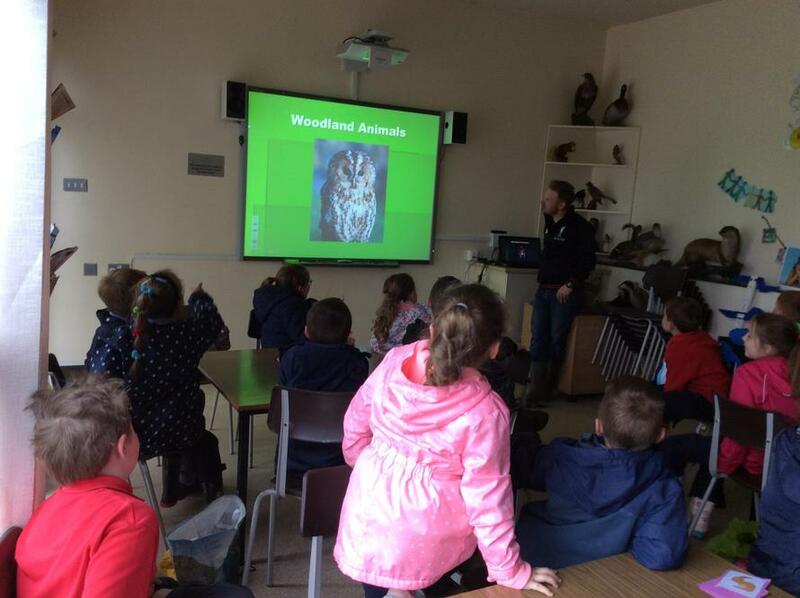 Together with Moneymore PS, we learned all about beekeeping!